“Mastering Marvelous Designer” – by CG Elves: Learn the principles of making any 3D Dynamic Digital Clothing. Did you get the Free Marvelous Designer Free Trial and find yourself, like most others, struggling with using the program? 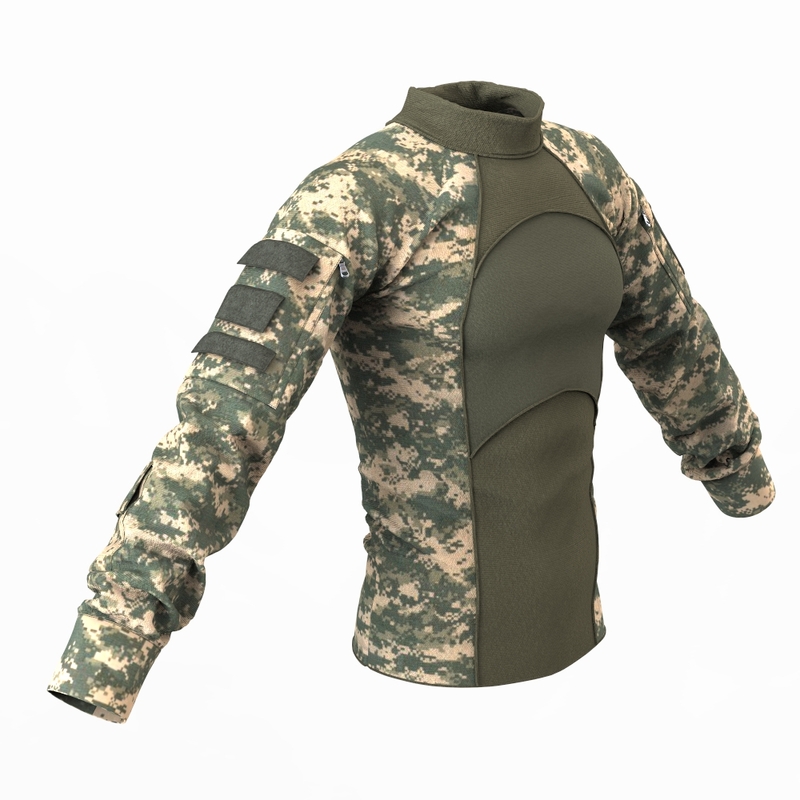 Are you a Marvelous Designer user needing a deeper and better understanding of how to make all sorts of dynamic clothes for your 3D Avatars/models? Learn the best workflows for making clothes in Marvelous Designer through our professional training program Mastering Marvelous Designer, by the premier MD Expert Camille Kleinman. Our Marvelous Designers beginners’ course covers all the A-Z of the software functions and how to correctly use them. Even seasoned users are surprised to discover new things they never knew or thought of. Through our Marvelous Garment workshops, you’ll learn tips, tricks & advanced techniques for making clothes in Marvelous Designer software, regardless if you use MD4, MD5, MD6, MD7 or MD8. “Mastering Marvelous Designer” is an EASY and perfectly constructed Step-By-Step series of Marvelous Designer tutorial videos, that will bring you from Zero to Hero very quickly. 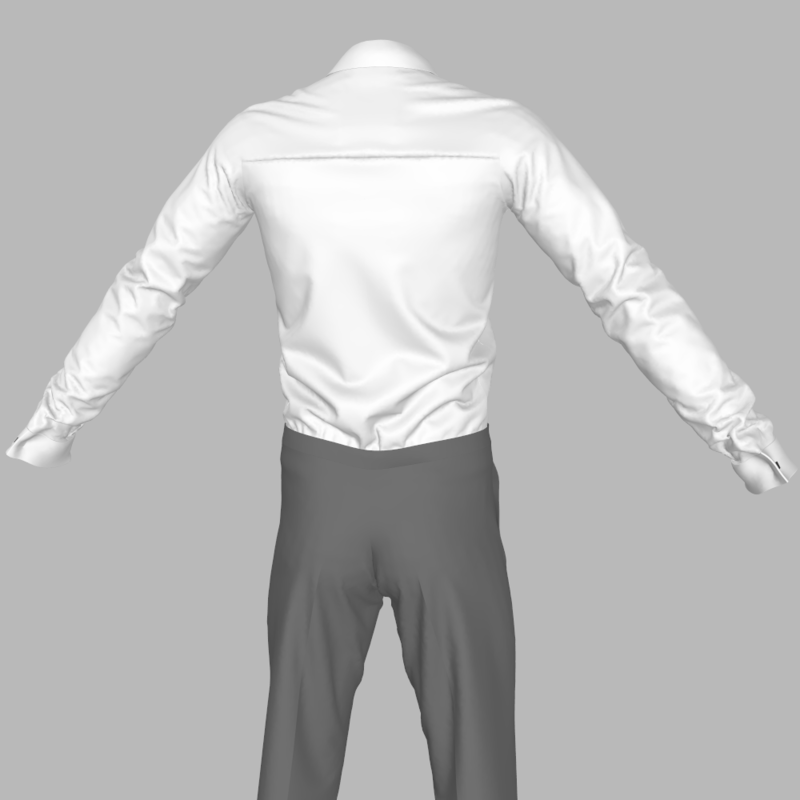 Following our training will enable you to make any kind of dynamic 3D clothes in Marvelous Designer. Get Coupons, Deals, Freebies and News! The CG Elves Marvelous Designer Shop includes Assets such as Marvelous Designer Clothing Patterns + Marvelous Designer Fabric Presets (Physical Property Presets) incl in Marvelous Designer Garments library pack and a beautiful collection of high-quality HD seamless fabric textures made from real-life fabrics. 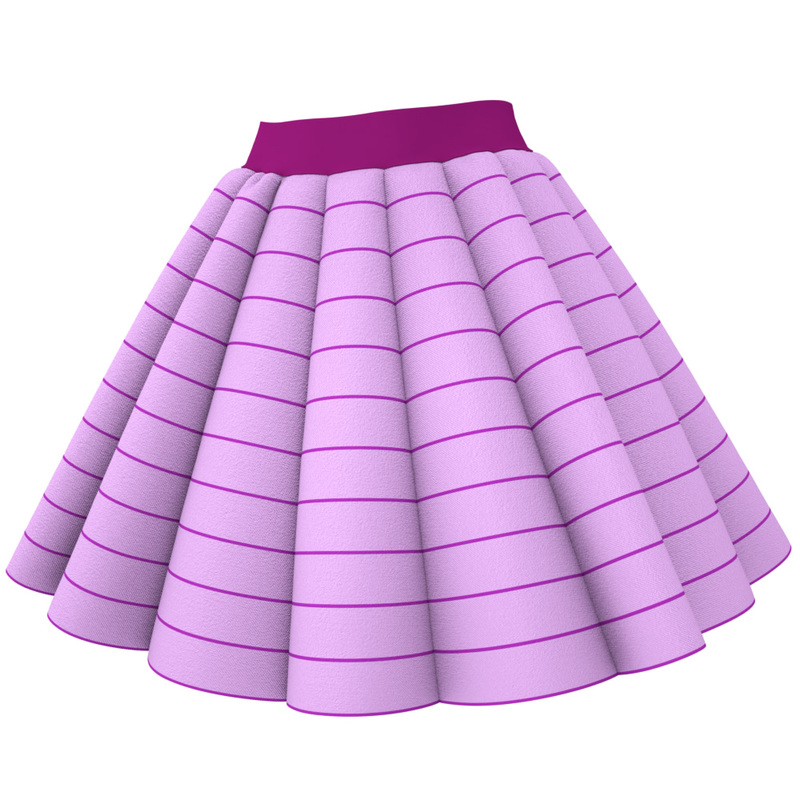 The great variety of seamless texture designs in our library helps your Marvelous Designer clothes to always look unique. Our realistic looking seamless textures are also suitable for atmospheric architectural interiors and for 3D / 2D artwork. 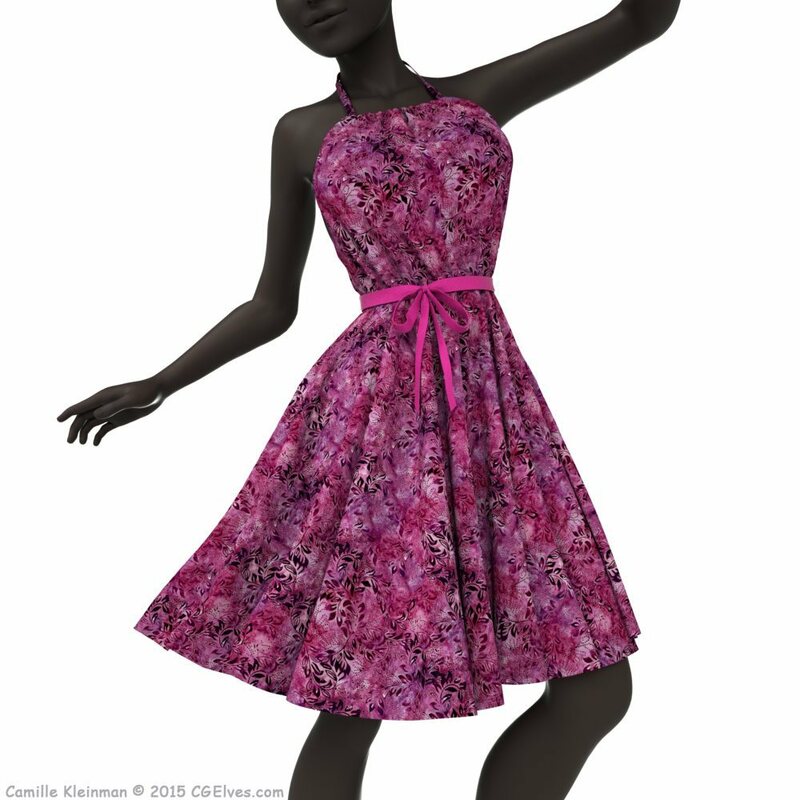 Our Marvelous Designer Garment File Library has it all; ready-made Marvelous clothes, their physical property presets and clothing templates/ patterns. Unlike just having our Marvelous fabric presets library, here you have all organized neatly into each garment’s folder for easy referencing. Ready-made Marvelous Designer clothing items save you a ton of time since you simply bring them into the program (compatible with all MD versions from MD v.4 and up!) and just need to adjust to your Avatar. 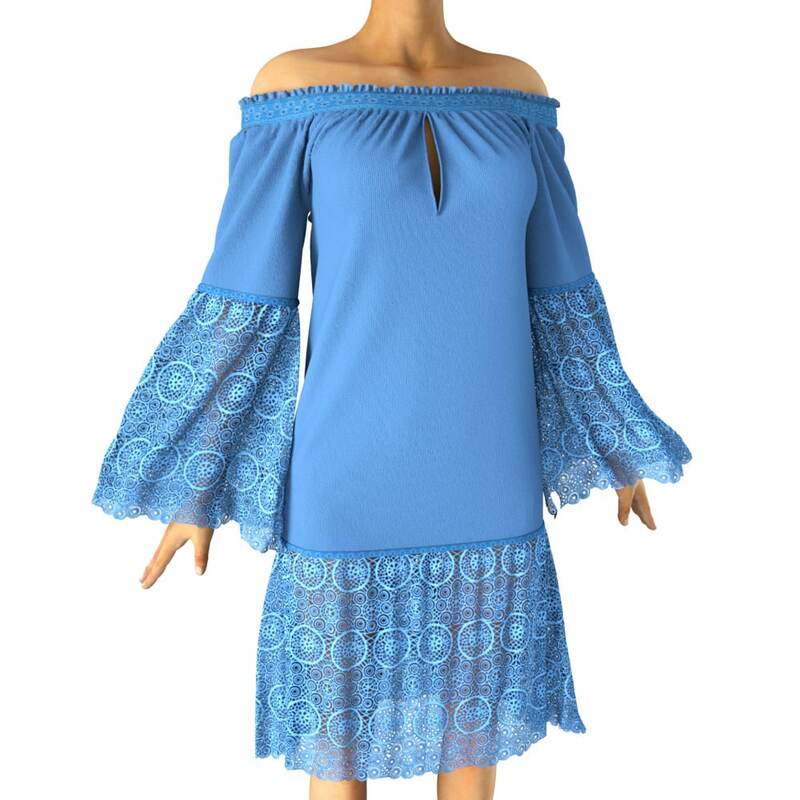 Our Marvelous Designer clothing patterns help you to better understand how to make clothes in MD, since you can use them to analyze the principles of patterns for your own creations in future and of course also to practice tracing our clothing templates into the MD program, re-creating the garments and sewing up the clothes. Once you understand the basic principles you can mix and match a sleeve from one garment, a shirt from another, a skirt from yet another or a pair of Marvelous pants to make your own novel creation. Follow our training program for a solid grip on using MD and making clothes and this library will save you a ton of time into the future for your 2d and 3D art work. 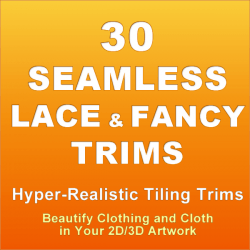 Note: When you purchase the “Seamless Fabric Textures Mega Pack” you should only get the “30 Seamless Lace & Fancy Trims” for Extra trims. Find articles and tutorials from our CG blog and Magazine section with the latest articles & tutorials for 3D sculpting as well as free Marvelous Designer how-to tutorials. In this section you will find information all about Marvelous Designer software and Marvelous Designer resources, so you can better understand what is Marvelous Designer and how it is used, as well as information about the CG Elves Marvelous Designer training, presets, templates, free downloads and much more! What is Marvelous Designer Software? 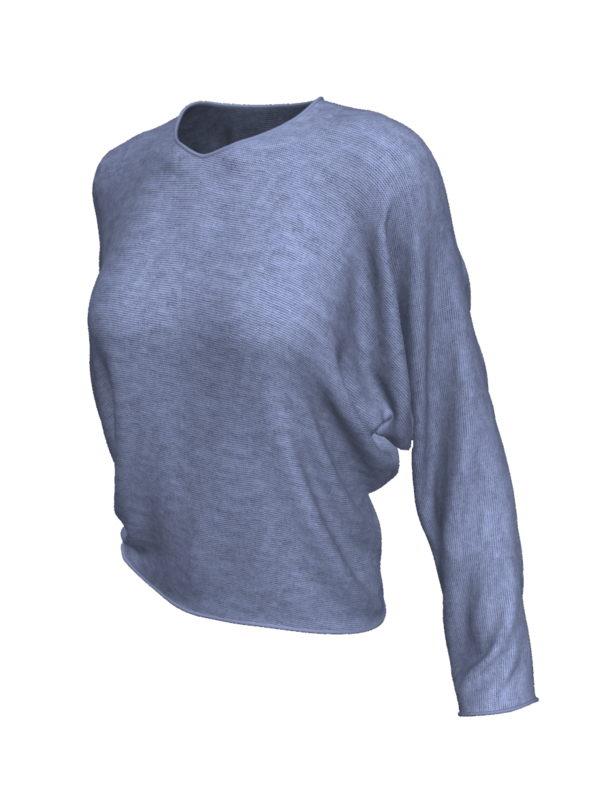 Marvelous Designer (or MD for short) is a cutting-edge garment design software that enables 3D artists and CG artists to create beautiful 3D virtual DYNAMIC clothing. The Marvelous Designer software technology is based on the art of sewing and pattern-making (making a blueprint for a garment). However, the Marvelous Designer software enables you to create amazing clothing designs even if you are not a fashion grad, a tailor or seamstress and have never held a sewing needle in your hands and would get your fingers pricked if you ever did… And even if you hate sewing in real life and never want to sew. 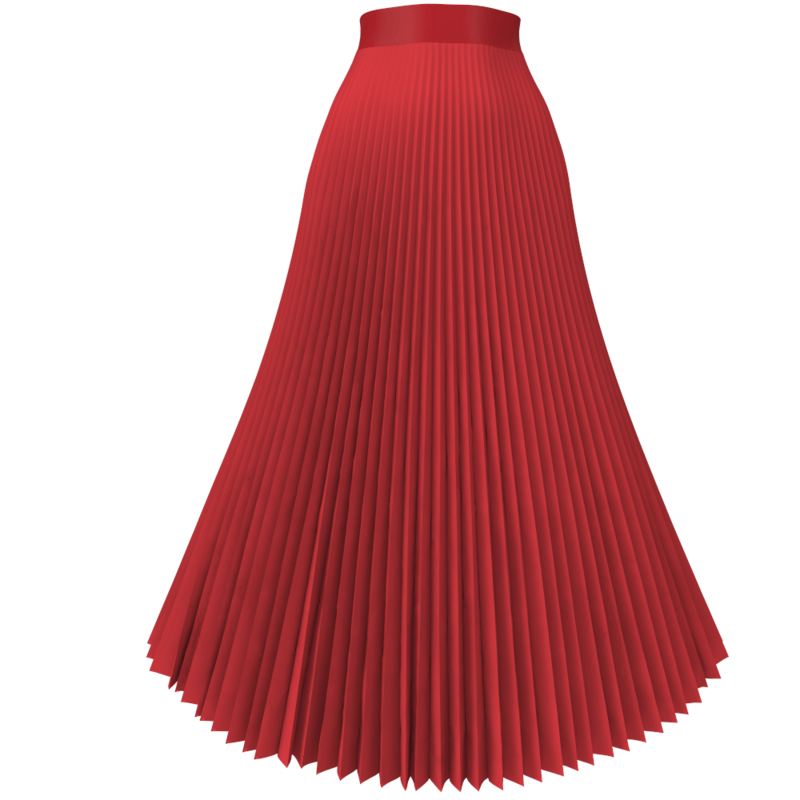 Marvelous Designer is the definitive software tool for 3d clothes modeling, whether you need to create T-shirts, surf shorts, sweatshirts or intricately pleated dresses, capes, flowing gowns, layered outfits, 3-piece suits or rugged military uniforms. 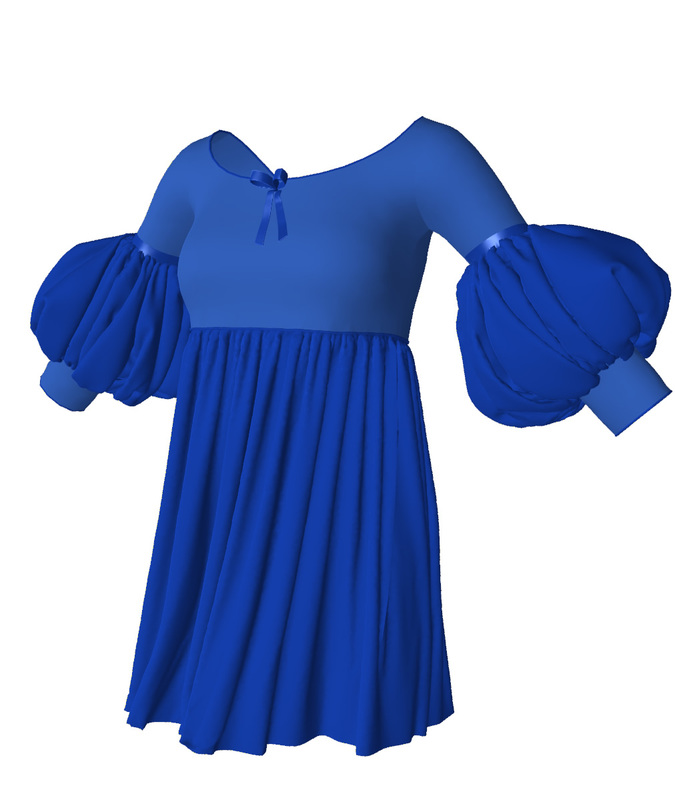 With MD you can model virtual 3D dynamic clothing garments and 3D cloth for apholstery, bedding, table clothes, curtains and other drapery. 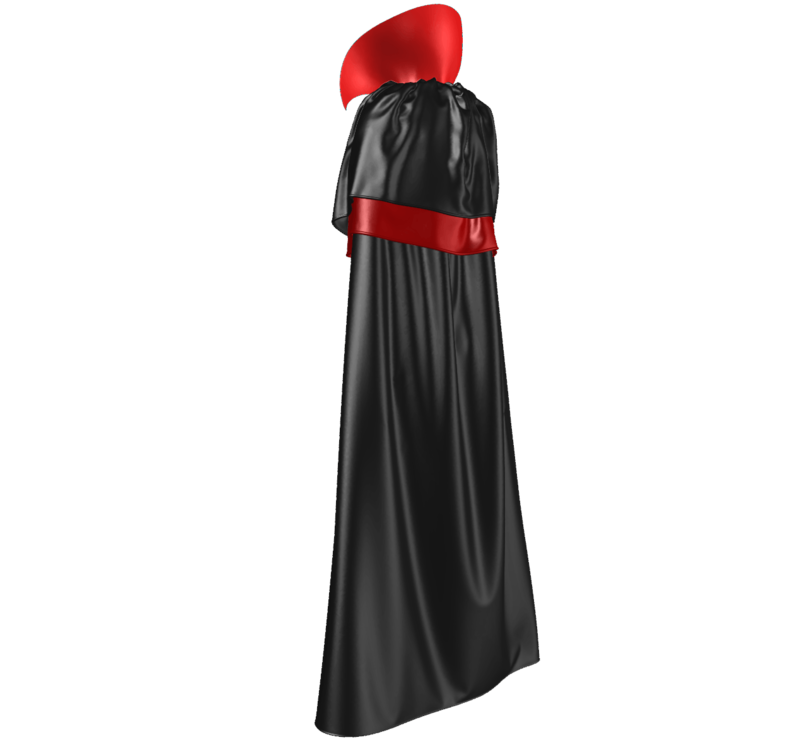 The Marvelous Designer software application makes it easy for you to drape and drop cloth; be it draped upon a 3D avatar, hung from a clothes hanger, dangling from a chair or thrown onto the floor. Little wonder that Marvelous Designer has already been adopted by top game studios such as EA Konami and Ubisoft. 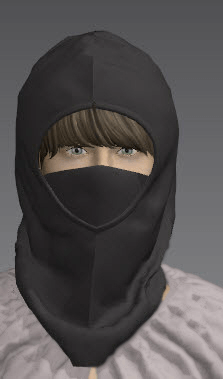 Marvelous Designer was a key component in Metal Gear Solid 5’s Fox Engine (by Kunami studio), Assasin’s Creed Unity and Assassin’s Creed Revelations(by Ubisoft studio). MD can be seen on the big-screen in animation films including The Hobbit and The Adventures of Tin Tin (VFX and the MD clothing were created by Weta Digital), Avatar (Weta Digital) and Total Recall (Double Negative), in BBC’s marketing campaign for the 2012 London Olympics “Stadium UK” (Passion Pictures studio) and the NIKE ‘THE LAST GAME’ animation (Marvelous clothing done by Passion). The most used versions of the Marvelous Designer software are MD6, MD5, MD4. Any older versions of the Marvelous Designer software are really too buggy and poorly compared to most recent release of Marvelous Designer 6 or even the Marvelous Designer 5.5 version. Marvelous Designer is sometimes misspelled by 3D artists from non-English speaking countries, such as France, Germany, Spain, Mexico, Brazil etc.. Marvelous Designer 6 is especially useful for those situations when you must create a “Digital Double” character for your film project. These virtual 3D representations of the characters are used to substitute the real actors (think: a virtual stuntmen) in situations where it would be far too dangerous to use a real actor, or when it’s simply impossible to shoot the scene with the live person. The thing is, Digital Doubles need to move and act like the live action character, indistinguishable from the real actor. With the Marvelous Designer software, you resolve this issue. 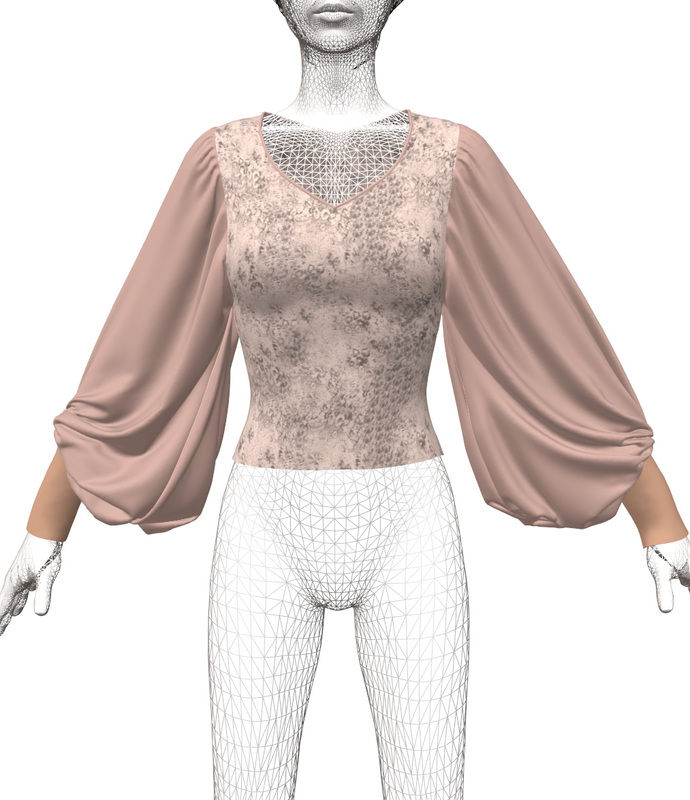 The MD6 interactive design interface, facilitates instantaneous editing, draping, and precise simulation of garments onto 3D forms. As Marvelous Designer can conveniently fit into your production pipeline, you will be able to import and export data amongst various kinds of modeling and animation software applications, for example, Maya, 3Ds Max, Softimage, Modo, as well as ZBrush and Substance Painter. 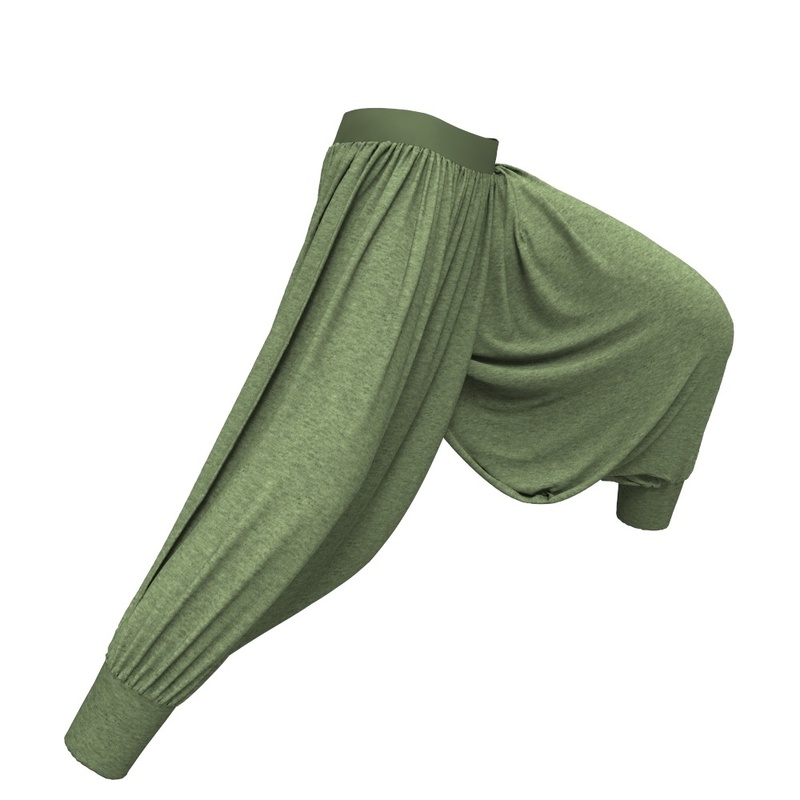 3D film animation, VR, and VFX Studios or freelance 3D character artists can now accomplish virtual cloth animation and capture realistic movement of fabric, the instant the garments are draped onto moving characters. 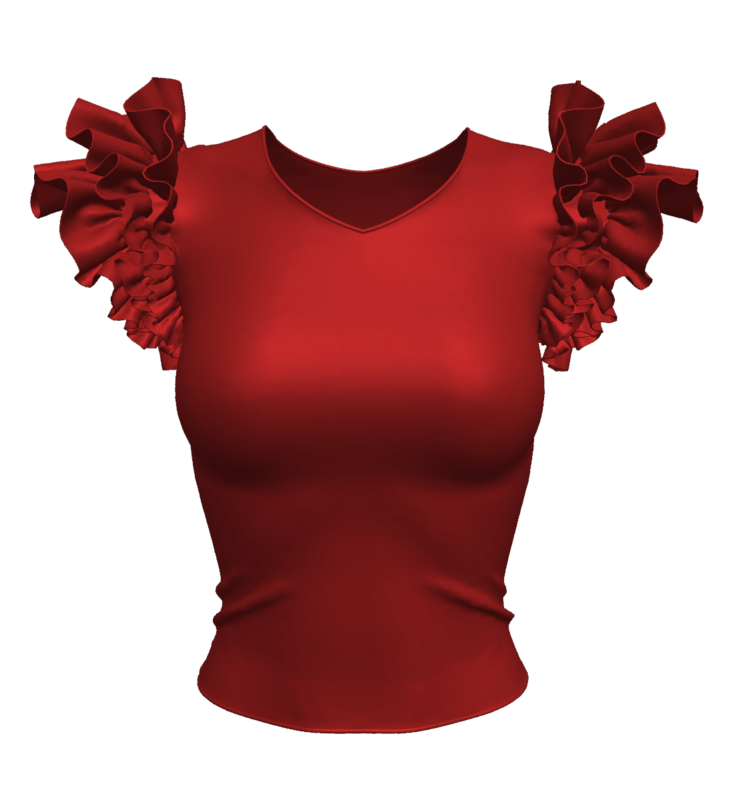 Just bring in your animated model or the desired animation file (for instance Point cache 2, Maya cache, MDD cache – standard or from 3Ds Max or Maya) to animate your garments in Marvelous Designer software. Press the record button and Marvelous Designer is going to animate the cloth for you! 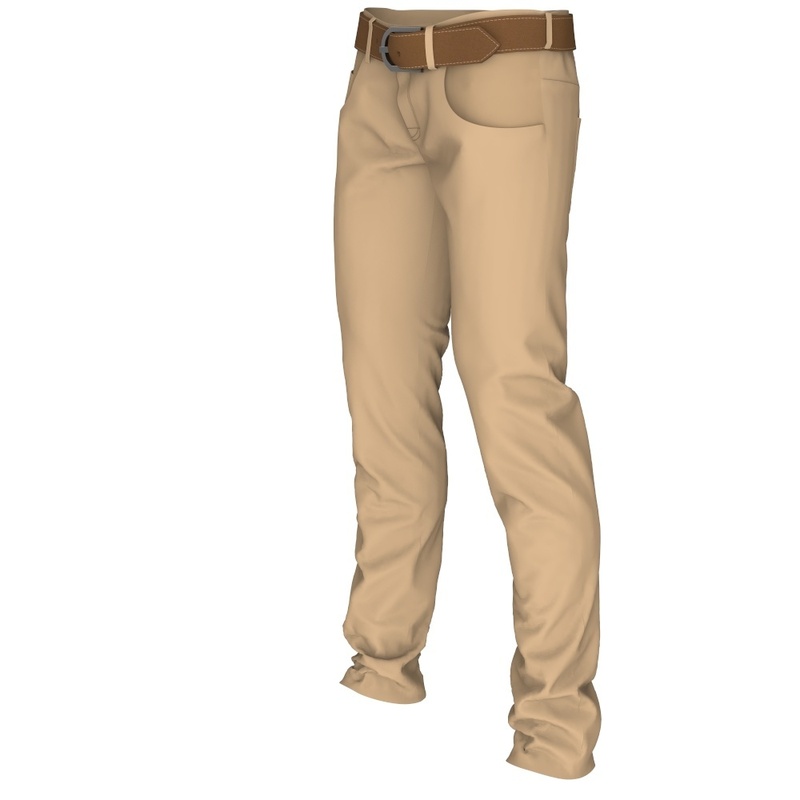 Regardless of whether your 3D avatars stand atop of a wind blown mountain, skip, squat, do tai-chi, walk, run, jump, punch, do an acrobatic movement or do a summersault midair – the MD Garments will realistically move with your 3D creature, generating the proper look in the clothes to match its motion. Marvelous is without any doubt the best possible solution for digital virtual 3D clothing in games, animated TV commercials as well as for animation motion pictures, virtual reality (VR) and for VFX (Virtual Effects) in films. We suggest you get our Marvelous Designer course for beginners, it covers everything you need to know, including cloth animations in the Marvelous Designer software. 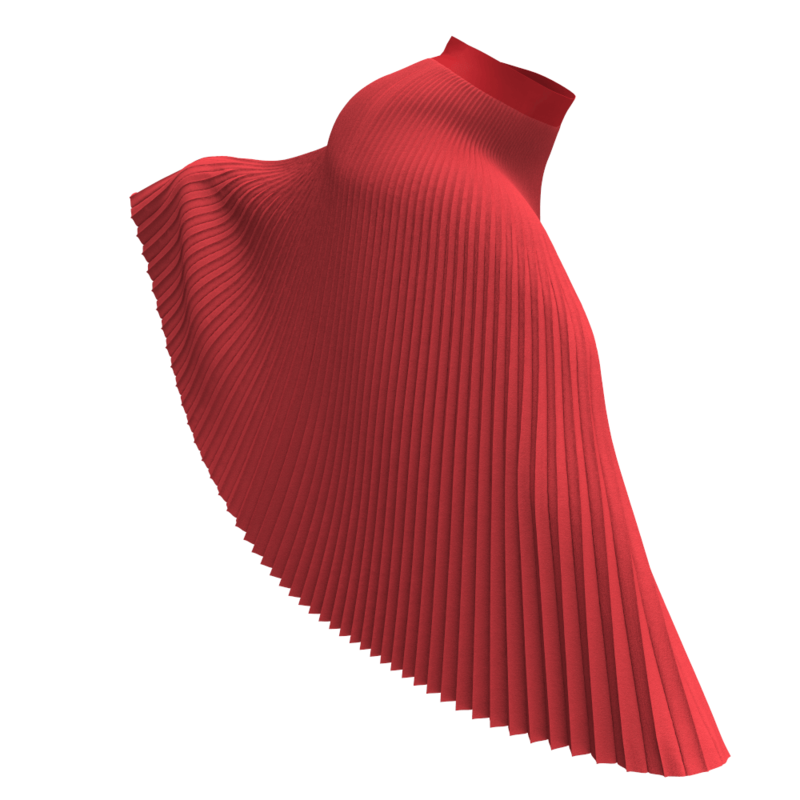 Dynamic clothes, in the context of 3D clothes, are digital garments for 3D models which are not conforming clothes. 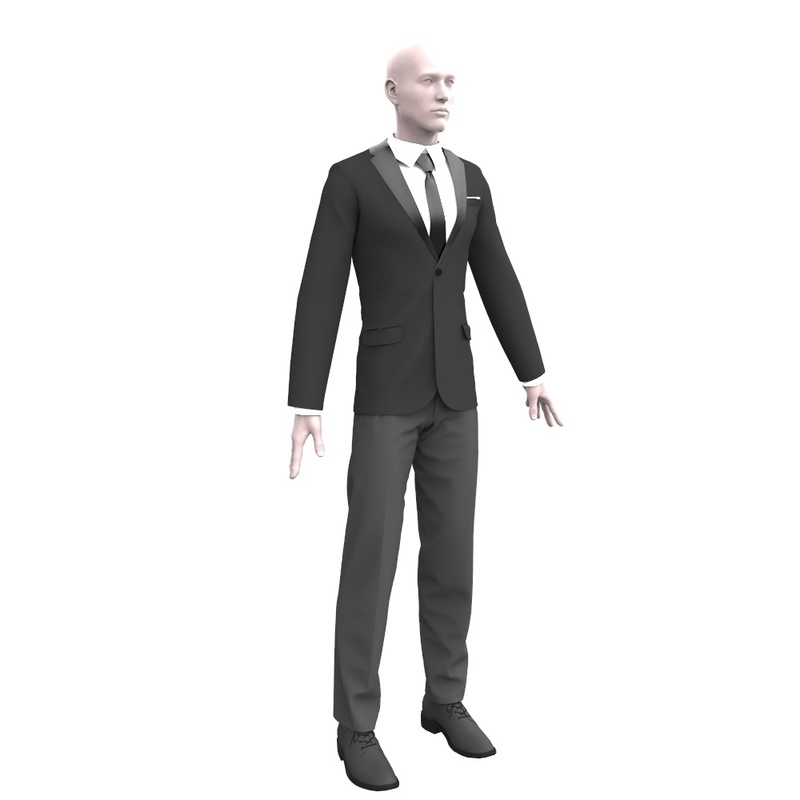 The clothes made in Marvelous Designer are dynamic, meaning, whenever you change the 3D Avatar’s pose the clothes adjust to the new pose and drape to look realistic. No need to sculpt wrinkles or study cloth anatomy for hours. 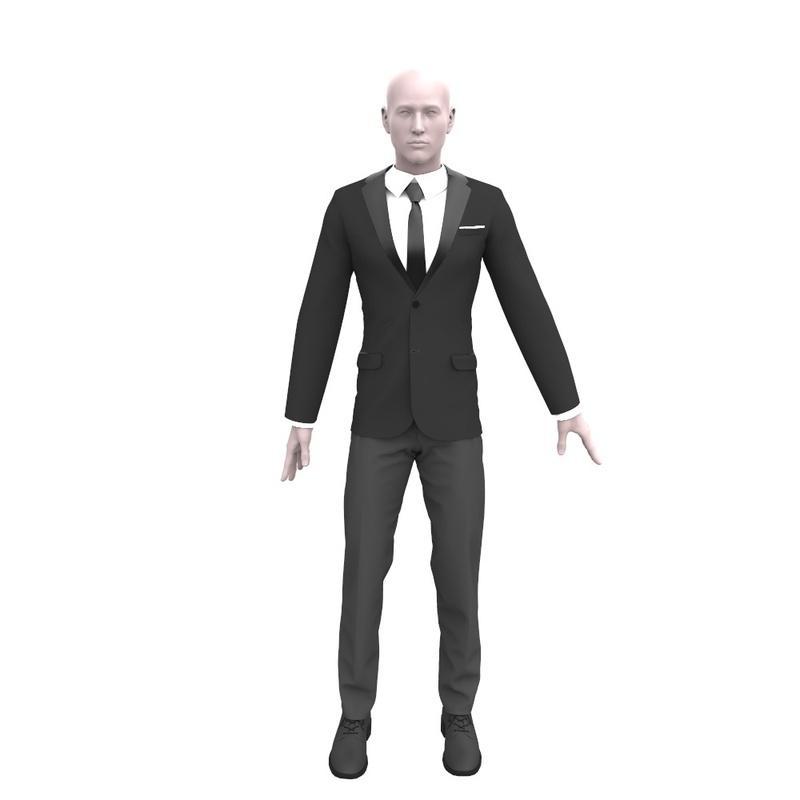 When you create your 3D dynamic clothes in Marvelous Designer software, you can use the clothes for animations and film. 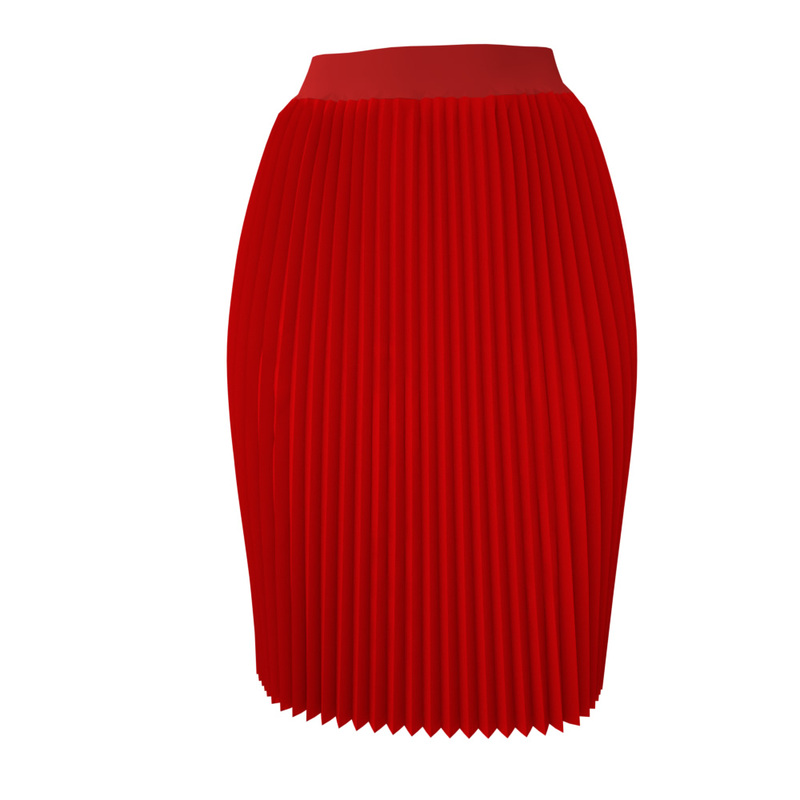 What is a 3D Clothing Design Software? 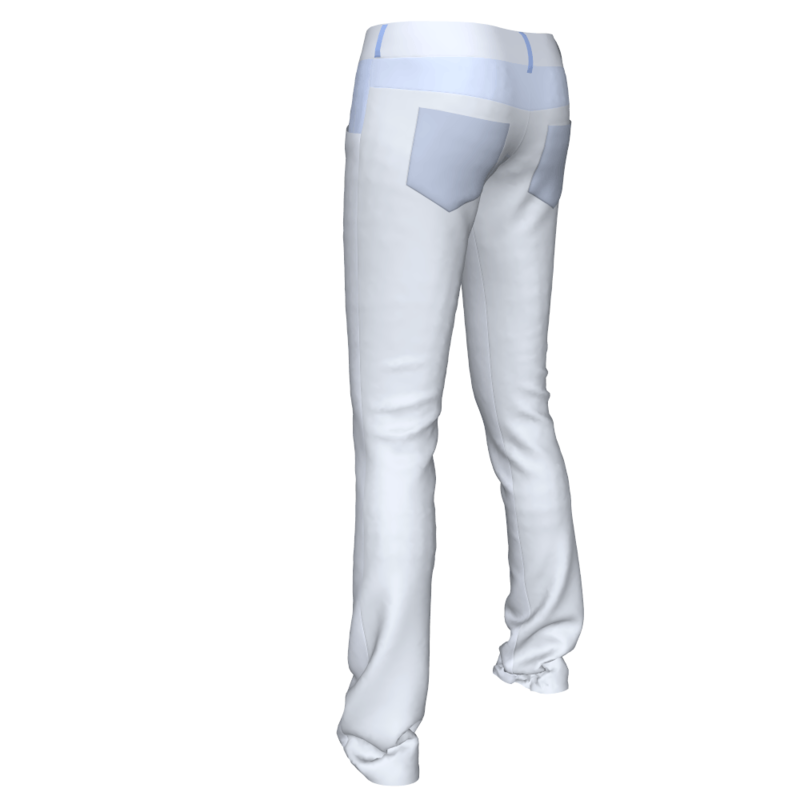 A 3d clothes maker is a 3d clothing software for creating clothing for 3d models. 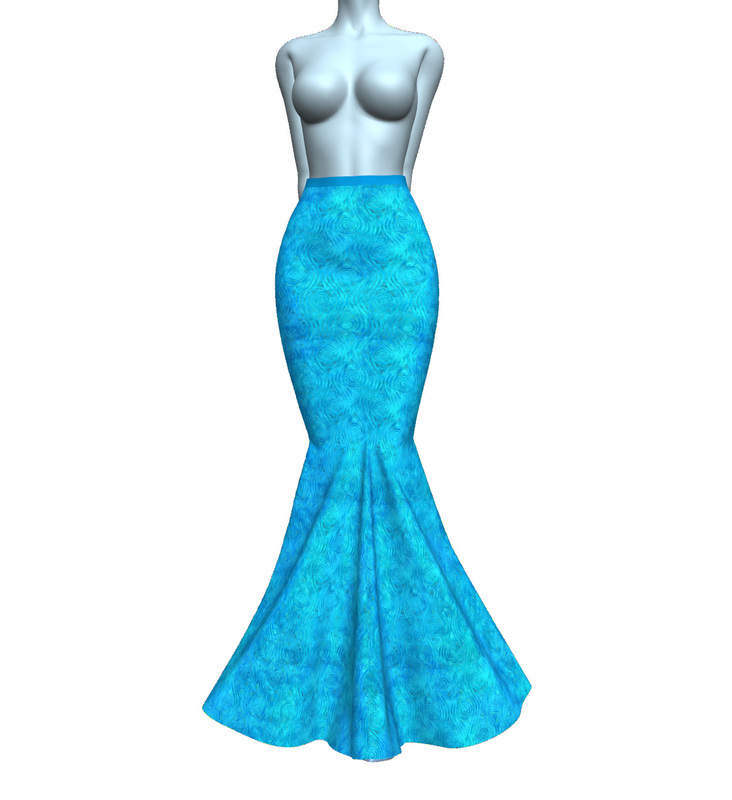 One needs a clothes design software for fashion industry as well as for the gaming and film/animation industries. 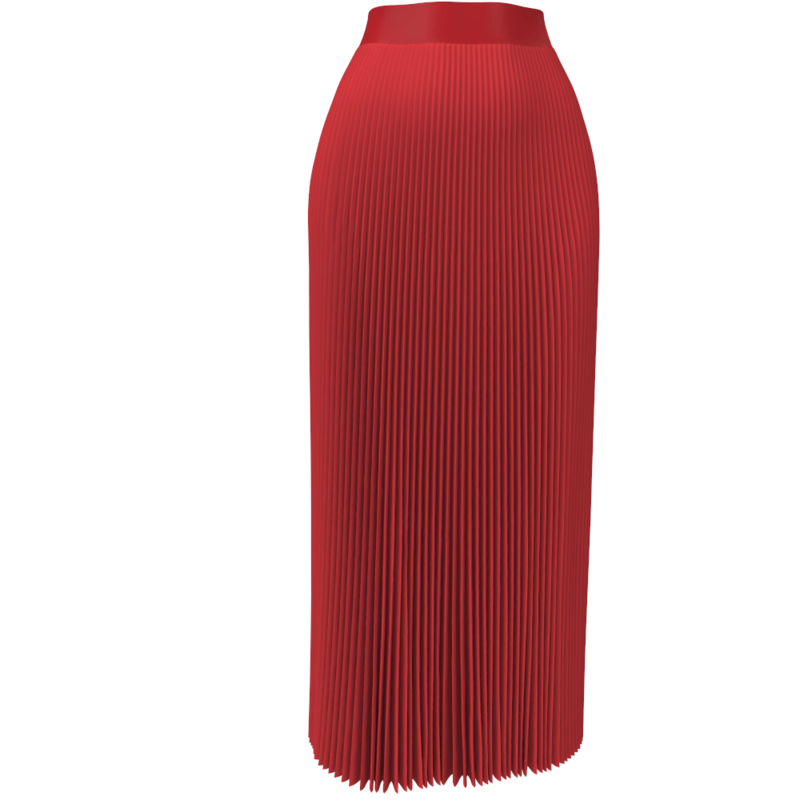 If you are in the fashion industry where you require 3D virtual prototyping and 2D CAD/CAM pattern and fashion design software, your best bet is either CLO3d or Optitex. 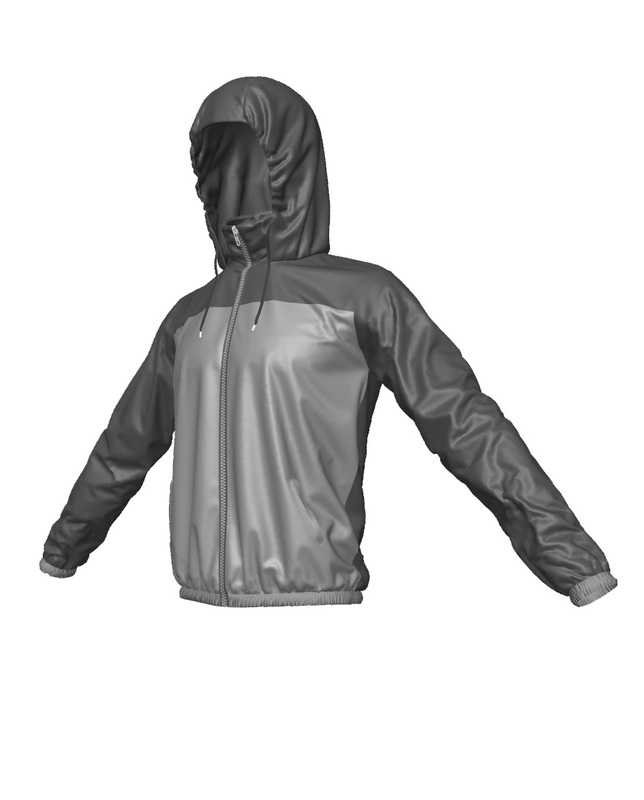 A 3D clothing design software like Marvelous Designer helps you create dynamic clothing for 3D models. Marvelous Designer 6 is a great way to do 3d dress design, 3d shirt model, as well as many other types of clothing for 3d models used for games, film, animations, online virtual catalogues, for book cover illustrators, illustrations, pre-vis, and even for architecture and legal purposes (like crime scene reconstruction). Some CG artists only need conforming 3d clothing models with some morphs and they are happy, while other 3d artists and character artists need and desire the clothes to look as realistic as possible for VR, virtual world games and when creating Digital Doubles for movies. 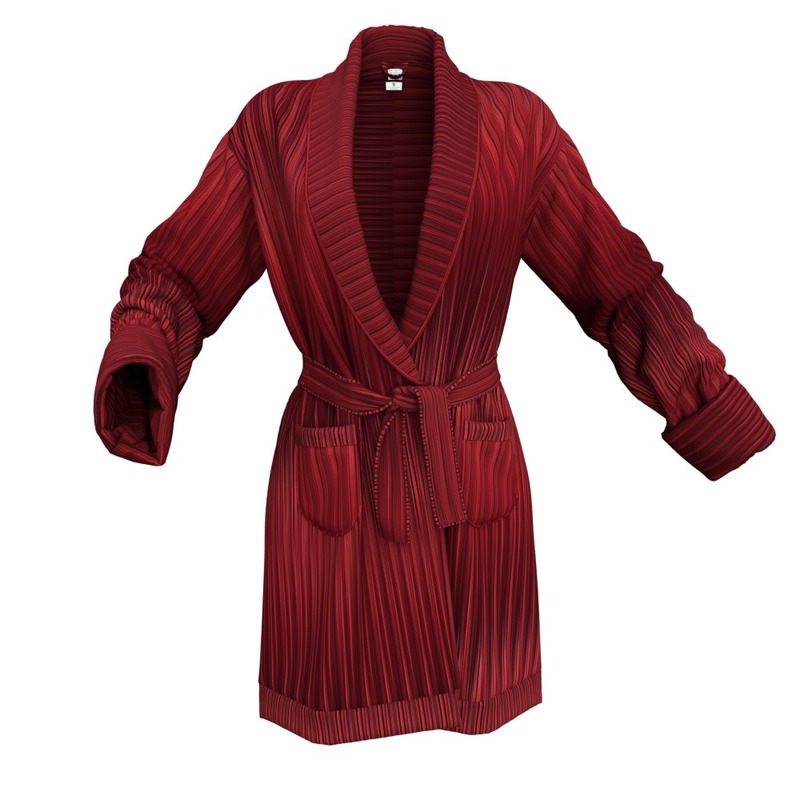 With Marvelous Designer, you can very quickly simulate authentic life-like fabric properties. Never before was it so very easy to produce those lovely realistic looking wrinkles, creases, pleats, and folds for your 3D garments – without a 3D artist needing to spend so much time investigating cloth anatomy and going through tiresome sculpting and re-sculpting wrinkles every time the artist changes the 3D character’s posture. Regular 3D modeling and sculpting techniques call for hours of demanding effort to reproduce all these lovely tiny wrinkles, bends, pleats and folds plus a LOT of hands-on practice and competency in order to get it appearing like convincingly realistic outcome. 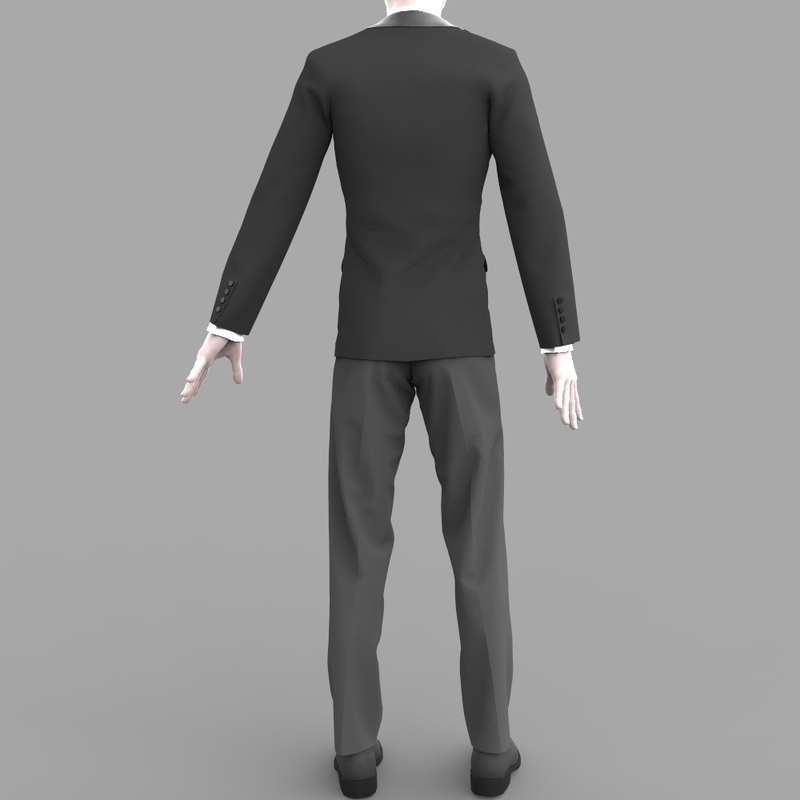 Cloth Simulation in Marvelous Designer means it simulates the clothing apparel on your 3D character, this means, that each time you modify your Avatar’s posture, the item of clothing will realistically hang to suit its pose. 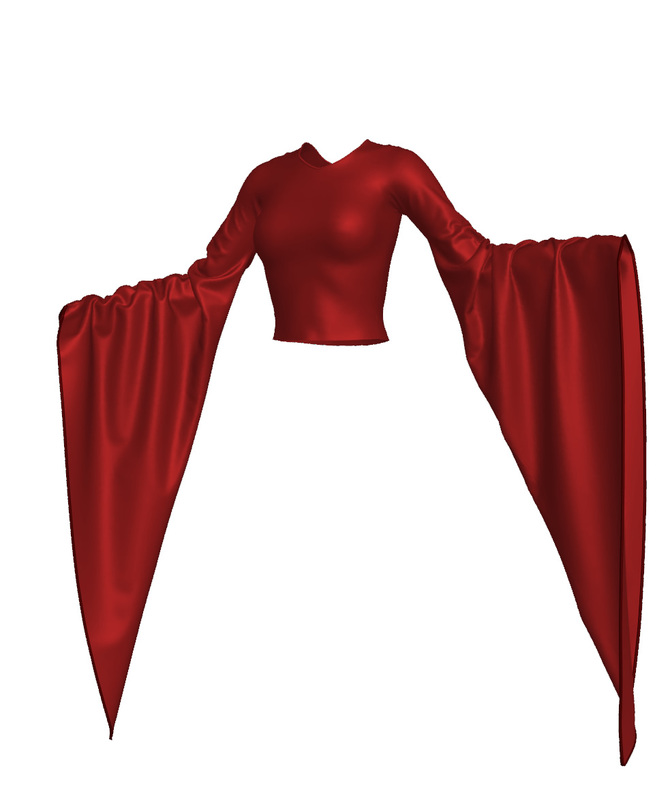 You can pluck, roll up, tuck or twist and arrange the way the garment ‘flows’ as well as take advantage of the wind tool to whirl and further add appeal to your capes, gowns, and dresses to swiftly create super cool dynamic looking results faster than previously thanks to the Marvelous Designer cloth simulation feature. 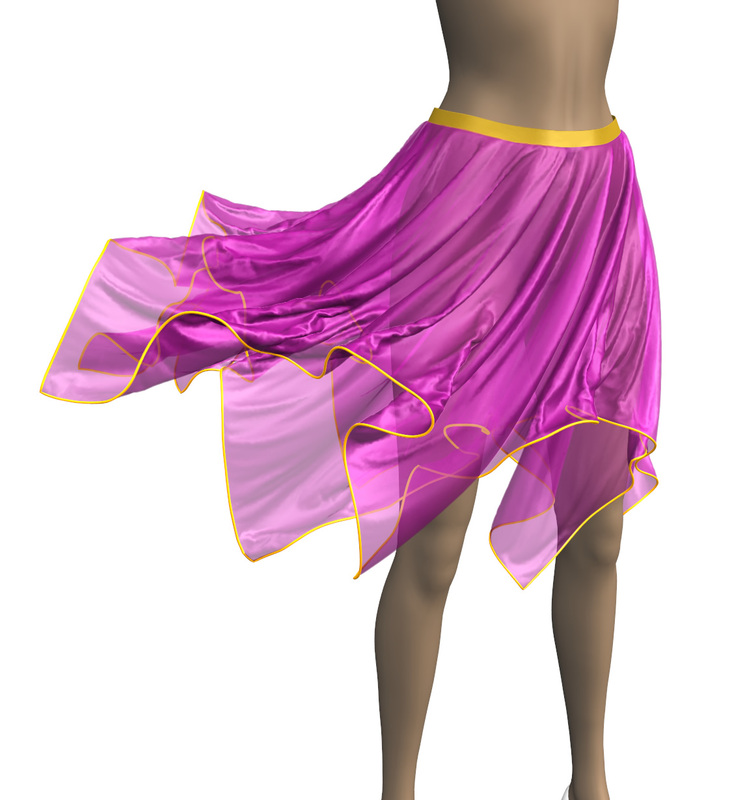 Cloth Simulation is defined in the context of computer graphics, to the simulation of soft bodies in the form of two dimensional continuum elastic membranes, that via rendering effects, can produce a visually plausible emulation of textiles and clothing, used in a variety of contexts in video games, animation, and film. In video games it is often used to enhance the realism of clothed characters, which otherwise would be entirely animated. 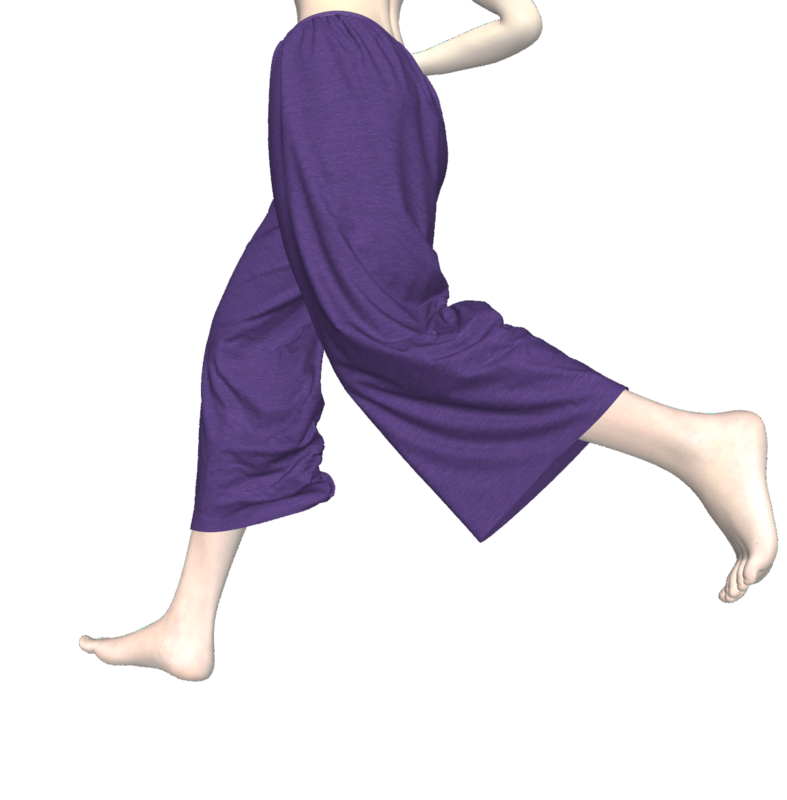 Cloth simulators are generally using soft body dynamics. Soft body dynamics is a field of computer graphics that focuses on visually realistic physical simulations of the motion and properties of deformable objects (or soft bodies). The applications are mostly in video games and films. 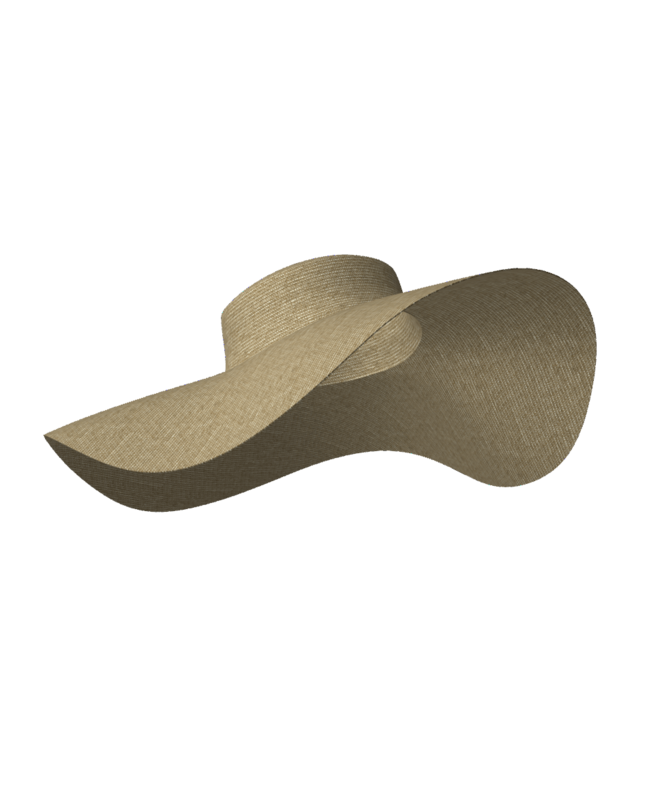 The scope of soft body dynamics is quite broad, including simulation of soft organic materials such as muscle, fat, hair and vegetation, as well as other deformable materials such as clothing and fabric. Generally, these methods only provide visually plausible emulations rather than accurate scientific/engineering simulations, though there is some crossover with scientific methods, particularly in the case of finite element simulations. Several physics engines currently provide software for soft-body simulation and Marvelous Designer is one of them. 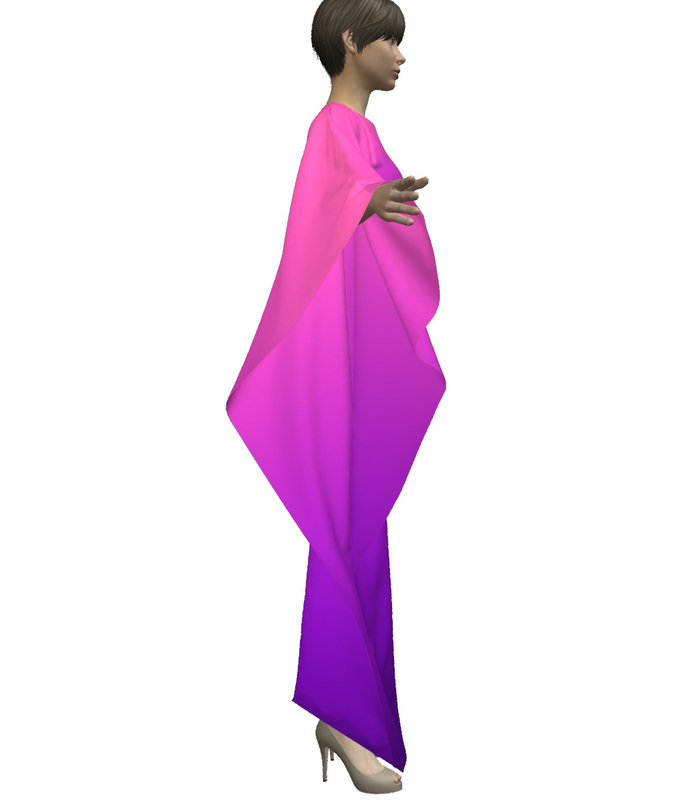 Here’s an interesting scientific PDF from SIGGRAPH on cloth simulation dealing with mathematical equations and geometrical constraints of simulating cloth. 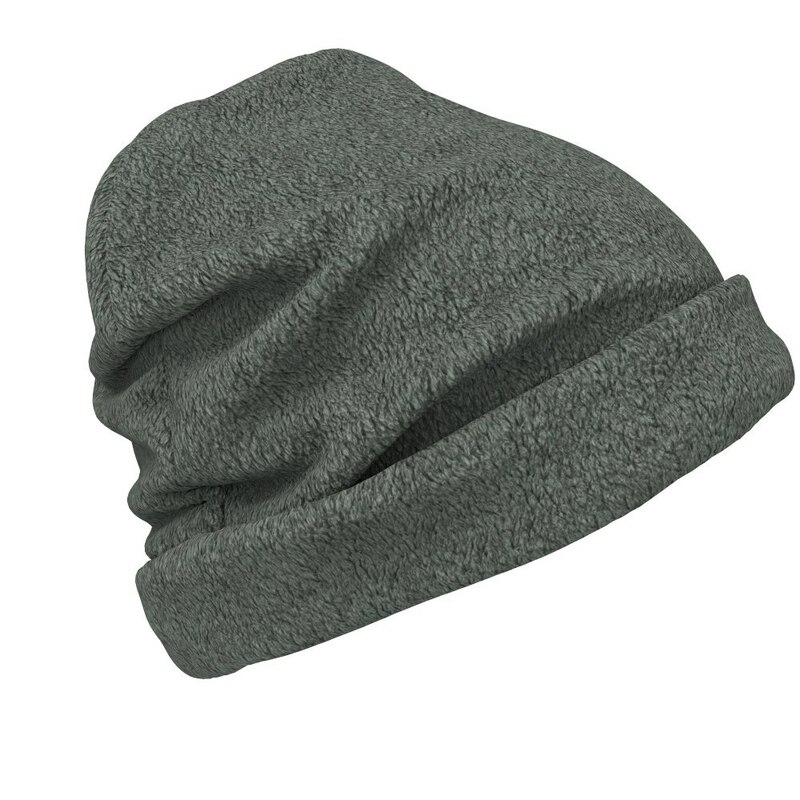 Realistic interaction of simulated soft objects with their environment is important for obtaining visually realistic believable cloth simulation results. 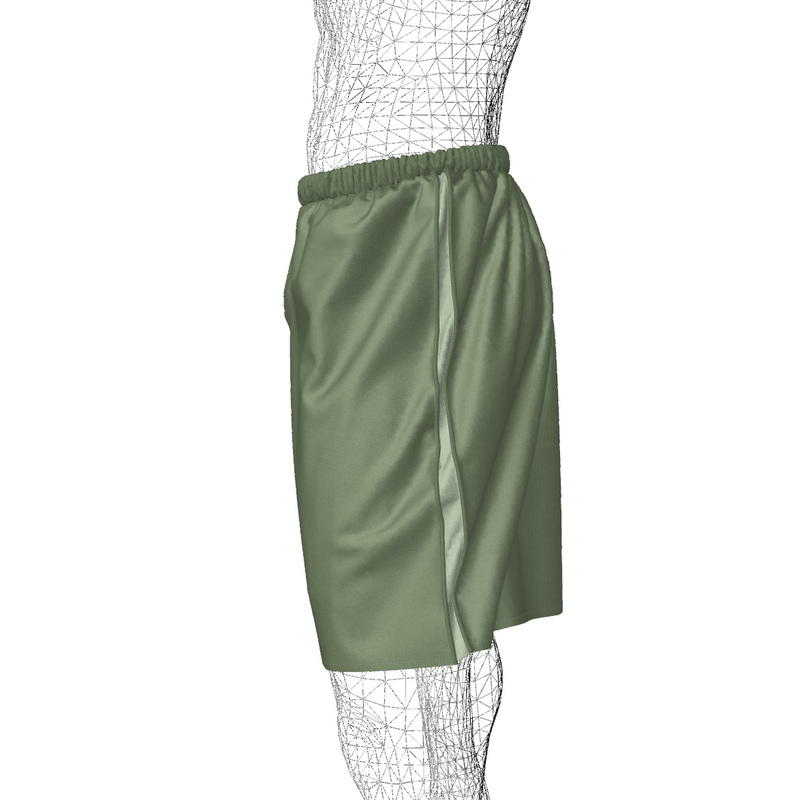 Cloth self-intersection is important in some applications for acceptably realistic simulated garments. This is challenging to achieve at interactive frame rates, particularly in the case of detecting and resolving self-collisions and mutual collisions between two or more deformable objects. Cloth is a deformable object. 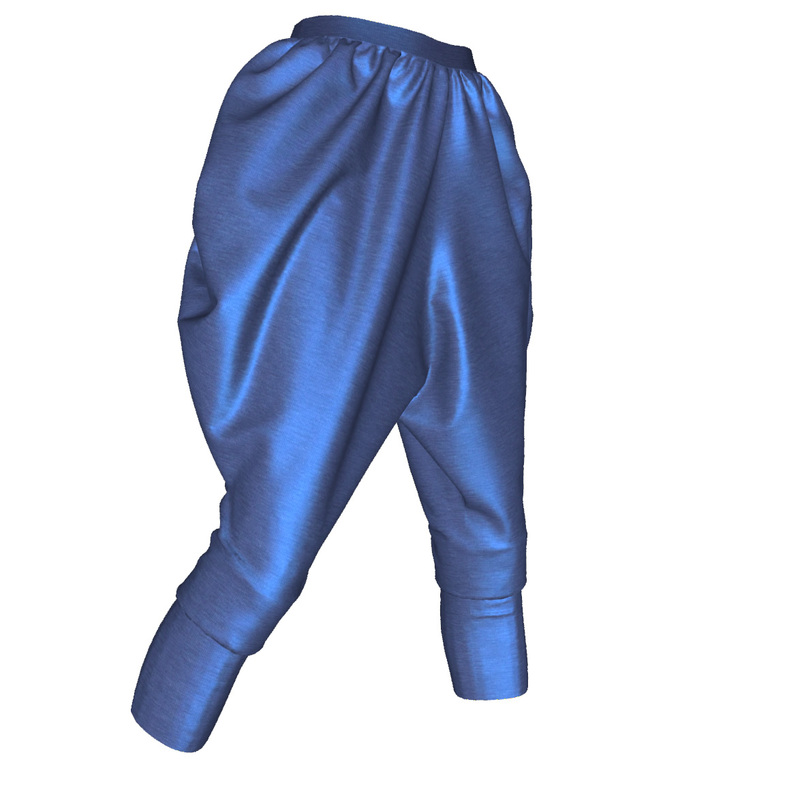 Software for cloth simulation use complex algorithms. Maya nCloth provides the 3D artist with detailed control of cloth and material simulations. Compared to its predecessor Maya Cloth, nCloth is a faster, more flexible and is a more robust simulation framework. It enables to convert polygon mesh models into nCloth objects, to paint cloth attributes such as bend, stretch, shear, and dent and to make 3D objects stiff, viscous, or flowing. You can attach buttons, tear cloth, and control movement with topology-independent constraints. 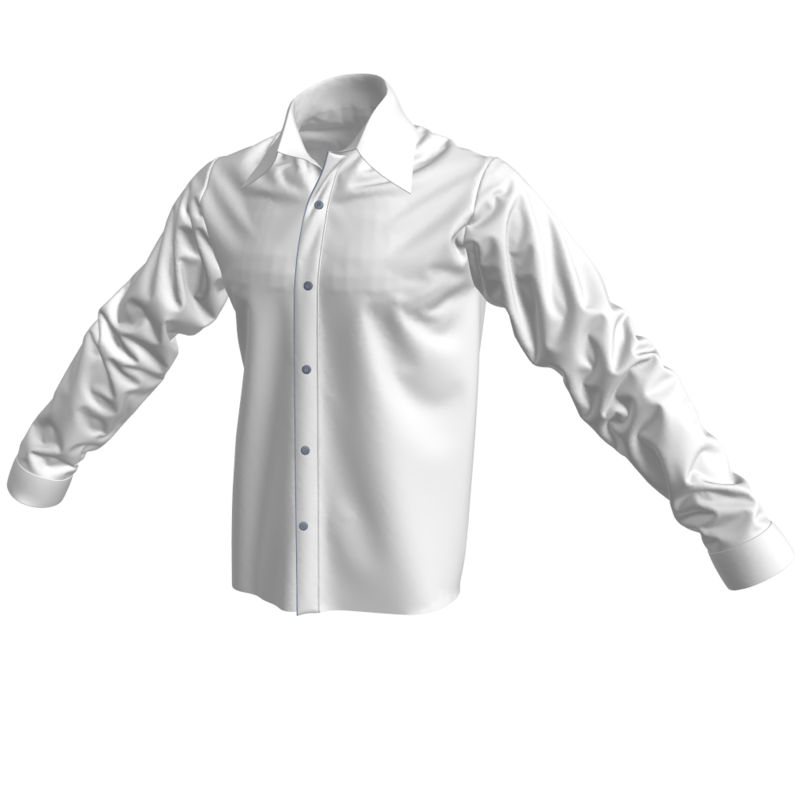 You can also simulate cloth-on-cloth, such as a shirt over pants and achieve highly realistic results without self-interpenetration errors, and blend multiple cached simulations to achieve complex effects. 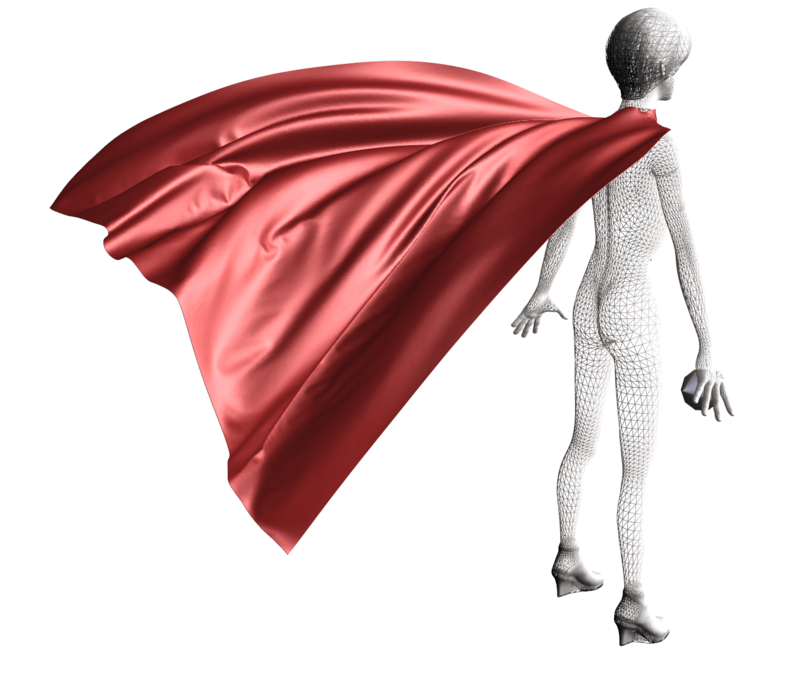 nCloth offers Bidirectionally interaction with Maya nParticles and Maya nHair. nCloth is a very fast dynamic cloth simulation that uses a proprietary simulation engine called Nucleus to simulate a wide range of polygon surfaces – only works with polygon meshes. 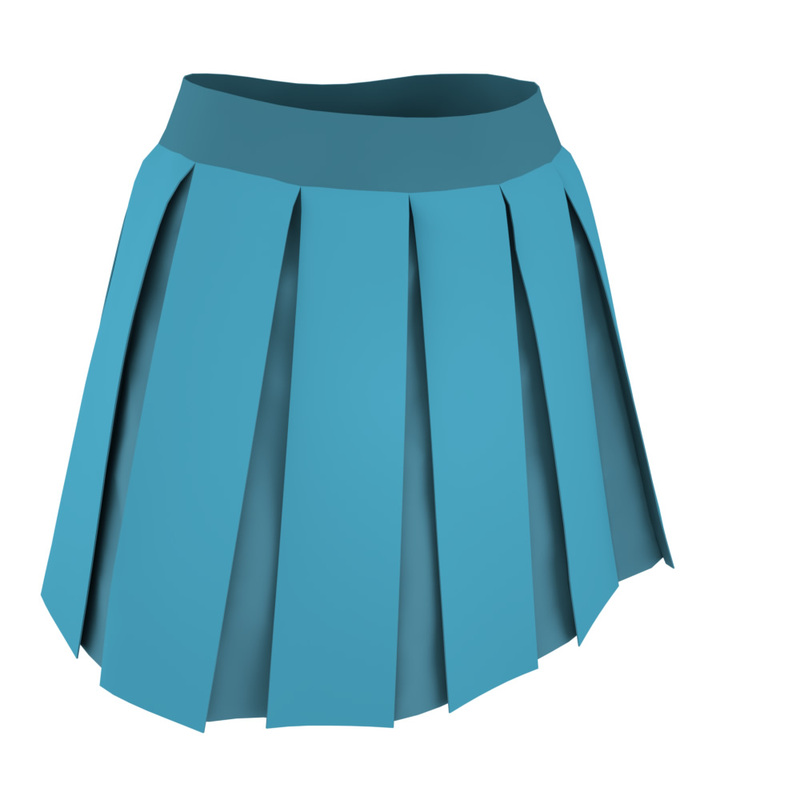 You’re able to model any mesh and make it an nCloth object. 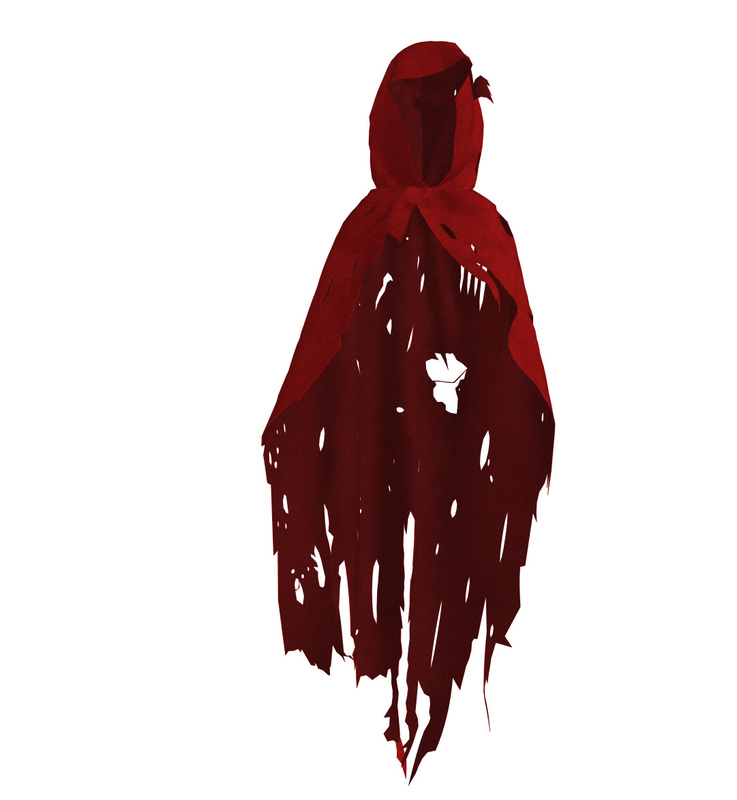 Havok Cloth is a performance-optimized development tool for creating believable simulation of cloth, hair, foliage and other soft body objects. Havok Cloth is fully multi-threaded and cross-platform optimized for leading game platforms and the Havok Physics claim to offer the fastest, most robust collision detection and physical simulation technology available, widely used within the games industry and has been used by leading game developers in over 400 launched titles. 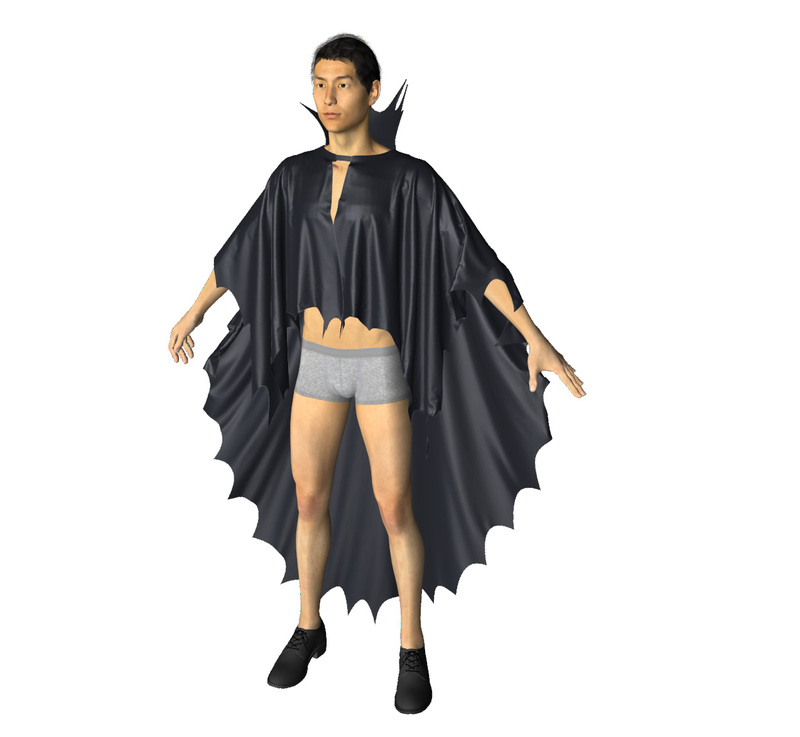 Qualoth cloth simulation engine offers a sophisticated physical model and numerical algorithms which produce realistic wrinkles and fabric animation, and its fully multi-threaded solver realizes unmatched computational speed, according to the company. 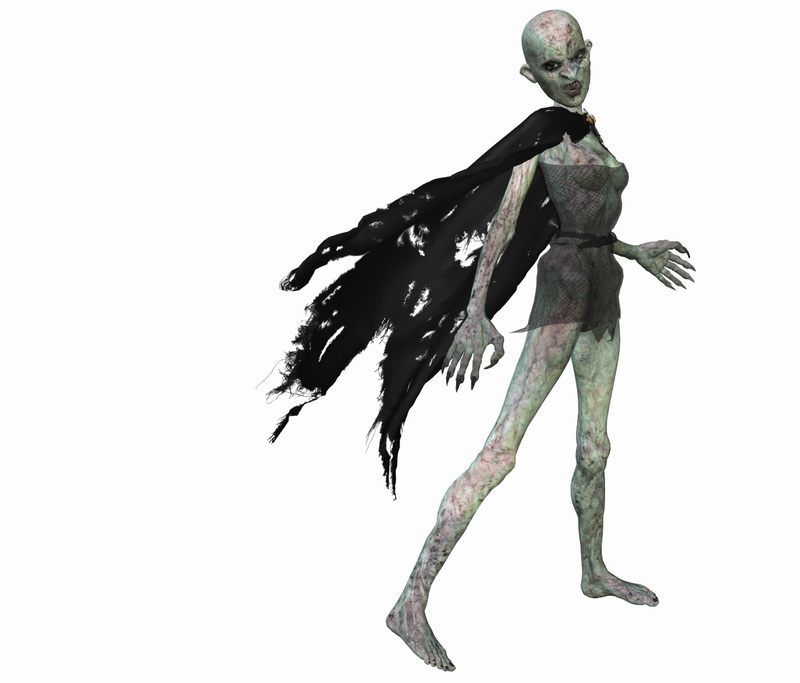 Qualoth has been proven in rigorous production environments in some of the biggest 3D animation studios in the world. They boast reliable collision handling and a rich set of controls plus a Seamless Import from 3D Garment Design Tools like Marvelous Designer. Qualoth can accept quad-mesh, tri-mesh, and even non-manifold mesh as input geometry, for greater realism with a wider variety of source models. 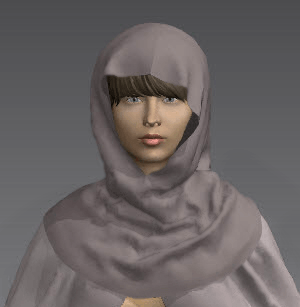 Qualoth also allows you to create clothing not only from cloth mesh draped on an existing 3D human model, but also by working from traditional patterns. 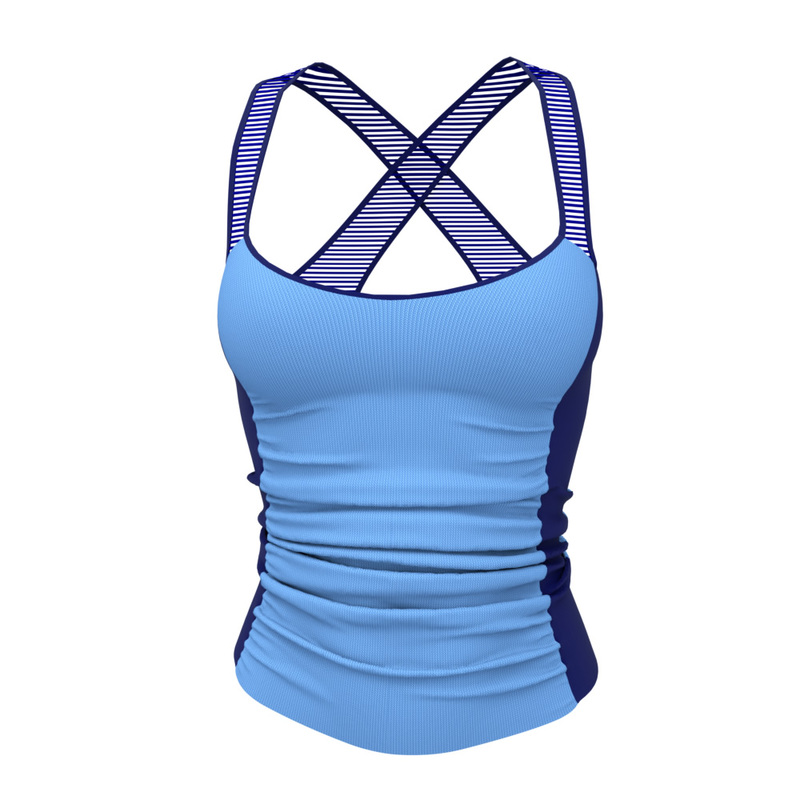 This lets you produce realistic garments from imported CAD patterns in dxf or eps file format, such as those produced using CAD production software such as DC Suite, Marvelous Designer, Optitex, Yuka CAD or Adobe Illustrator. 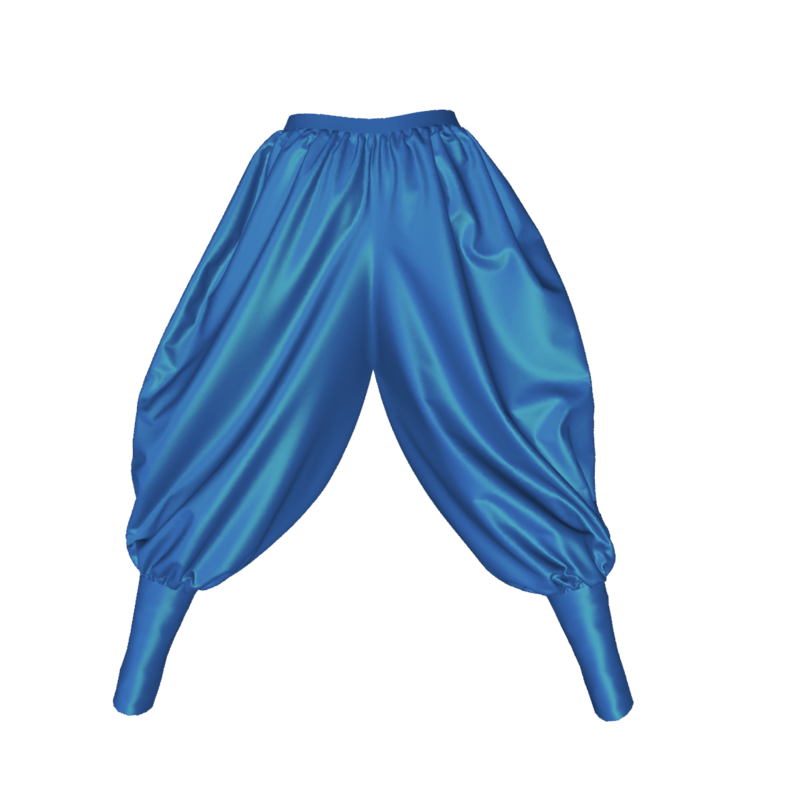 SyFlex Cloth Simulator is claimed to be behind many of the realistic cloth animations seen in current 3D productions, special effects sequences in feature films and in commercials. SyFlex features an incredibly fast and stable engine, according to its makers, along with comprehensive set of tools provided with the plugin for the creation of a wide range of effects. 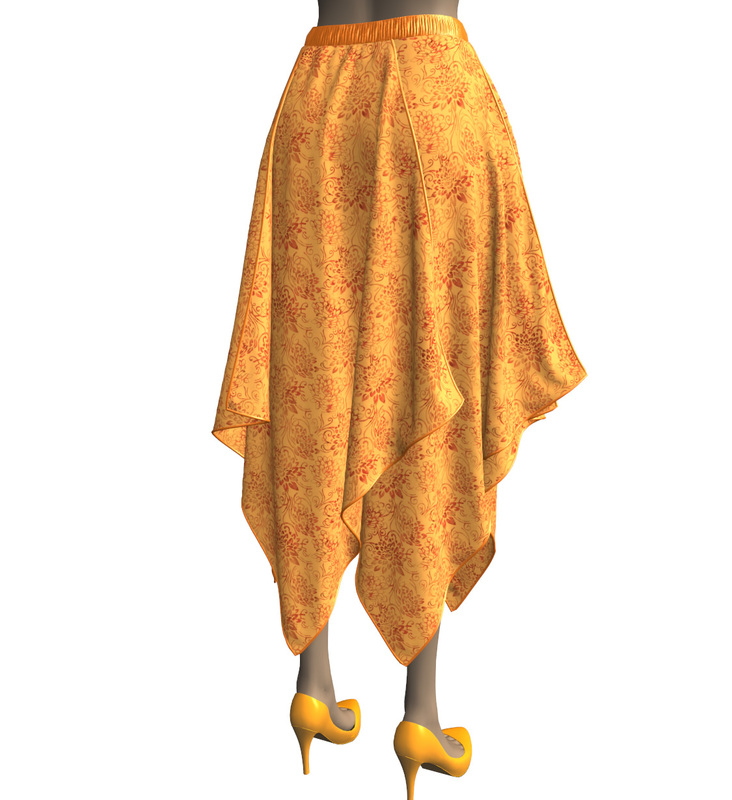 Blender – However, as some of its users say, Blender *could* be used as an alternative, but for very simple things (like sheets, curtains, or simple dresses) and requires the use of a lot of hooks and constraints… And it takes too much time to get just acceptable results. Optitex is an advanced and feature-complete 3D Virtual Prototyping and 2D CAD/CAM Pattern and Fashion Design Software and better than any available free Marvelous Designer alternatives. 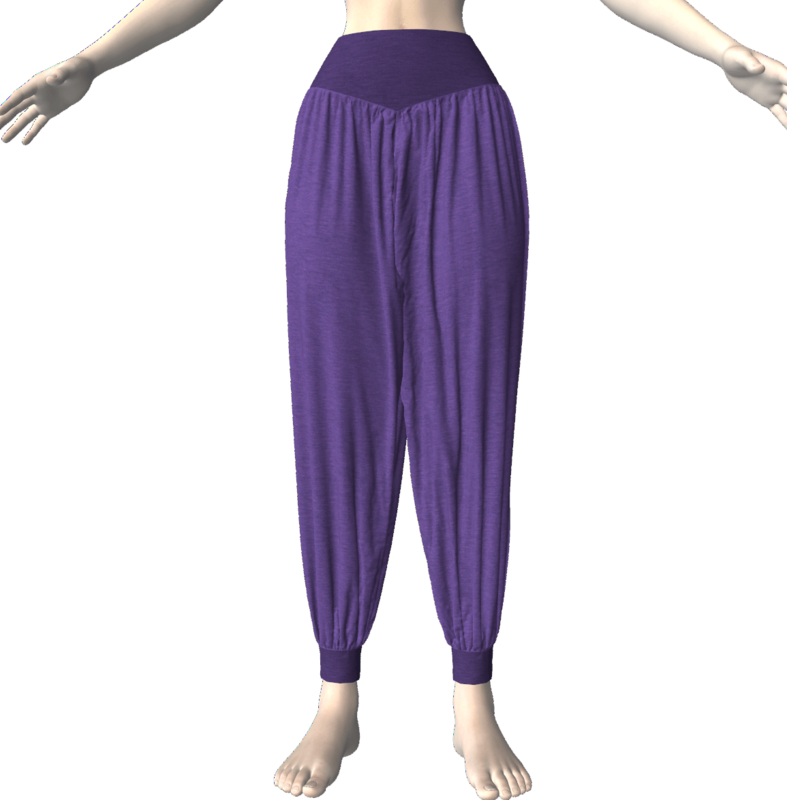 It is similar to Marvelous Designer but rather closer to CLO3D features (with features older MD versions had), enabling you to resize the Avatar for a made-to-fit clothing creation. Its simulation engine is said to be rather slow compared to MD. 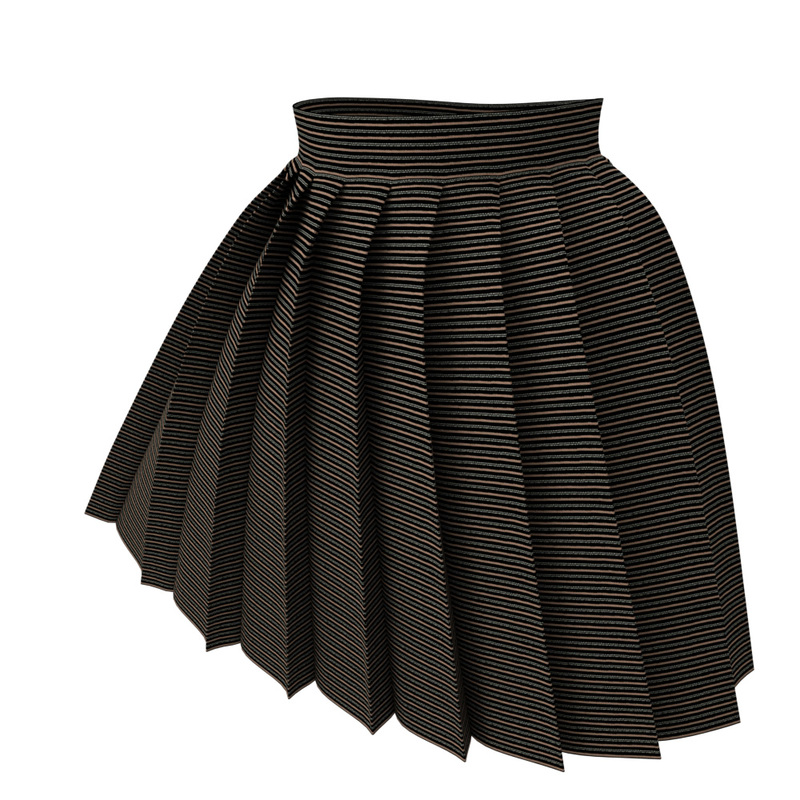 Optitex is a 2D and 3D CAD/CAM Fashion Design Software but very very expensive. Optitex 3D do not have pricing on their website and from what we hear it ranges in the thousands of dollars per license and that it’s really for fashion houses that can pay US$10,000 for it. Optitex is the direct competitor of CLO3D and was not created for the needs of game artists or the 3D character artist. 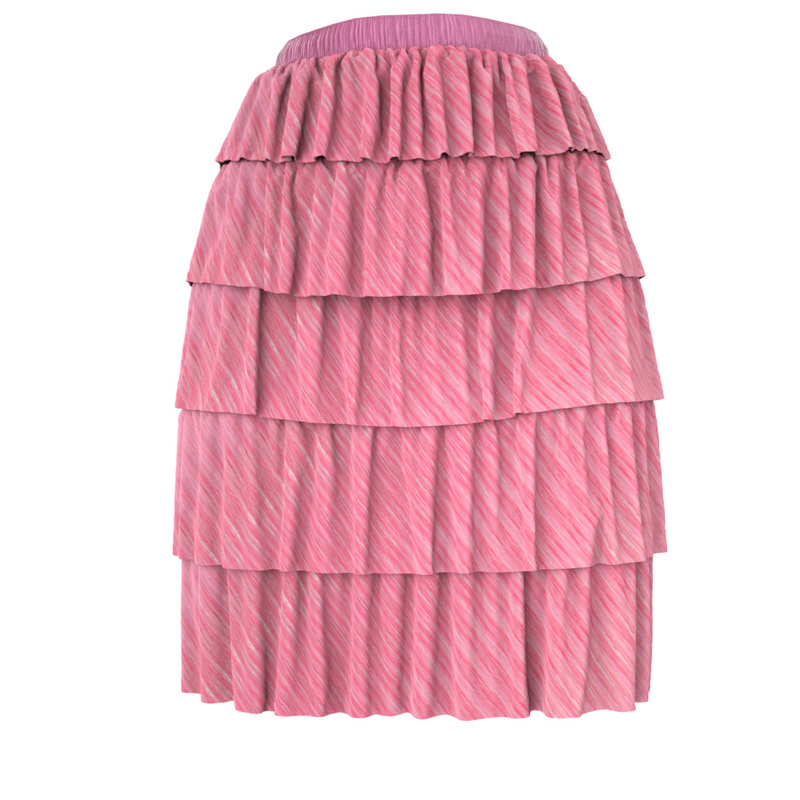 Maya nCloth provides the 3D artist with detailed control of cloth and material simulations. 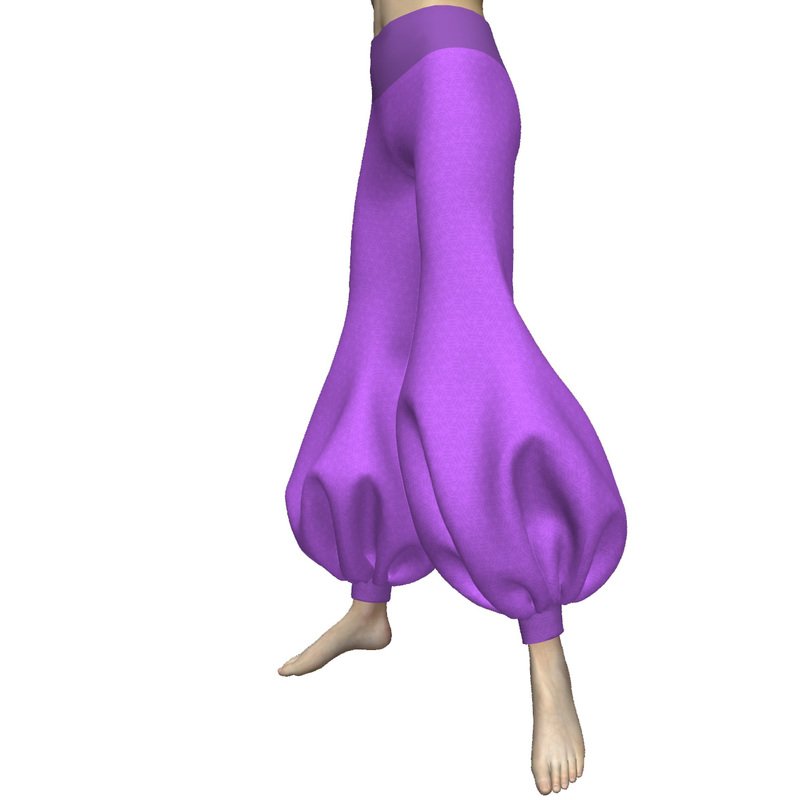 nCloth is great for animations, however, MD is great for making the clothes. 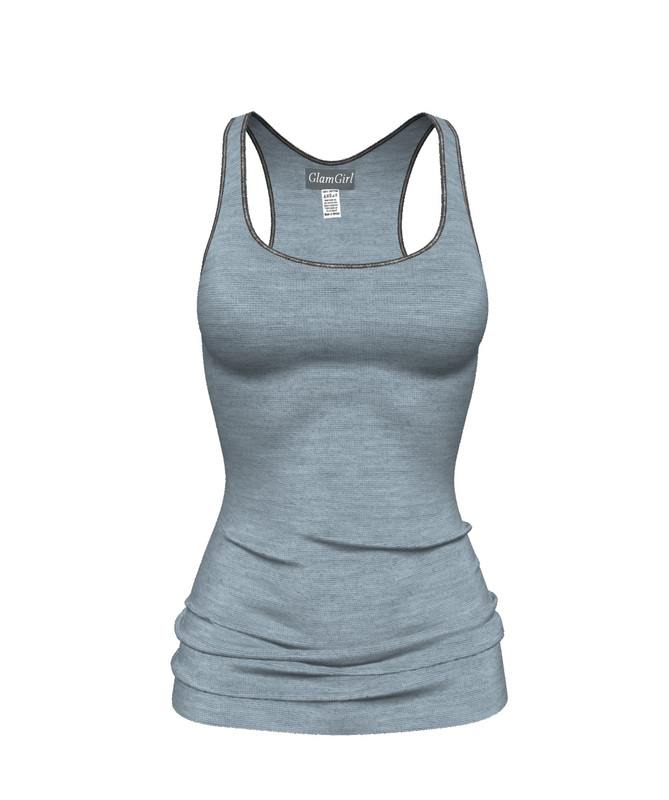 CAD production software for apparel, like Yuca and Qcad – these are only creating the patterns for a set input of body sizes. 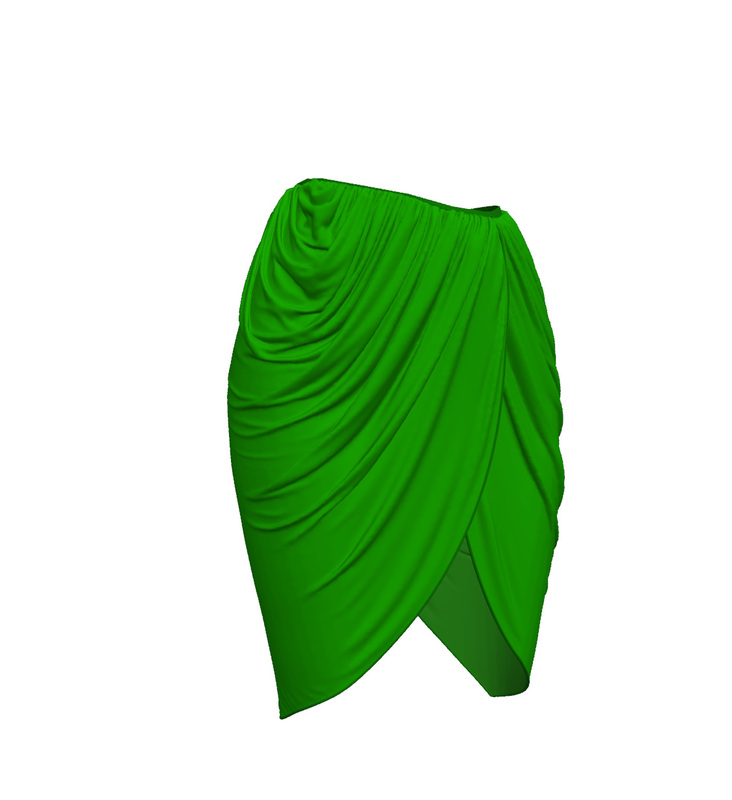 You’d need to import the design to create the digital cloth for 3D in a software that makes 3D garments. 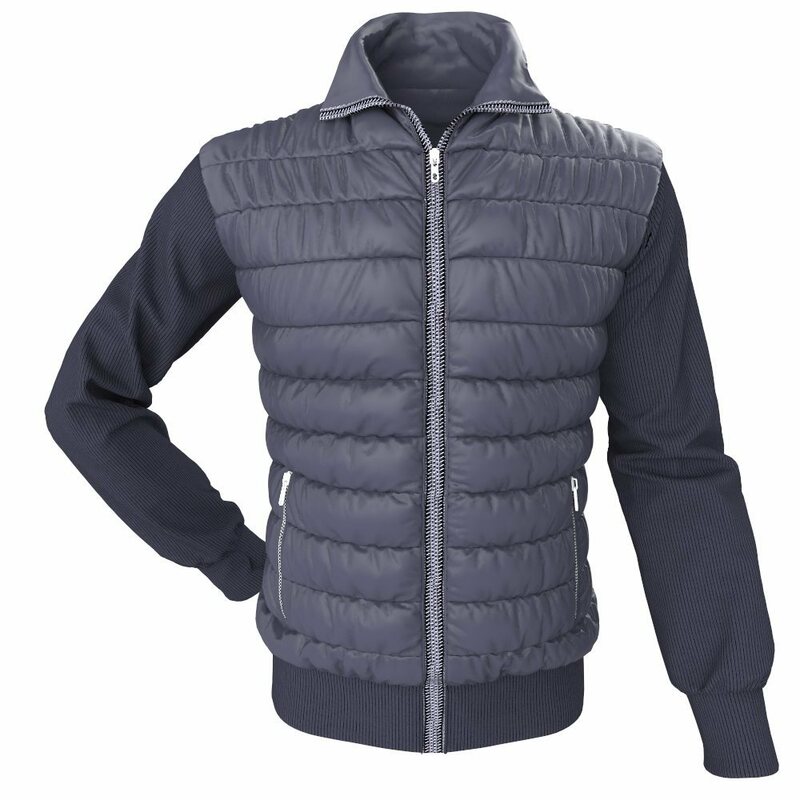 MD software obliterates the need for these Apparel CAD software. You can download Marvelous Designer 6 at the official website MarvelousDesigner.com when you sign up for a free trial. The free Marvelous Designer download only requires an email – use the same one you signed up with for the free trial to activate the software. After providing the CLO 3D Marvelous Designer CEO a free +1h consultation he agreed to extend the Marvelous Designer free trial from 2 weeks to a more realistic free trial period of 4 weeks. What about Marvelous Designer trial limitations? The 1-month free Marvelous Designer trial is a fully functional version of the MD6 software without limitations on exporting the garments you create in Marvelous Designer and without any disabled features or buttons. So now you have 4 weeks to test out Marvelous Designer free. You then plug in your email address once you open the software, after installation and trial period will begin. During this free trial period, you want to make the most of it. Hence, you need to know to use the software or you may quickly get discouraged. We suggest at the very least you get our Marvelous Designer beginners tutorial. It is the best way to quickly get a grip and learn to use Marvelous Designer in only 6.5h of video training for the Marvelous Designer free software trial. Training is delivered in a most condensed manner possible, yet without leaving out any important aspect of using the program and with examples for features in the MD software. What’s the difference between Marvelous Designer to CLO3d? These are 2 cloth animation software products from the same maker, one for the virtual world and one for making real life clothes. Although the core technology behind both solutions is the same, Marvelous Designer is primarily used in the CG, animation, and gaming industries. CLO is a more robust solution geared towards the fashion and apparel industries with functions that can be applied to various stages of the garment design development process. CLO3D is not a “marvelous designer pro” version, it is simply a very smart way to cut time and save money when making production-line clothes for real humans. Marvelous Designer was the logical offspring of CLO 3D. The makers realized that aside from the fashion industry there was a market for film, animations, computer games and online fashion catalogs with a simplified version of Clo3D and with added featured 3D artist need for their workflow, using other 3D software tools like ZBrush, Maya, render engines and even Poser, DAZ3D etc. Can Marvelous be used for prototyping real clothing? 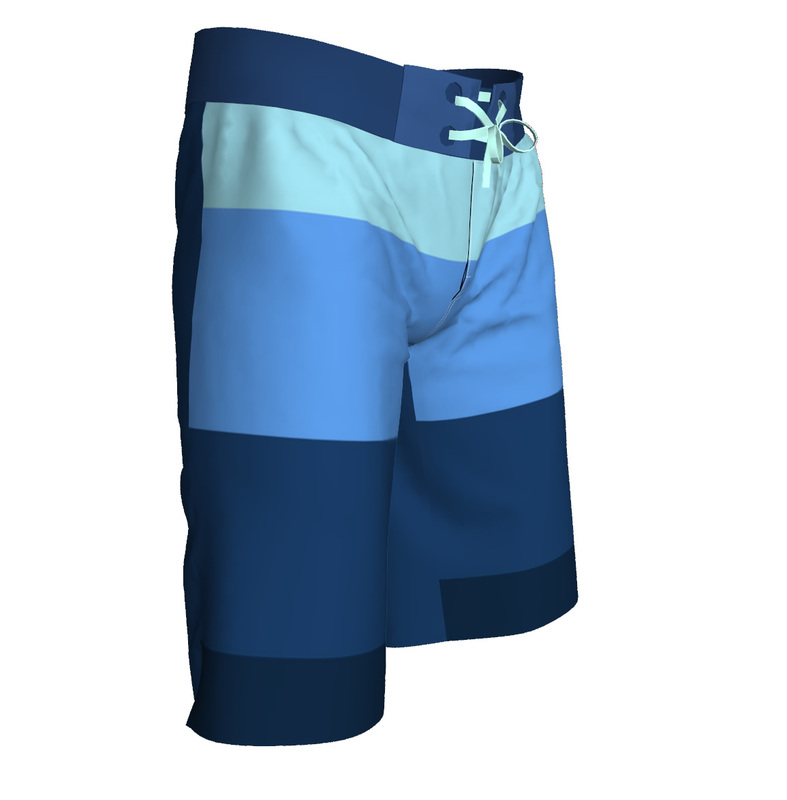 Marvelous Designer can be used to create realistic looking 3D clothing models for online catalogs andfor clothing pre-viz (asides from 3D animations, games etc.). 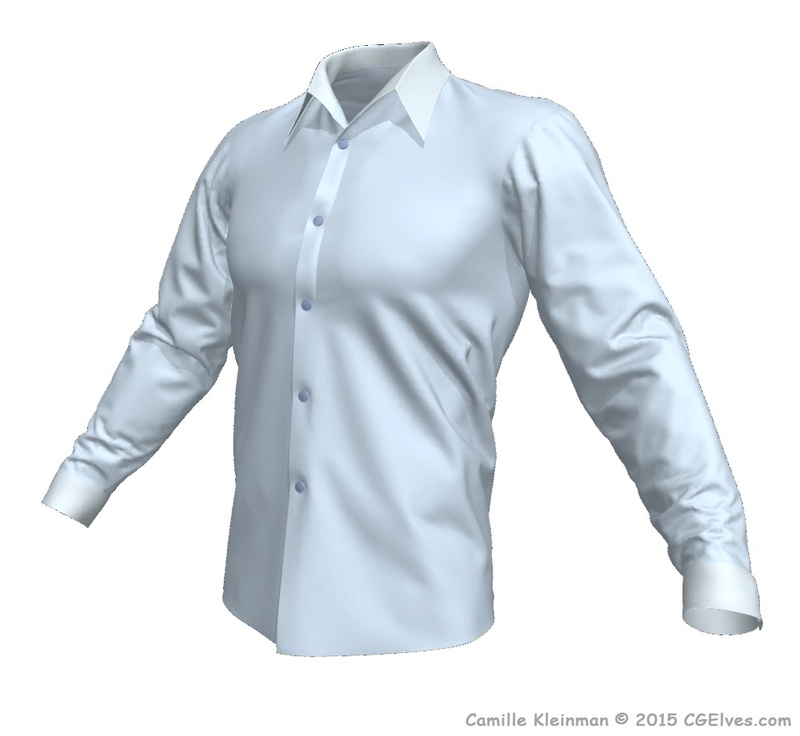 To create clothes for real-world production, you’d need to use CLO3D software. 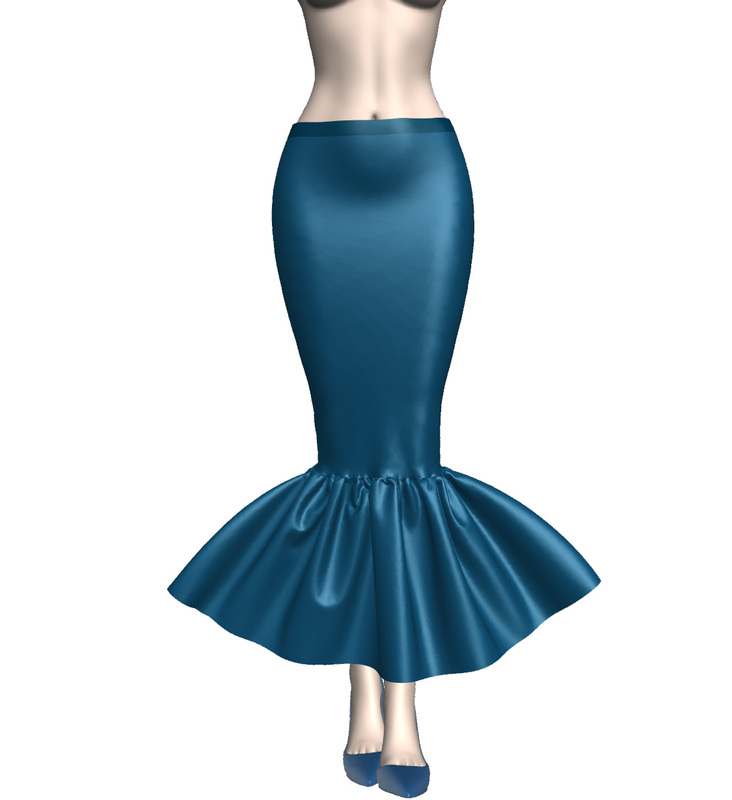 CLO Virtual Fashion is the creator of 3D garment creation software CLO3D and Marvelous Designer software. 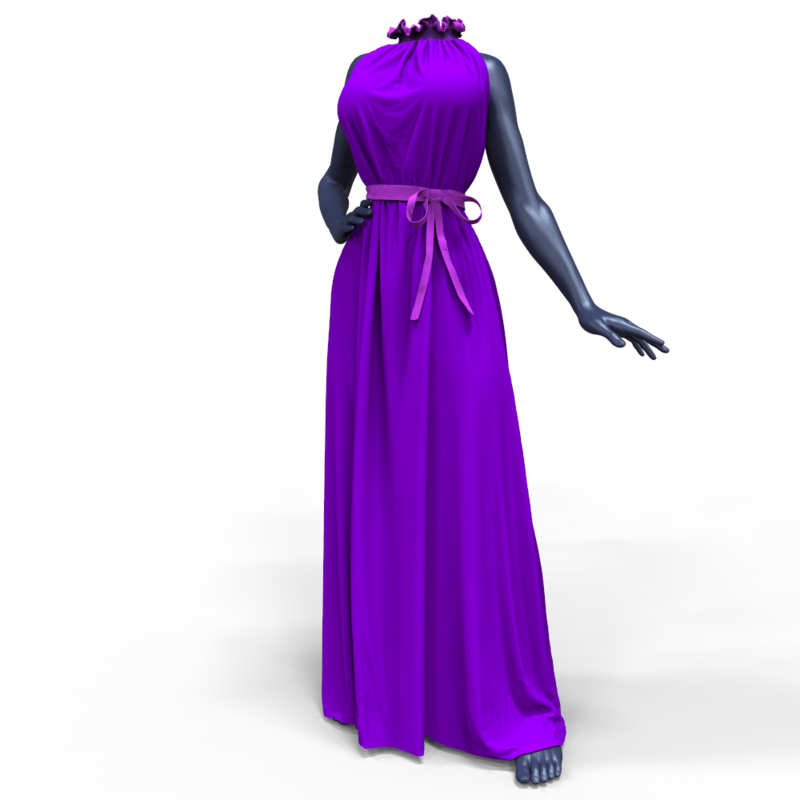 Clo3d is used in fashion industry while Marvelous Designer is used in film and gaming industries as well as for making clothes for digital 3D markets for users of DAZ3D, Poser, iClone, SecondLife and more. 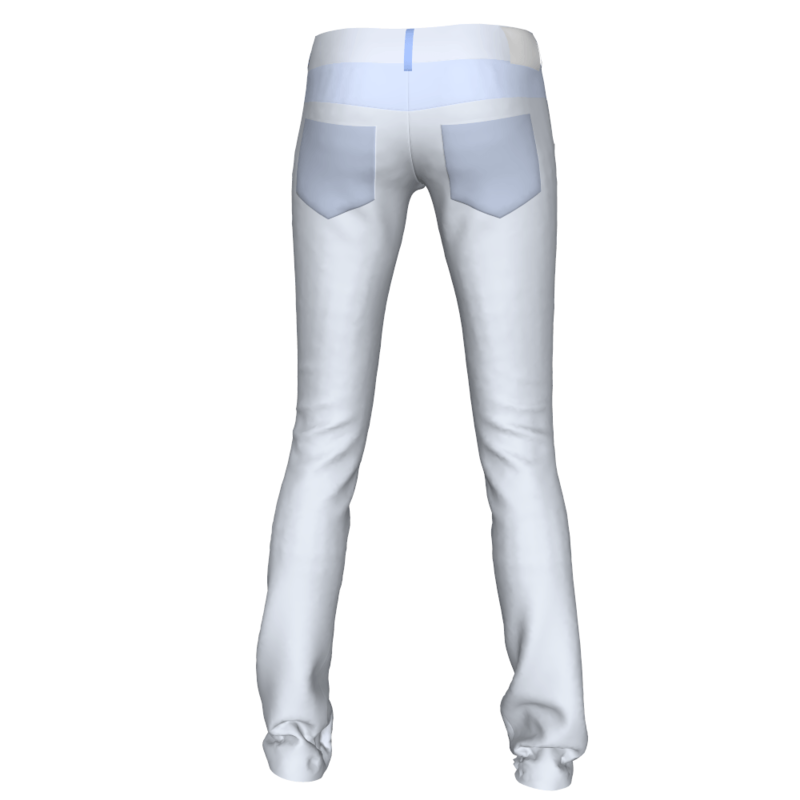 Clo3d is a cutting-edge 3D garment visualization technology with a true-to-life 3D garment simulation solution. Read more on Marvelous Designer vs CLO and CLO3d pricing. Find here a practical Marvelous Designer tutorial PDF for creating dynamic Marvelous Designer clothes, exporting Marvelous clothes and texturing them. The CG Elves have many Marvelous Designer tutorial videos that help you master the software program in an easy learning curve. Our Marvelous Designer tutorials will teach you A-Z of MD in the fastest possible way and are designed for the busy 3D artist with no fluff or time to waste. Here’s a free Marvelous Designer Vimeo tutorial, as well as our free Marvelous Designer youtube tutorials. We offer professional video tutorial training program for Marvelous Designer how to, as a separate series of specific Marvelous Designer workshops or a full Marvelous Designer course. The CG Elves Marvelous Designer workshops are like a seminar or a Bootcamp you can immerse yourself in, or like an online school or online academy, offering you on-demand training program for the Marvelous Designer software. Our many German, French and Spanish customers find our Marvelous Designer curso and Marvelous Designer tuto very easy to follow even without being native English speakers. Instructor Camille Kleinman has a very clear voice and the audio quality in the CG Elves Marvelous Designer training videos is top standards. Once you learn Marvelous Designer for beginners it’s time to start making some awesome 3D clothes! The Marvelous Designer Advanced Workshops are over 42 hours long! 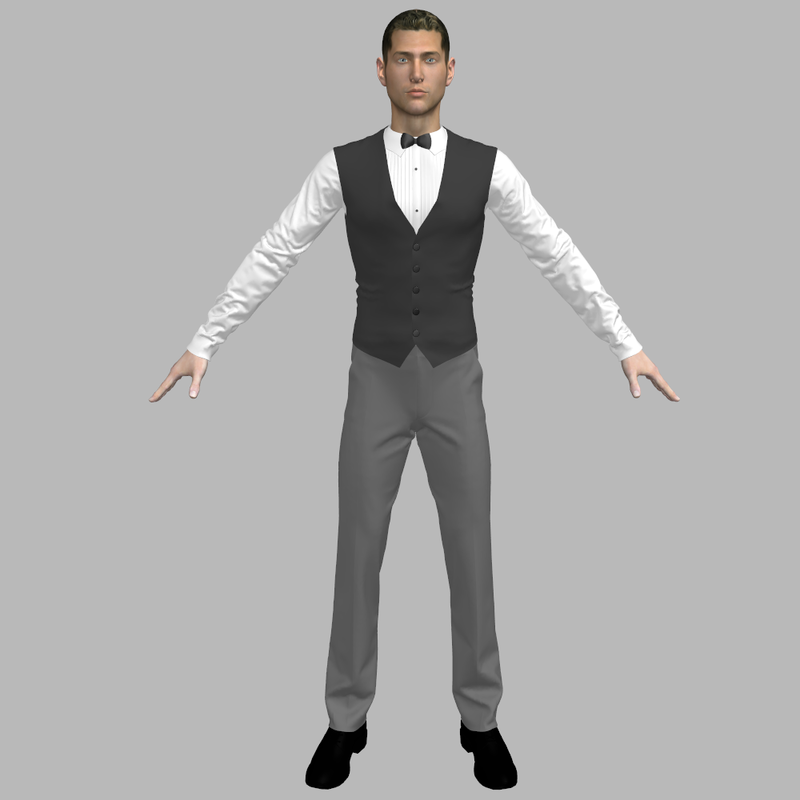 The MD tutorials will teach you the basics of how to create a variety of dynamic 3D clothes. Instructor Camille will share with you all her advanced techniques and tricks. 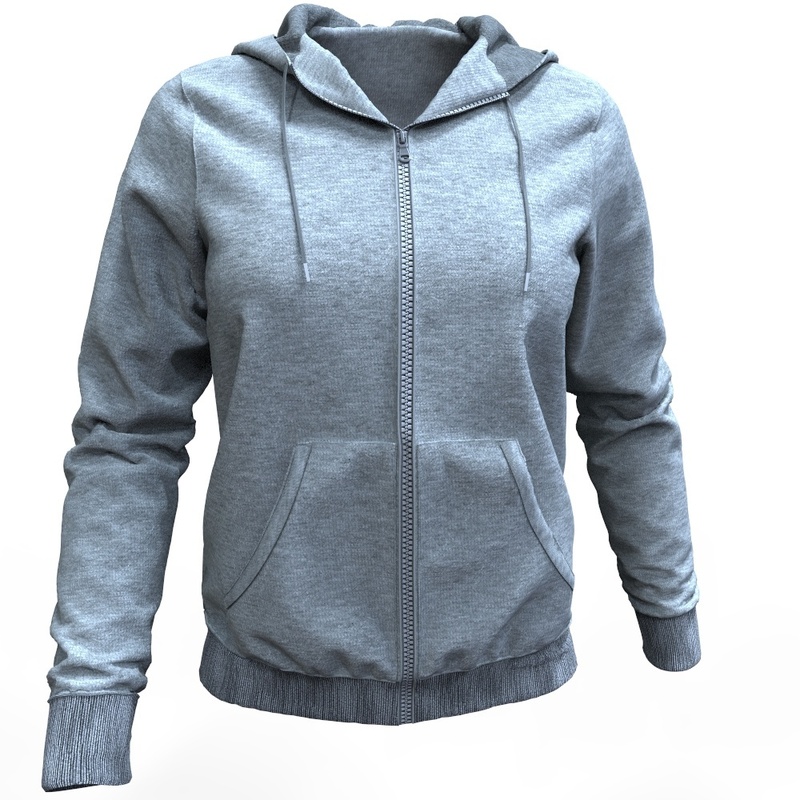 The CG Elves Marvelous Designer tutorials cover how to create Hoodies, Sleeveless Tanktops, Long Sleeved Shirts & Tops, Womens’ and Mens’ Jackets & Coats, a 3 piece Tuxedo, all kinds of Sleeves, Trousers, Dresses, Skirts, Cloaks and Capes and Hoods and Hats. 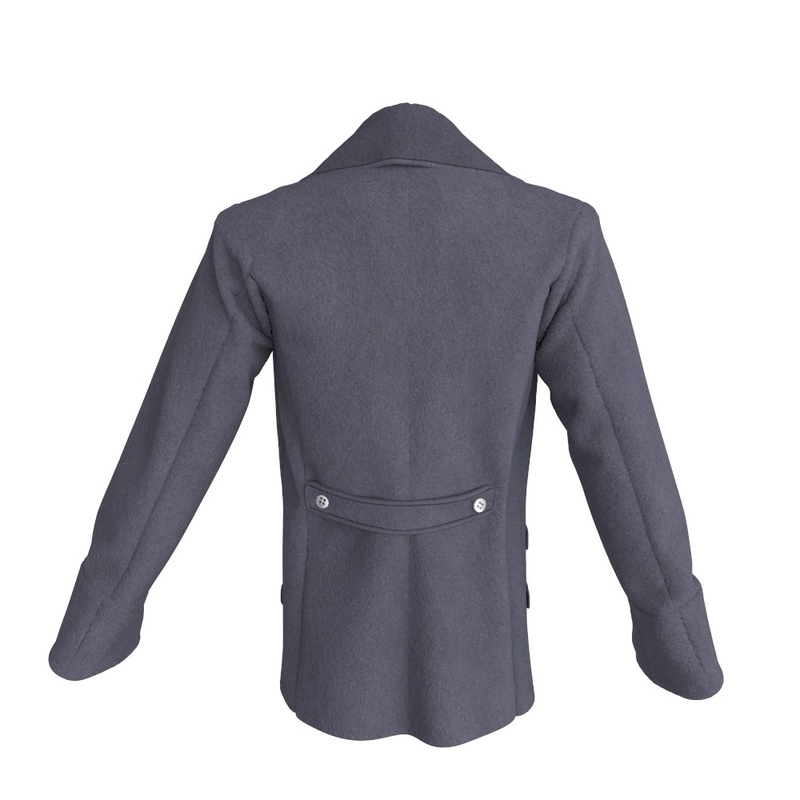 You’ll learn how to create buttons, cuffs, collars, ribbons & bows, a bow tie and suit tie, pockets and advanced techniques how to create 3D pleats, quilting and creating puffed thick winter jackets for your 3D characters. Download our Free Marvelous Designer Tutorial PDFs with practical and useful tips for creating dynamic Marvelous Designer clothes, exporting Marvelous clothes and texturing them. If you seek a technical Marvelous Designer manual, Marvelous Designer software manual, marvelous designer software interface PDF, PDF manual of features and functions in Marvelous Designer software you need to visit their website for that. 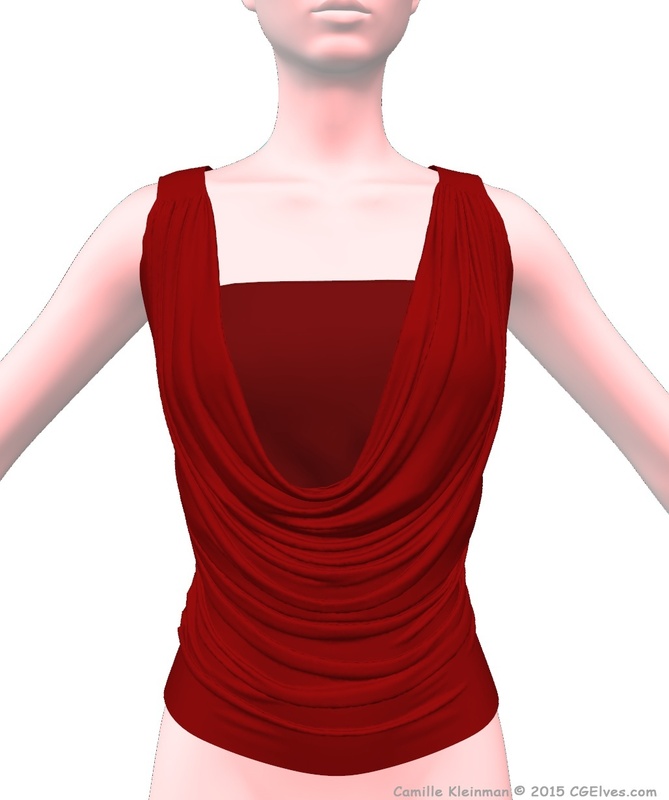 Marvelous Designer Garments are ready-made clothing made from 3D clothing templates for Marvelous Designer software. 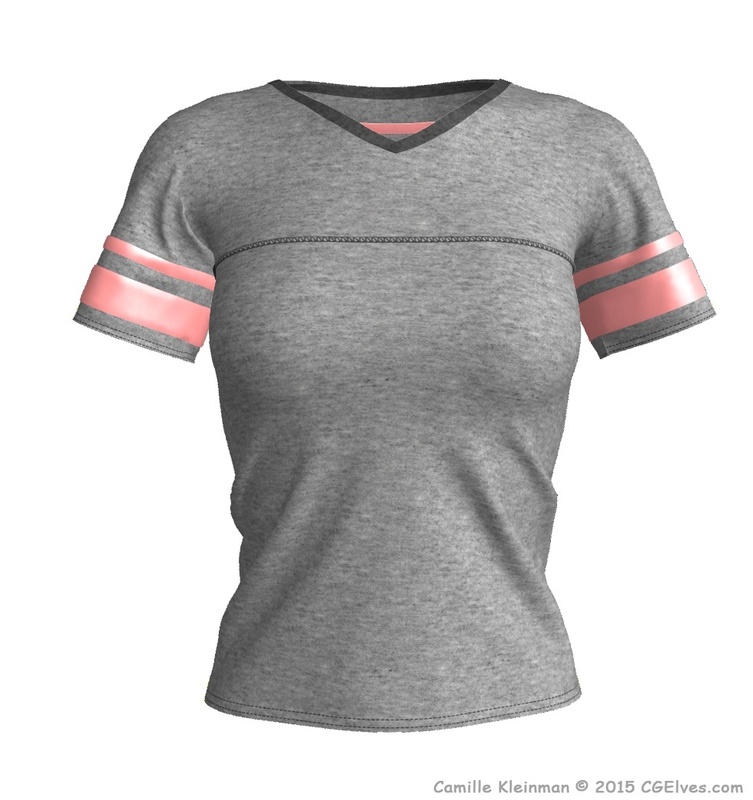 Another name for Marvelous Designer garment files is Clothes Templates, since you can build upon them, quickly modify them and use parts from different clothing templates to create a new garment for your 3D model. The Marvelous Designer garments download zips include the garment files, clothing patterns and their physical property fabric presets. All our clothes for Marvelous Designer are already sewn together. Just load an MD garment into the program and use it. 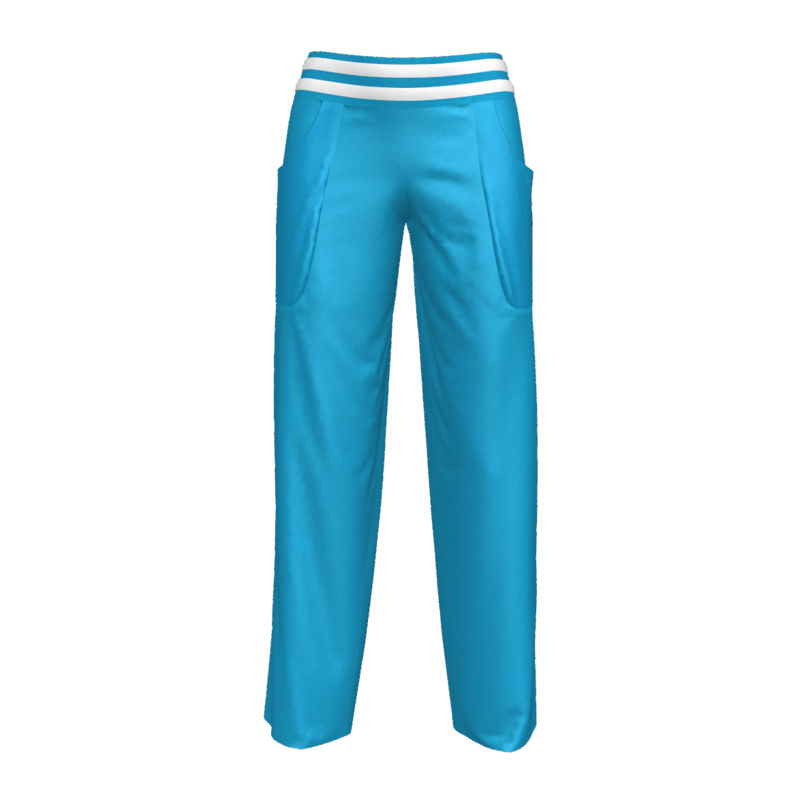 If you need MD6 clothes, garments for older versions of Marvelous Designer (MD5.5, MD5, MD4) – we have you covered. 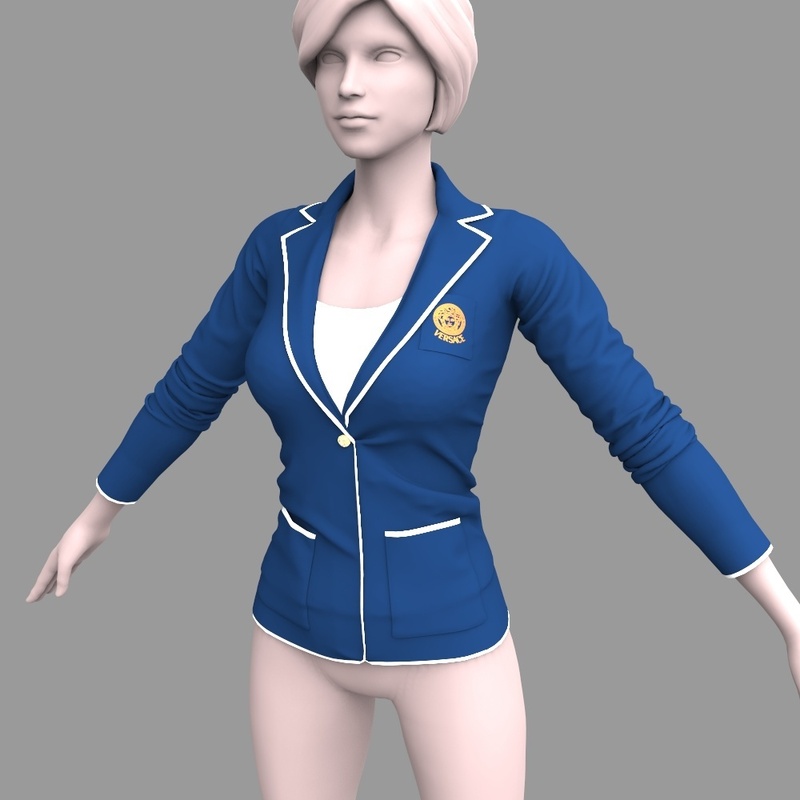 With the CG Elves Marvelous Designer Garments Library you get +136 Garment Files for Marvelous Designer + the garment patterns +300 garment fabric presets for these dynamic 3D clothes. 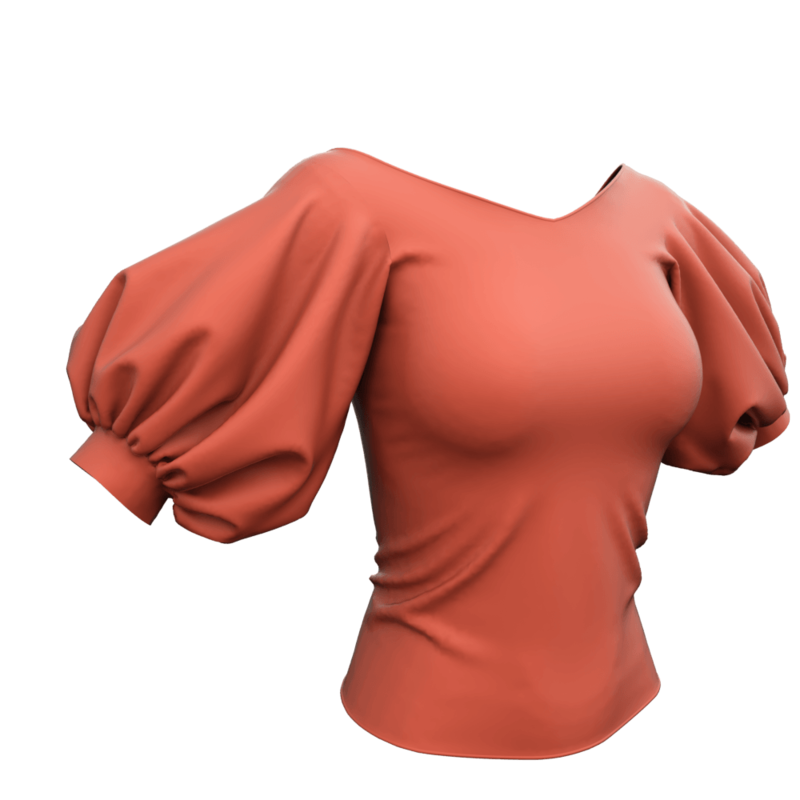 CG Elves has the first and best library of clothing patterns for Marvelous Designer, which 3D character artists or anyone making garments in Marvelous Designer really needs, in order to save lots of guesswork and time and be able to create clothes in Marvelous Designer V6, V5, V4 and lower versions. The hardest thing for the 3D artists facing the need to create clothes in Marvelous Designer software is understanding sewing principals, namely clothing patterns. 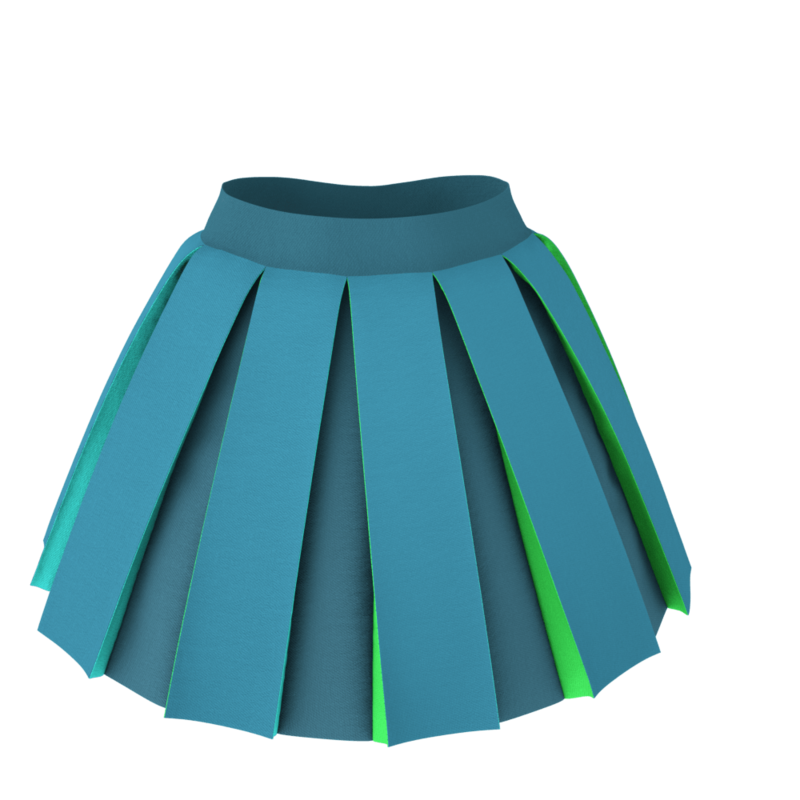 Not having had an educational background in the fashion industry, most 3D artists are creative and talented guys but with no clue of sewing patterns. Most never repaired a hole in a sock. 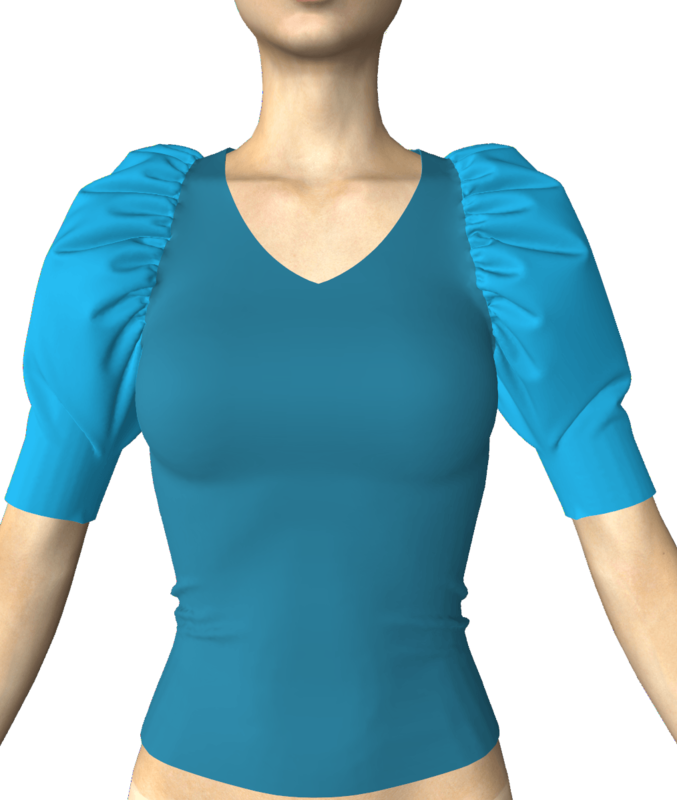 Online resources of sewing patterns are for real-life clothes and not for the MD software and are very difficult to read and understand, let alone to bring it into the Marvelous software program. Our Marvelous Clothing Template Patterns are big and were captured on full screen on a 27″ computer screen. 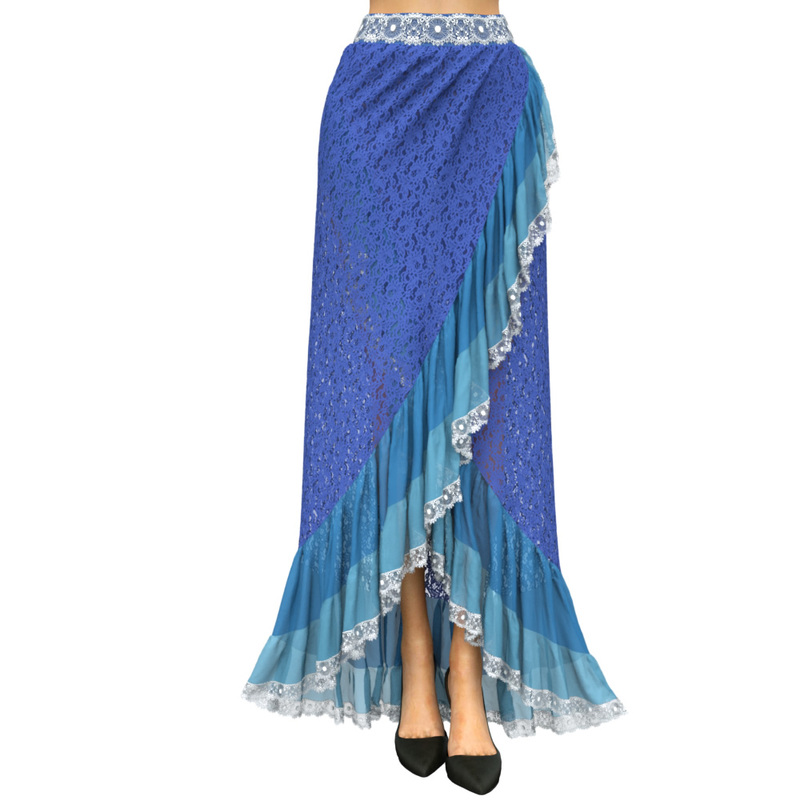 The CG Elves Marvelous Designer clothes patterns are therefore easy to read and trace into the program. We often have additional clothing pattern closeups, illustrating how the Marvelous Designer sewing patterns need to be sewn. The Marvelous Designer pattern templates also come with physical property presets, which are also referred to as MD Fabric Presets. This Marvelous Designer patterns library for CG artists include 124 clothes garment patterns and over 300 Marvelous Designer presets for cloth fabric of many types, covering leather, quilting, soft flowing materials, stiff fabrics, pleating etc etc. 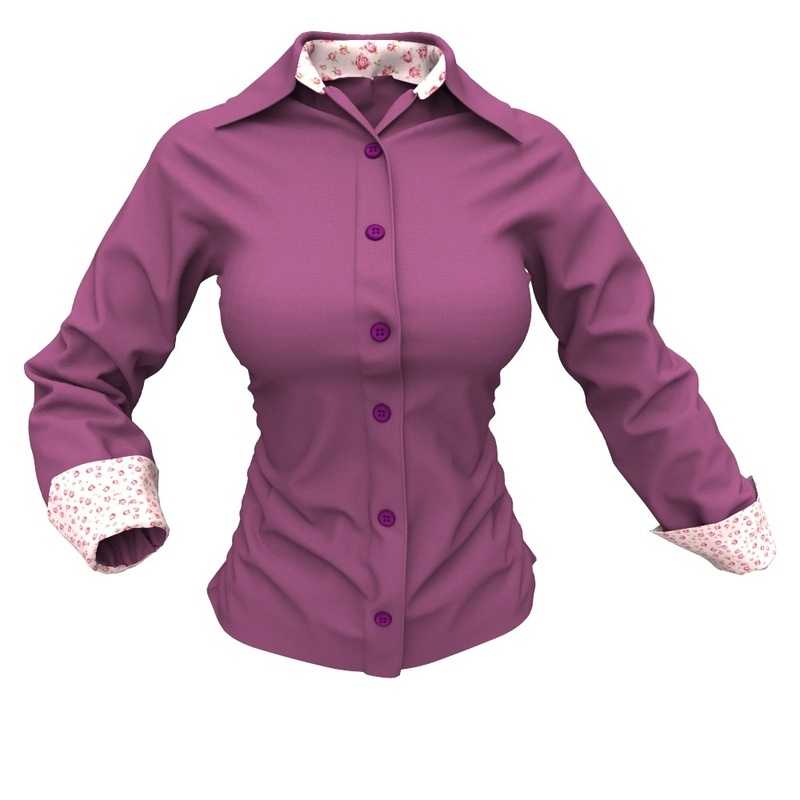 The bundle offers Marvelous Designer pattern download for everything you need; covering many core types of 3-piece suits, blouses, pattern templates of coats and jackets, patterns of skirts, dresses and capes for Marvelous Designer, hood patterns, Marvelous Designer quilting patterns, shirt patterns, sleeve patterns, pants and trousers patterns, etc. 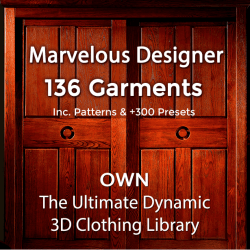 This is really the best resource for Marvelous Designer clothing patterns and presets. 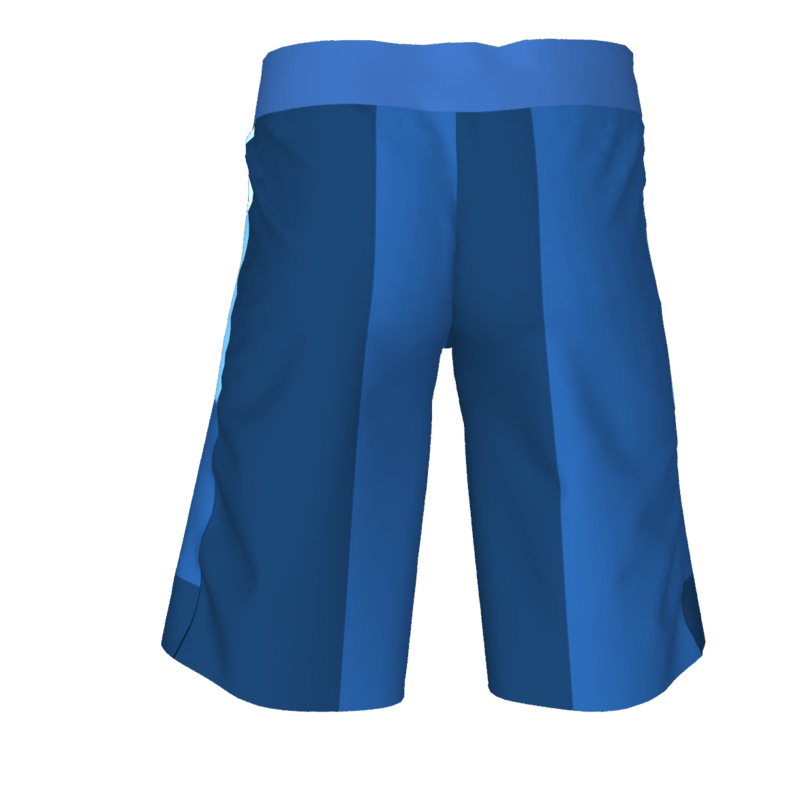 Go here for frozen OBJ marvelous designer patterns free download of clothing models of 3D clothes we made in Marvelous Designer. Marvelous Designer fabric presets, also known as Marvelous Designer fabric settings, are basically physical property presets for fabric materials inside the Marvelous software program. There are so many possibilities for settings of Marvelous Designer fabric properties, that if you don’t know what you are doing it can take longer than the making of the garment just to get the cloth presets right. It can be the difference between a crappy looking garment to a stunning one. 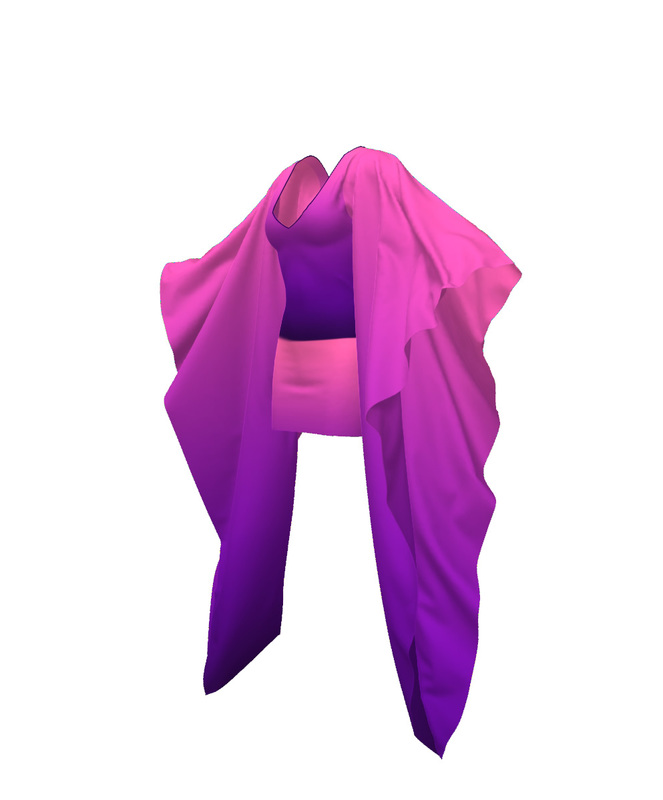 The garment presets of fabric material will influence not only the look of the garment but also the way it drapes and how it moves with the Avatar. Having a library of fabric material settings presets is a great time saver. The CG Elves’ Marvelous Designer fabric presets cheats will also be a good way to understand what cloth presets every type of fabric needs, for that special look a 3D garment needs to have – for example: for leather, soft silk, jeans, puffy garments or stiff parts of a garment. 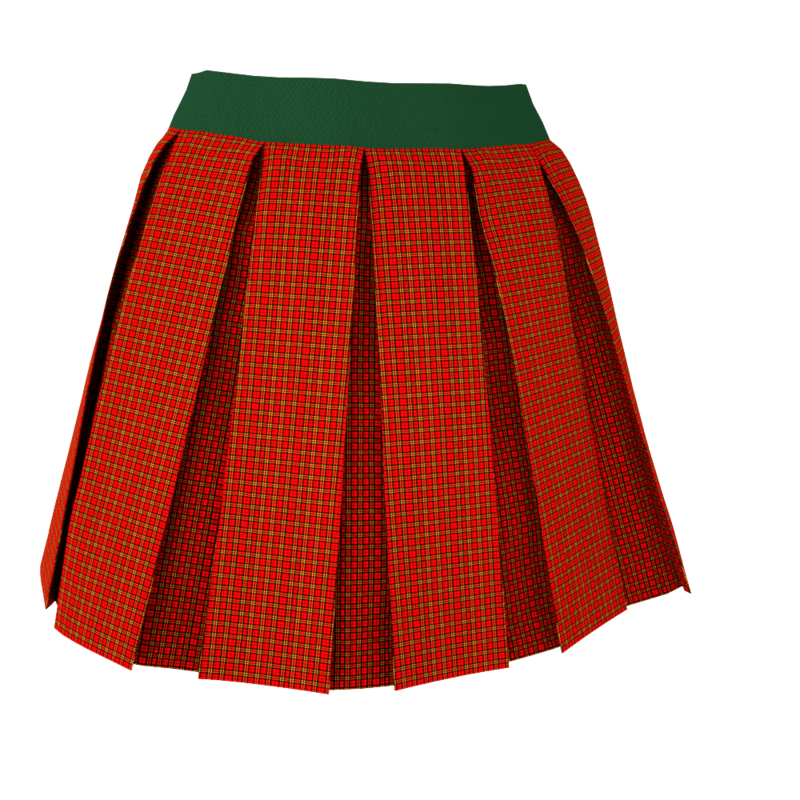 It is very useful having the CG Elves templated presets of fabric materials. They are part of the patterns & presets template library for CG and 3D artists. 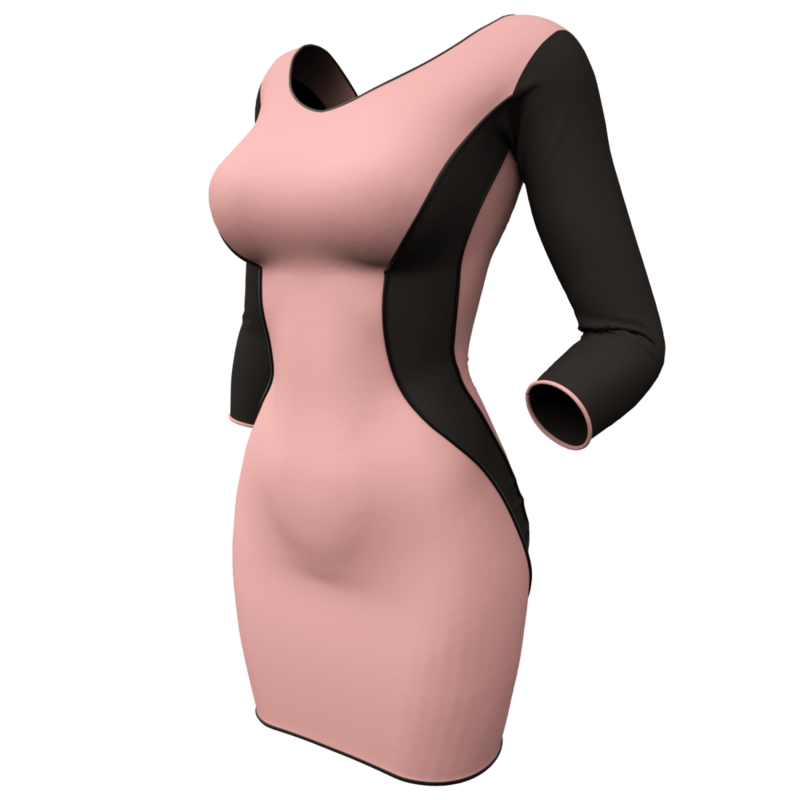 A Marvelous Designer marketplace offers Marvelous Designer assets such as MD garment files, clothing patterns and fabric presets. 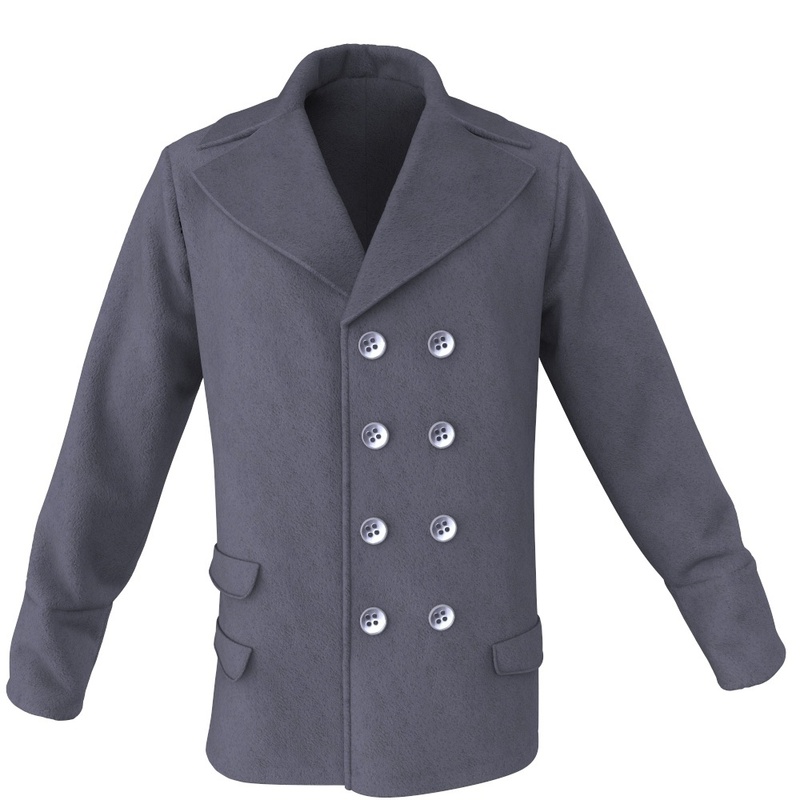 A good Marvelous marketplace is not merely a Marvelous Designer clothing store. A marketplace can be a shop selling items from one or multiple vendors. 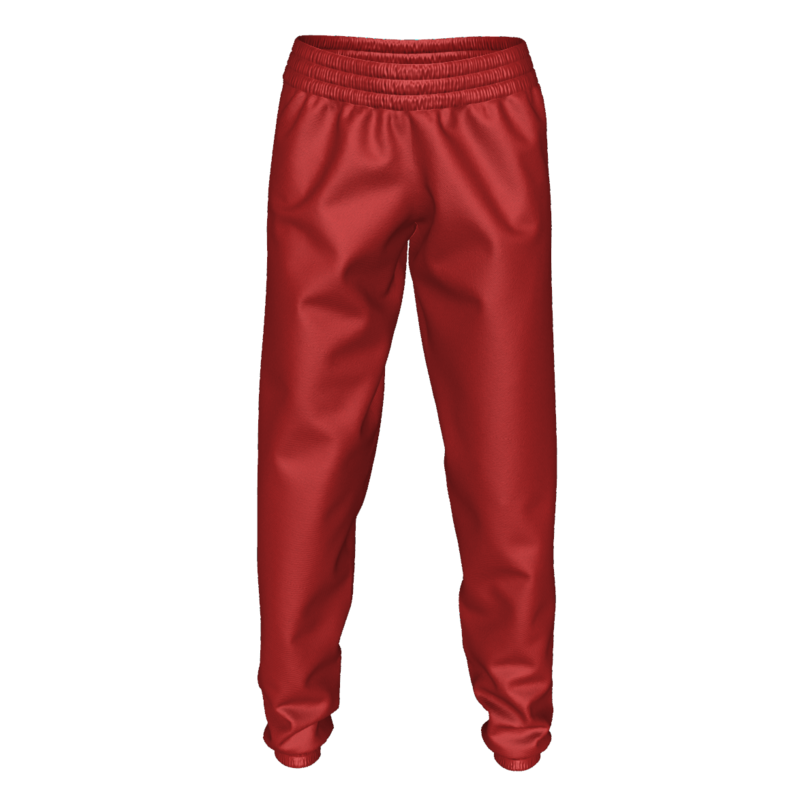 If you want to buy Marvelous Designer pants or shop for Marvelous Designer dress, a hoodie , a cape, jacket etc., CG Elves has in its Marvelous Designer Shop section essential libraries of Marvelous Designer clothing patterns and presets, 3D dynamic clothing garment files and training workshops for learning to make clothes in Marvelous Designer. 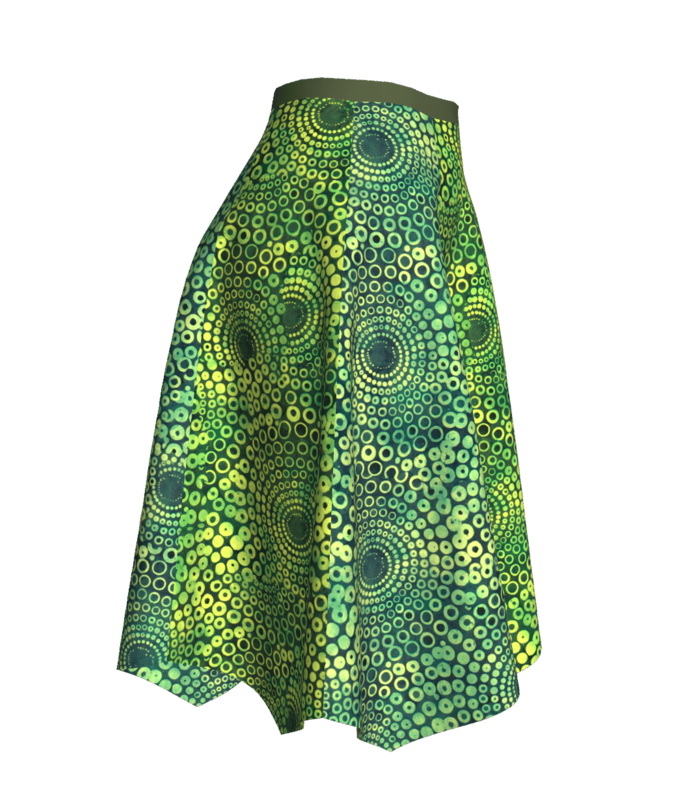 Additionally, in our Marvelous Designer Shop you will also find gorgeous seamless fabric textures for your Marvelous Clothing and for any cloth you make in the MD software to look real, unique and special. CG Elves has a special Marvelous Designer help page on troubleshooting common issues, as well as for Marvelous Designer tips on issues of Fabric Collision Issues with Imported OBJ Avatars Props and Marvelous Designer Layers Troubleshooting, however we do not provide Marvelous Designer support; you need to visit the MarvelousDesigner.com website to submit any issue with the MD software directly to them, via contact form and try also in their forum. Note that the Marvelous Designer forum is a community-based one and not manned with software experts from the company. So you may or may not get replies and replies may or may not be accurate solutions to your inquiry or issue. We have in the past witnessed grossly misinformed advice being dispatched to presale inquiries on their official MD forum. This is the nature of forums. The official Marvelous Designer forum, as well as other Marvelous Designer help forums online, can provide bad advice and or very incorrect advice. For example, in a well-known MD forum it was written that MD5.5 will not support certain file extensions for Physical Property Presets the former Marvelous Designer versions used, which is total nonsense. Another example is bad workflow advice some provide via their free Marvelous Designer YouTube tutorials. One with a real-life seamstress background is used to working with tools like QCad which makes shapes with millimeter/cm lengths. 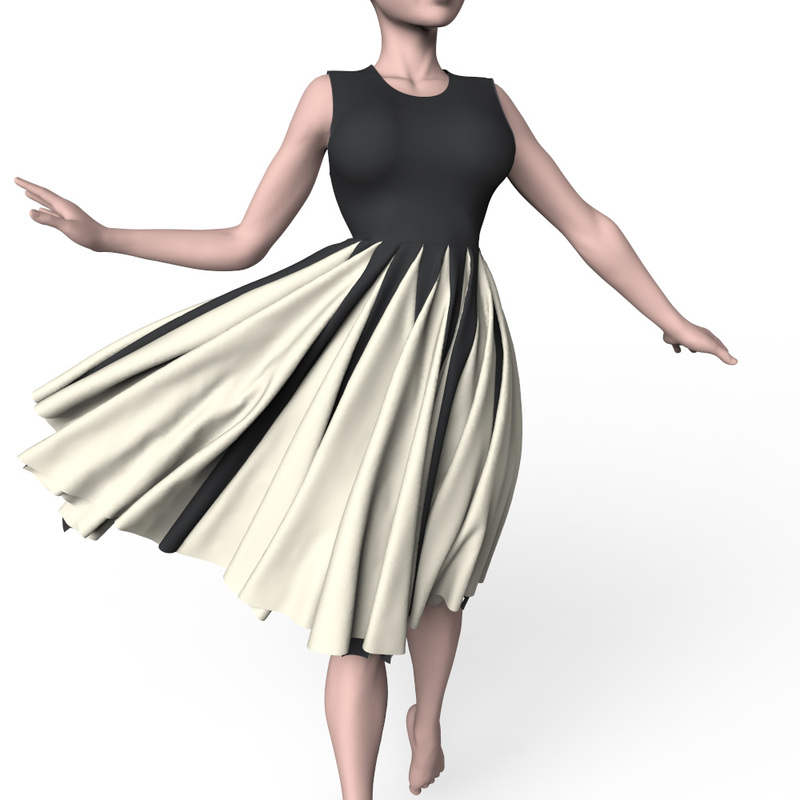 In her video she teaches to use QCad and could not figure out that in MD you can create the same shapes AND you can edit these shapes to interactively change your clothes design to better fit the garment on your Avatar 3D model. So, if you make a garment too narrow or too short you can easily modify it in seconds, without needing to start everything from scratch using that Q-Cad, as there is absolutely no need for it… To use QCad you need to be a seamstress to know to draft the pattern right in the first time, what sizes to measure etc., but Marvelous Designer enables to quickly make patterns and change them as needed. The absolute best way to understand and be able to use the Marvelous Designer software properly, even with the unfortunately greatly lacking support the CLO 3D company provides, is to go through the CG Elves Mastering Marvelous Designer training program. It is a complete A-Z of using the MD software and we have updates available for free on our website on new features and tools in all recent updated versions of MD. We not only teach you to use the software correctly and to maximize the potential of every feature, but also provide extensive step-by-step clear video tutorial workshops with hands-on practical flow of making a large variety of garments in Marvelous Designer. 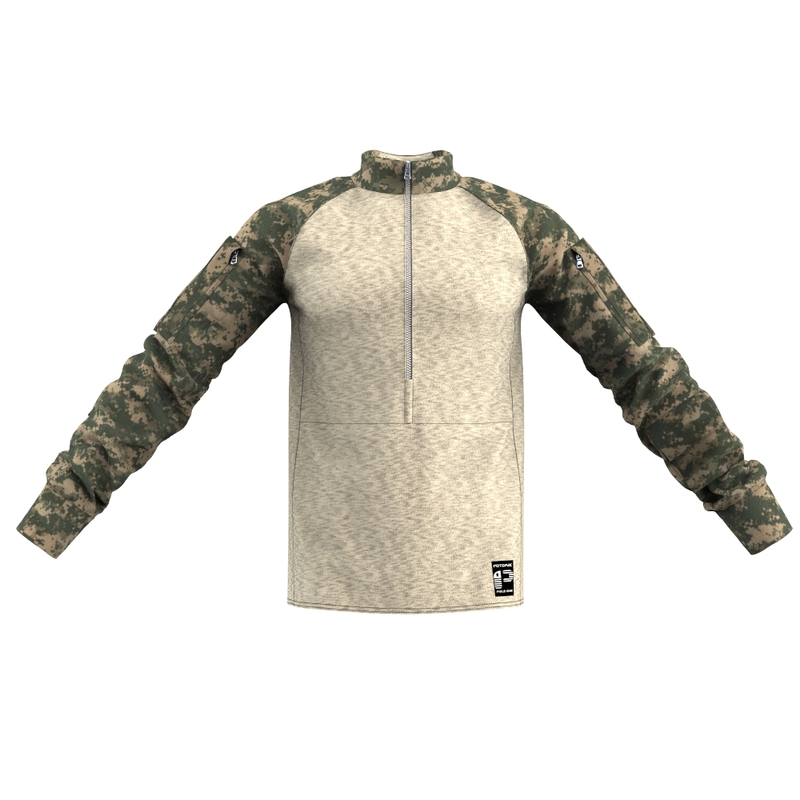 You’ll fully understand the making of all types of clothing and will be able to easily create your own creations of dynamic 3D clothes in Marvelous Designer. Learning to use the Marvelous Designer software in the best way possible will eliminate many issues for you. Bugs and other issues of the software are beyond the scope of our support team. Yearly subscription fee of $360 – includes software updates and bug fixes for the year paid for. The 2 options above for buying Marvelous Designer have the big drawback that if you fail to renew your subscription, you are losing your access to the software once license period is over. The 3rd option is a perpetual license, meaning you pay once only. However you get no updates aside from those pertaining to the version you purchase, so this is not the best thing either, as you won’t get new features and further bug fixes once they update from say Marvelous Designer 5 to MD version 5.5 or to Marvelous Designer version 6. License Fee is $550. All prices are in USD and are correct for November 2016. Note, the above Marvelous Designer prices are for individuals, not for companies/ Enterprise. The Marvelous Designer Academic license fee or Marvelous Designer student is $300/year per license and $150/year per license if over 10 licenses are purchased. For game studios, film studios and other enterprises, the cost of a Marvelous Designer software license is $1,700/year or $4,000-6,000 for the perpetual licensing option, PER LICENSE. 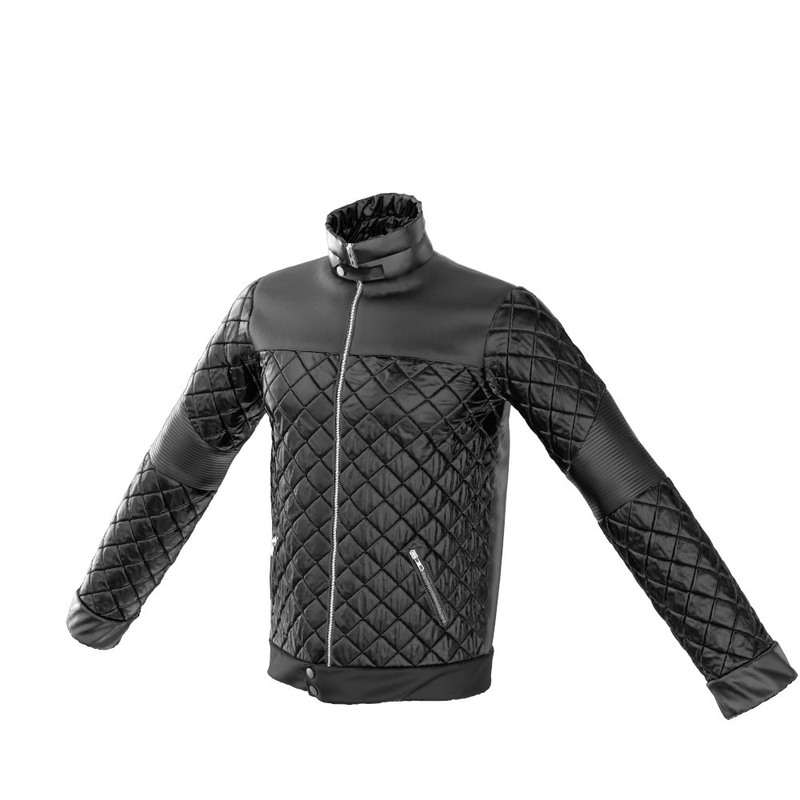 Pretty expensive for a software that only handles clothing, but as for present time no other software competes with the Clo3D makers of MD, it is either a license or the Marvelous Designer free trial of 1 month that is available. Marvelous Designer for Mac OS? It is not recommended using the Marvelous Designer software on an iMac or any machine with Mac OS. Even best-configured iMac with maximal possible RAM and even on Bootcamp or other Windows solution for Apple Mac machines cannot properly manage the Marvelous Designer software, due to its demanding simulations. So it’s a definite No-no to Marvelous Designer for Mac OS! In any case, it is so much cheaper to get an ASUS rogue or other top line notebook laptop than an iMac. 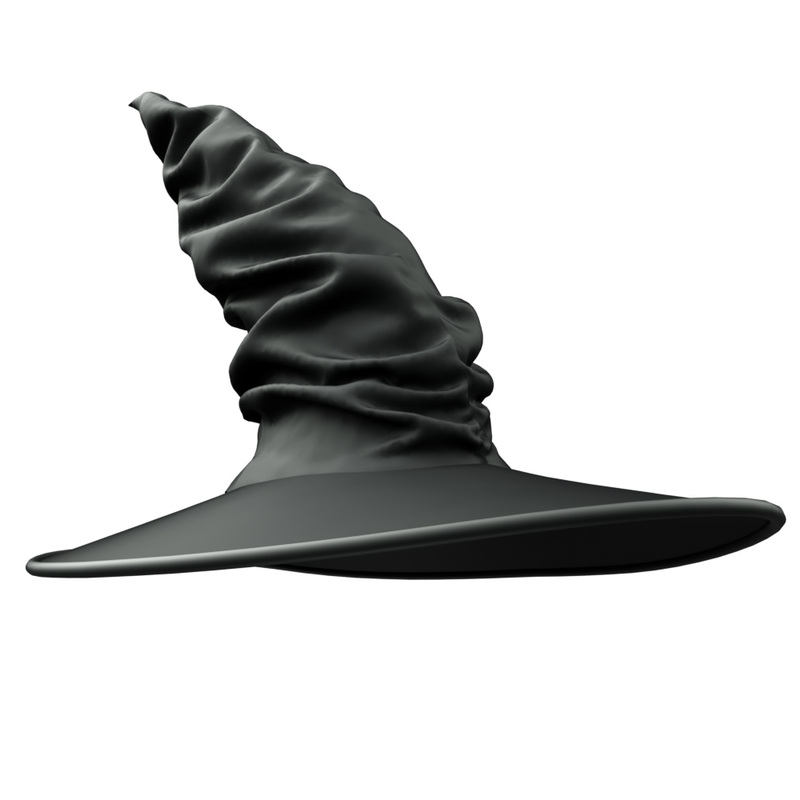 CG artists and character artists use 3D modeling (or as the Brits spell it – 3D Modelling) software to create creatures. 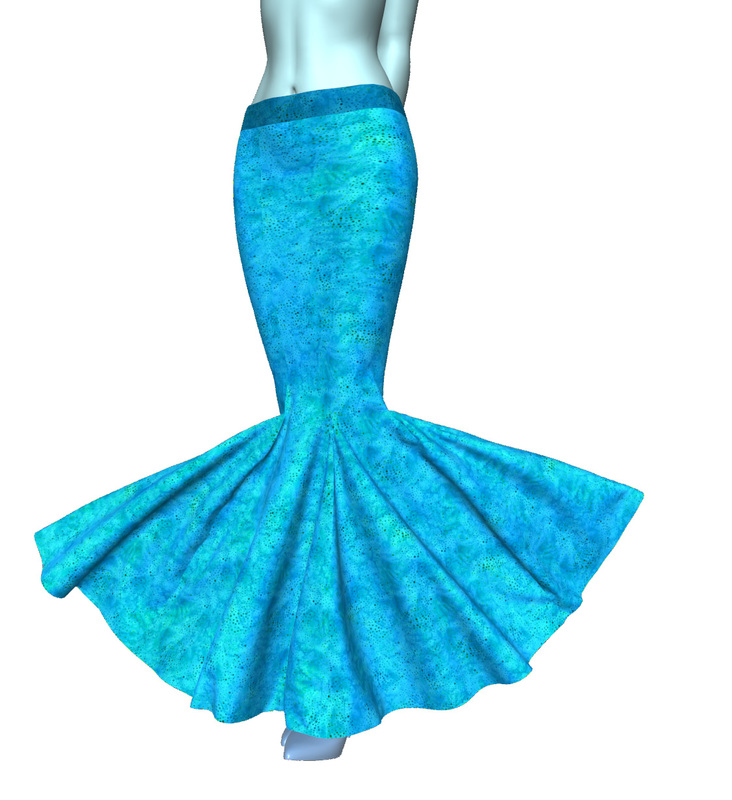 Oftentimes, the 3d models of such creatures, whether they be monsters or humans or cartoon characters, need clothing. Typically a 3D artists uses a software program like ZBrush to sculpt the 3D character as well as its clothing and other accessories. The problem with sculpting clothing arises when you need it looking hyper-realistic and believable and especially when you need it to be dynamic. 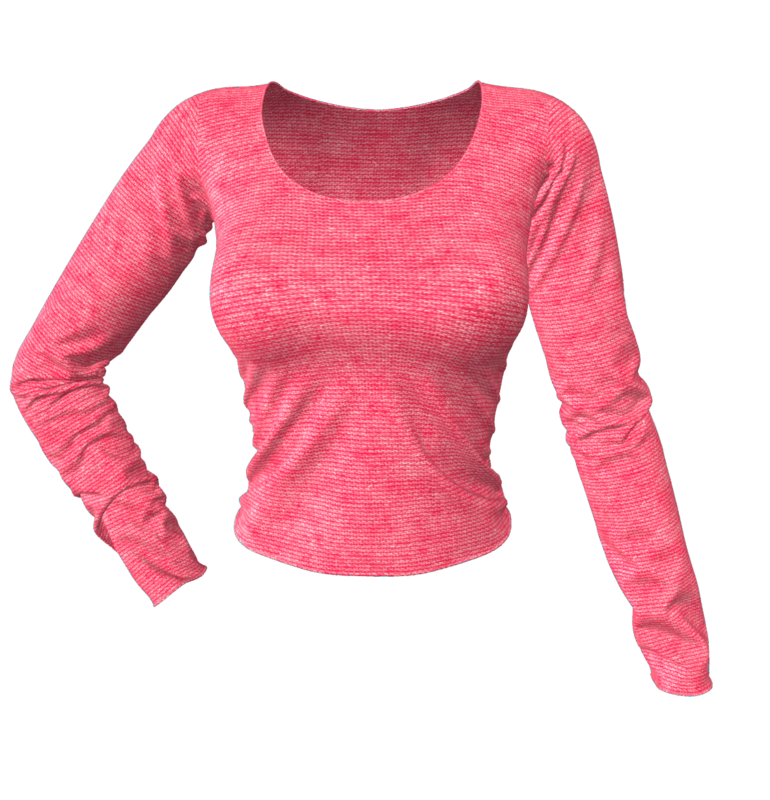 For this task of Clothing 3D Models, it is best using the Marvelous Designer software, as it will help you (once you know what you are doing and how to use it correctly with best possible workflow) to easily create life-like clothes which you can drape on your 3D model to look realistic for any pose and for cloth dynamics for film and animations, especially needed for Digital Doubles and for VR. Older versions of Marvelous Designer had a neat feature where you could change the body shape, proportions and customize the size of the Avatar (a 3D model of a human or other character). However, this made MD software very similar to the CLO3D one they sell to the fashion industry and which costs a ton more, so unfortunately, the company took out this feature. This leaves the 3D artists with a problem to solve: How to resize the proportion of an Avatar in MD6? Here’s a good workflow for exporting clothes from Marvelous Designer to ZBrush 4R7, where you’ll learn the best export settings to use for Marvelous Designer clothes, to avoid a Broken Mesh or other problems. A 3D printing marketplace is an online platform where you can buy, sell or share digital 3D printable files. 3dprinting.com and also Pinshape are examples of a 3D printing marketplace with 3d printable files. Sculpteo, a French company specialized in 3D printing in the cloud, offers an online 3D printing service, using rapid prototyping and a manufacturing process involving laser sintering or stereo lithography. Shapeways (and similar sites) have opened up an entirely new market segment, offering the ability for modelers to upload their work and sell physical copies of their 3D models through a process known as 3D printing. The ability to print 3d models in numerous different material types makes 3D printing a versatile and attractive option for jewelry, decorative items, and small character statues. 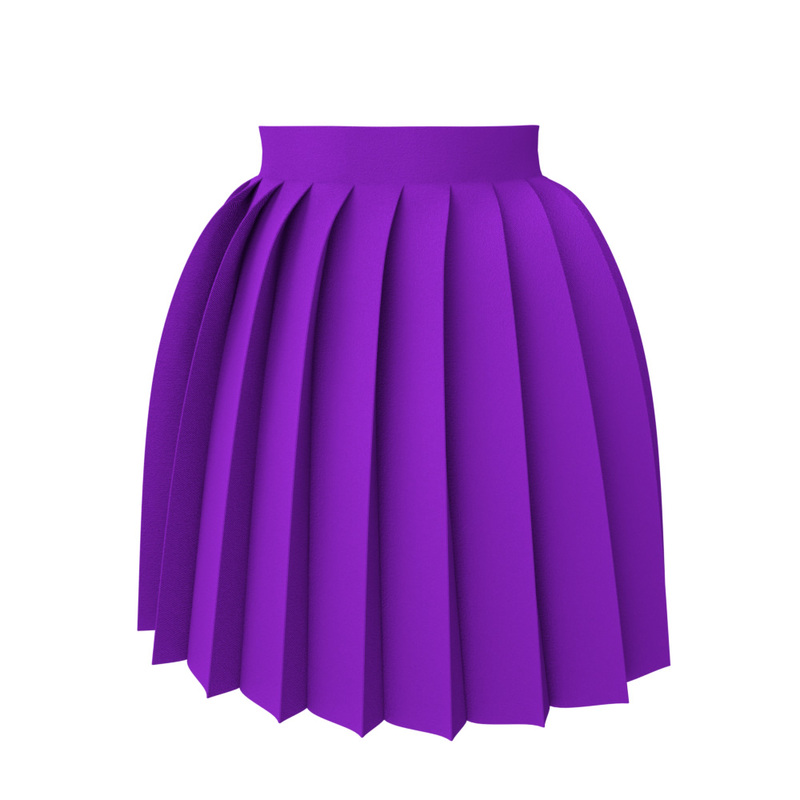 How does using Marvelous Designer help you sell 3D Printables? 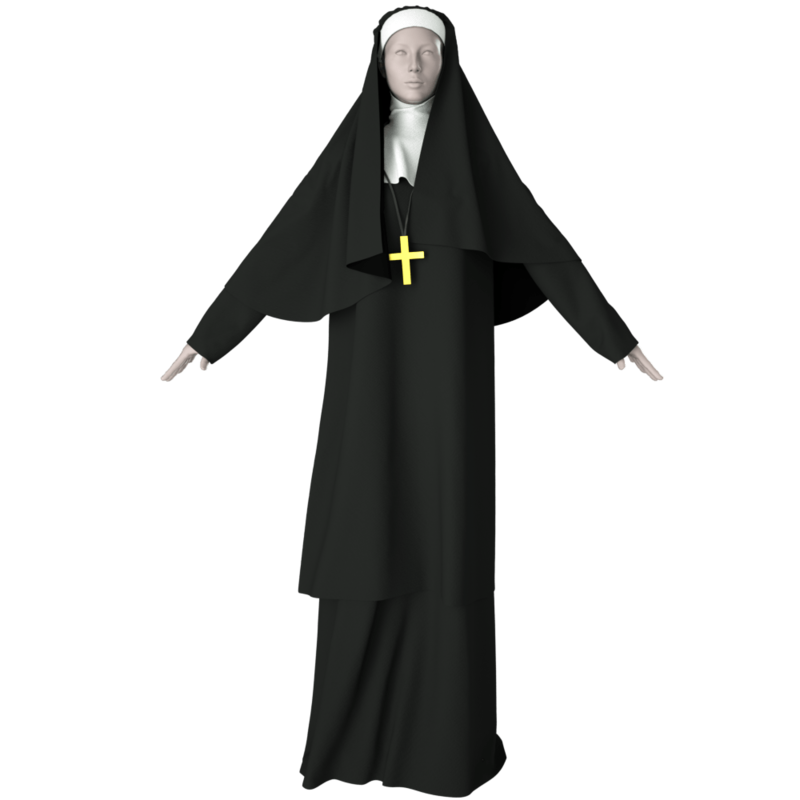 3D artists creating 3D models, with cloth or clothing as part of the 3d model, can make the cloth look realistically detailed for every pose and believable looking for the 3D printables they produce. So in fact, once the artist creates the creature or human 3D model and poses the model in a certain position, the clothes and any cloth such as a flag blowing in the wind or a sack etc., will drape to suit that pose. The 3D artist can manipulate the cloth with the MD wind tool and by plucking and arranging the cloth. If the artist sculpts all this and then wants to try out additional poses – it is a pain and a lot of time and skill, whereas with Marvelous Designer it is fast and efficient to do that. So in fact, once the artist creates the creature or human 3D model and poses the model in a certain position, the clothes and any cloth such as a flag blowing in the wind or a sack etc., will drape to suit that pose. The 3D artist can manipulate the cloth with the MD wind tool and by plucking and arranging the cloth. If the artist sculpts all this and then wants to try out additional poses – it is a pain and a lot of time and skill, whereas with Marvelous Designer it is fast and efficient to do that. The 3D artist can manipulate the cloth with the MD wind tool and by plucking and arranging the cloth. If the artist sculpts all this and then wants to try out additional poses – it is a pain and a lot of time and skill, whereas with Marvelous Designer it is fast and efficient to do that. 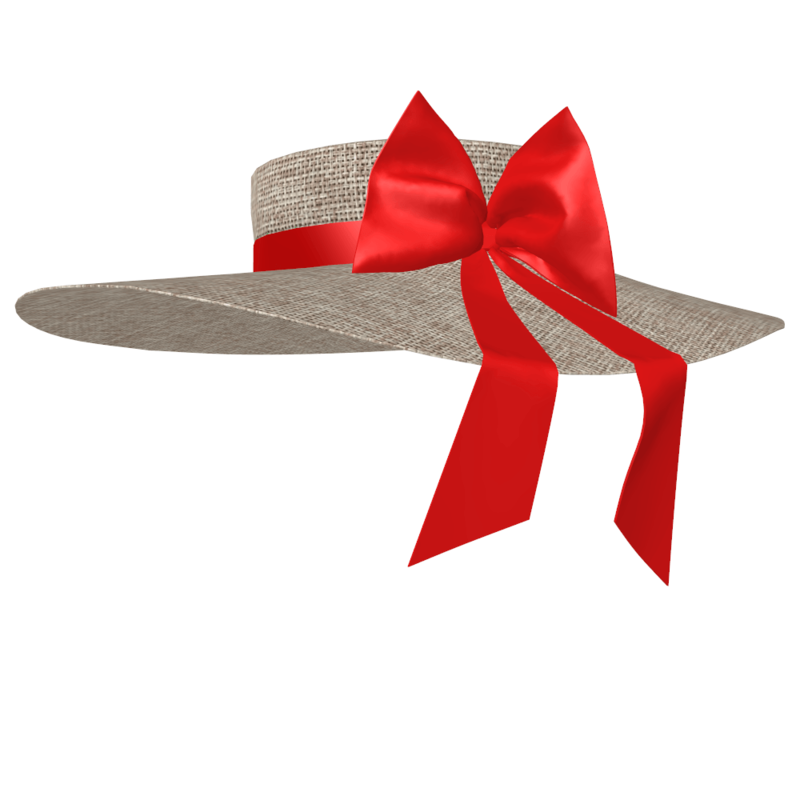 Using Marvelous Designer 6 or previous versions for creating 3D printables enables to accomplish much more in less time. 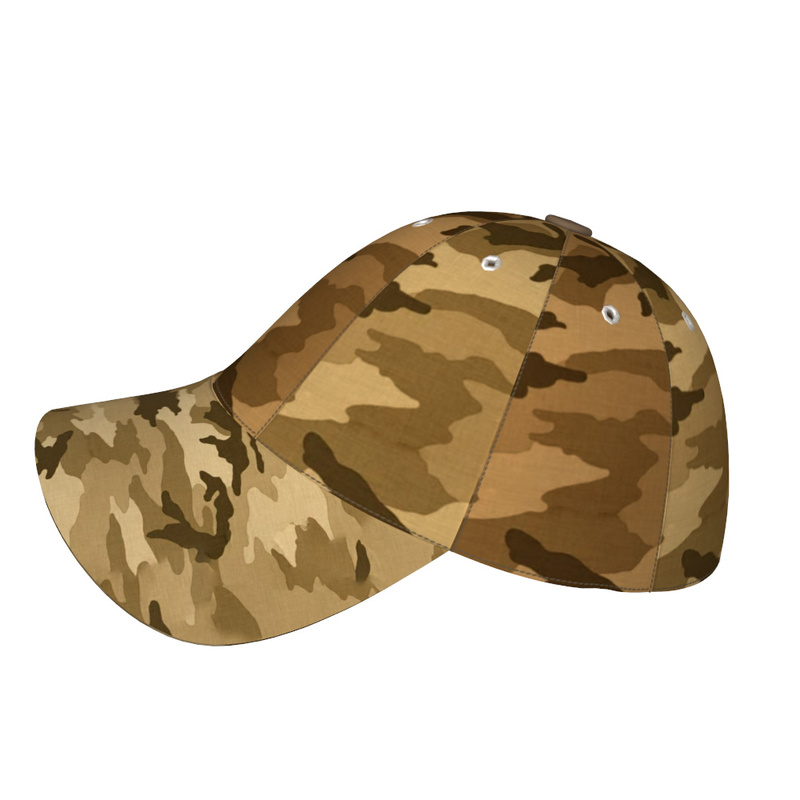 As result, you can sell many more 3d printables in 3D printing marketplaces or from your custom online shop. What is a 3D marketplace? It’s an online shop where you can find 3D models for your project, with a vast online catalog of cars, people, textures, architectural models and more. 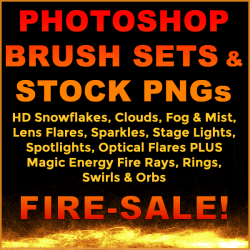 Renderosity, DAZ 3D, SecondLife, Unity (Unity3D.com), TurboSquid, 3D Universe, CGTrader, 3Docean, 3Dexport.com, Reallusion marketplace (poser, iClone), FallingPixel and others. 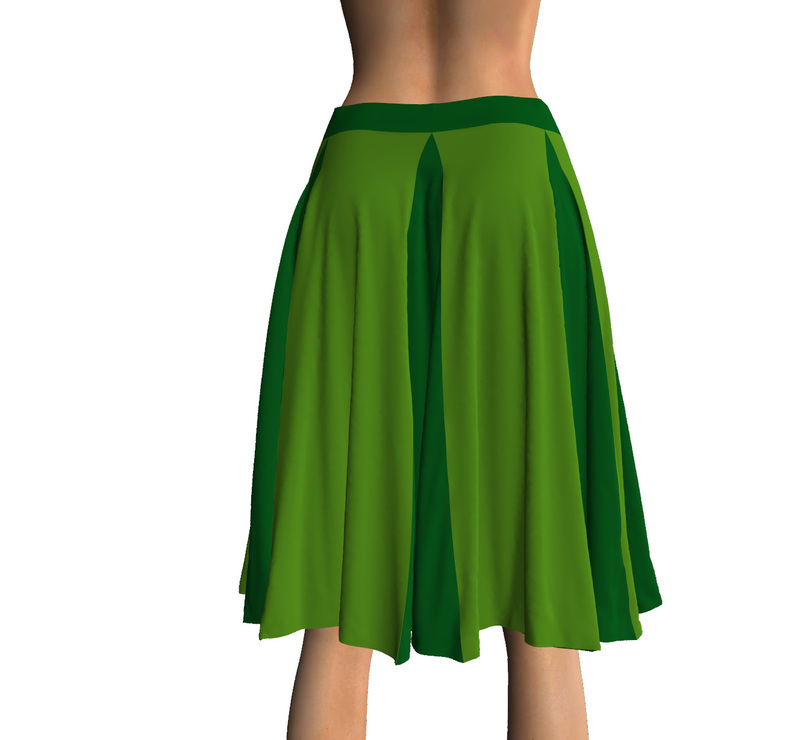 Often the 3D clothing sold in 3D marketplaces are conforming clothes, meaning they do not dynamically and realistically follow the movement of the avatar wearing them. They sort of stretch to accommodate the pose and usually look like a glued on plastic wrapper. 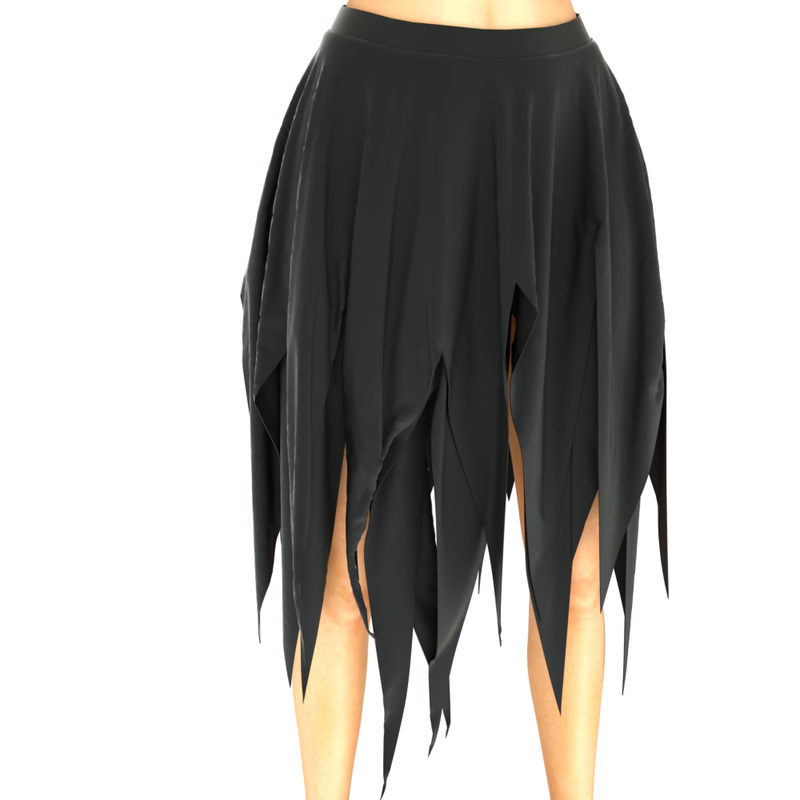 These digital clothes are made to fit a certain 3D Avatar model, or its prototype, and often one gets also some morphs for different poses, or needs to use additional software tools like Photoshop or other 3D software like ZBrush, to make the clothing look reasonably OK looking for different poses. 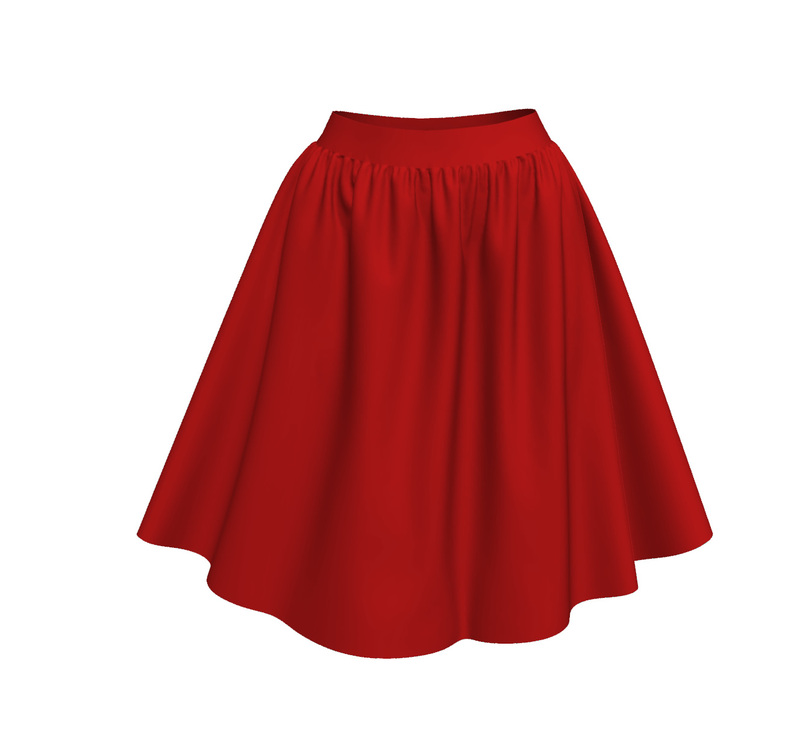 However, for realistic looking clothes on a 3D model that drape to look life-like for every pose you pose your Avater or 3D creature, you really need a cloth maker like Marvelous Designer software. 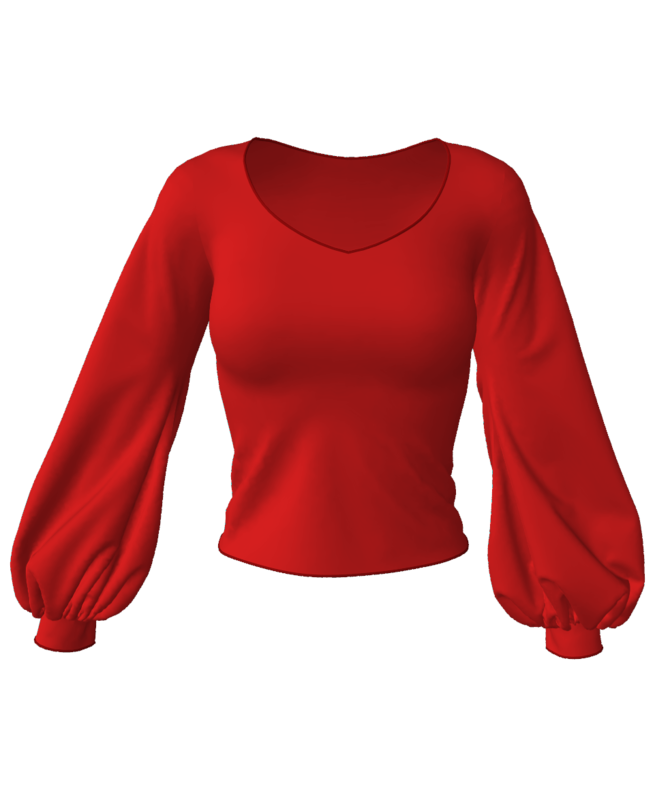 Especially if you plan on animating your 3D model and not just a frozen pose for a book cover art or other artwork, you need dynamic 3D clothing. Artists working for game studios can create believable hyper-realistic looking clothing in the Marvelous Designer software, making it so much easier than sculpting (once they know to correctly use the MD software and especially if they have a library of clothing patterns and fabric presets). 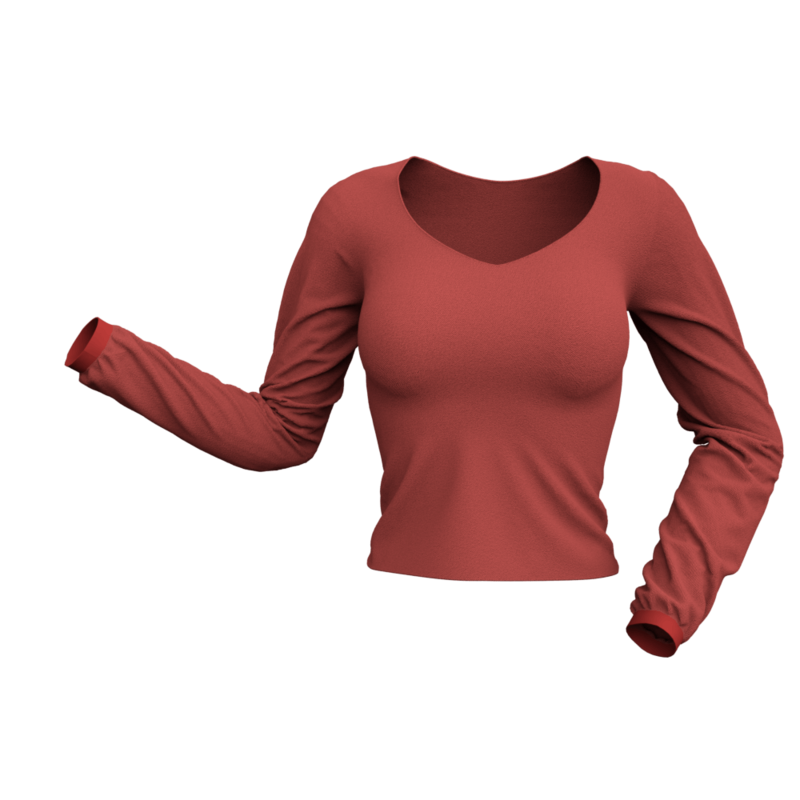 However, 3D clothing items created in MarvelousDesigner are pretty high in polys, even after retopologizing the garments in other software. 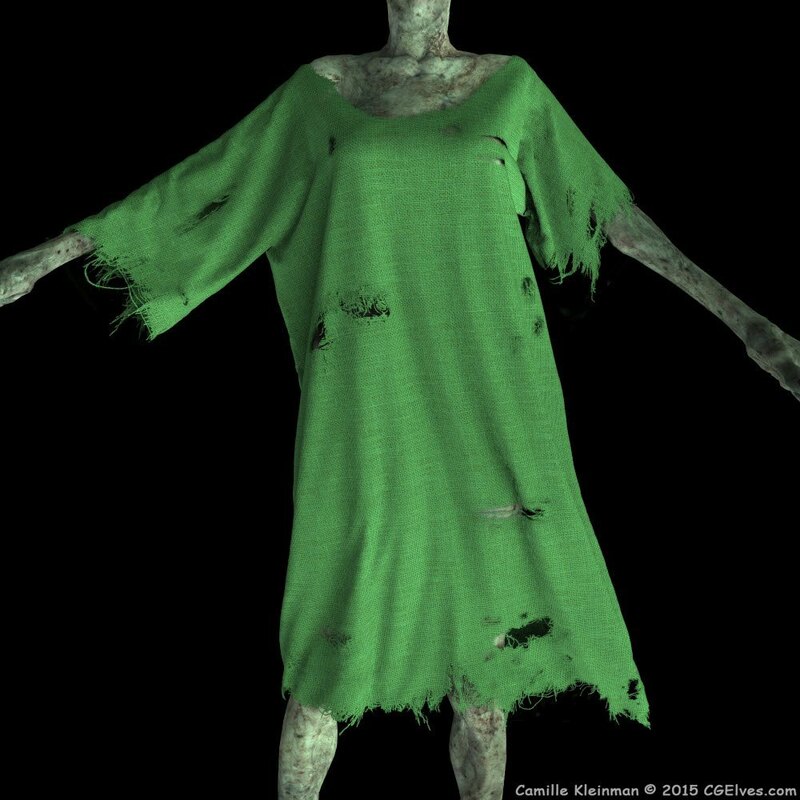 One needs to keep in mind, that in a gaming environment the player’s focus is not upon detail in clothes and rarely the game camera zooms onto the cloth detail. Hence, 3D artists working for the game industry and for AAA games need to produce a low-poly mesh, while keeping the realistic look of clothing by using graphic illusions of shadows and folds. Typical workflow for some game character artists consists of making the highly realistic clothing in Marvelous Designer either for reference / starting point or for actual use, where they then clean up meshes from Marvelous Designer to Zbrush and retopologize in Topogun. Next, they take the efficient UV meshes and bake out clean texture maps, which are high-detailed normal and ambient occlusion maps, in order to create the impression of surface scale. Some use Quixel’s dDo to create brilliant looking texture maps for characters and clothing. 3D game artists are constantly under pressure to produce more and to do so faster. So they seek ways to do it easier rather than sculpting creases, folds and wrinkles by hand, which takes forever and is hard to get it looking believable. Existing available methods of simulation such as with MD6 unfortunately still require a lot of augmentation to get the desired look, depending upon level of detail required in the game. 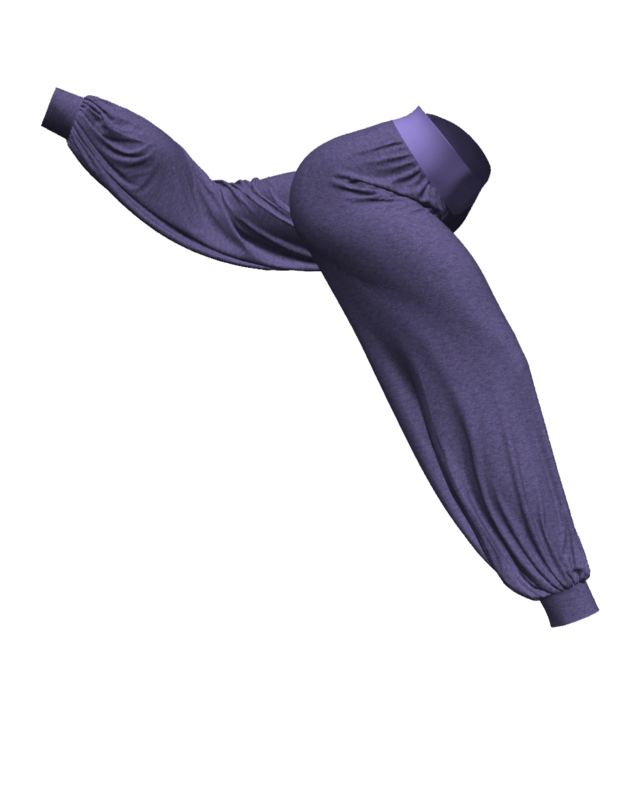 There’s likely going to be that extra artwork needed in ZBrush for the game artist; MD does a great job of simulating fabric in different poses, and you can pull and arrange folds, but for those who need only the A Pose, they need to consider what needs to be sculpted in ZBrush. 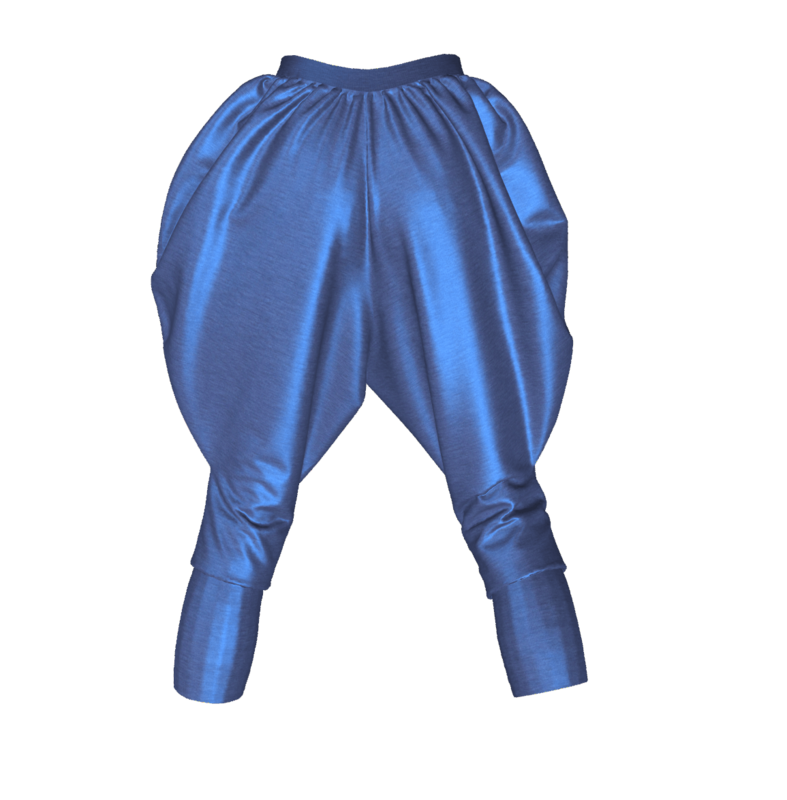 Additionally, for making a clothing item look worn out and creased-looking from wear and daily use you’d need that extra fabric deformation done manually and added in either ZBrush or with Substance Painter or other tools. 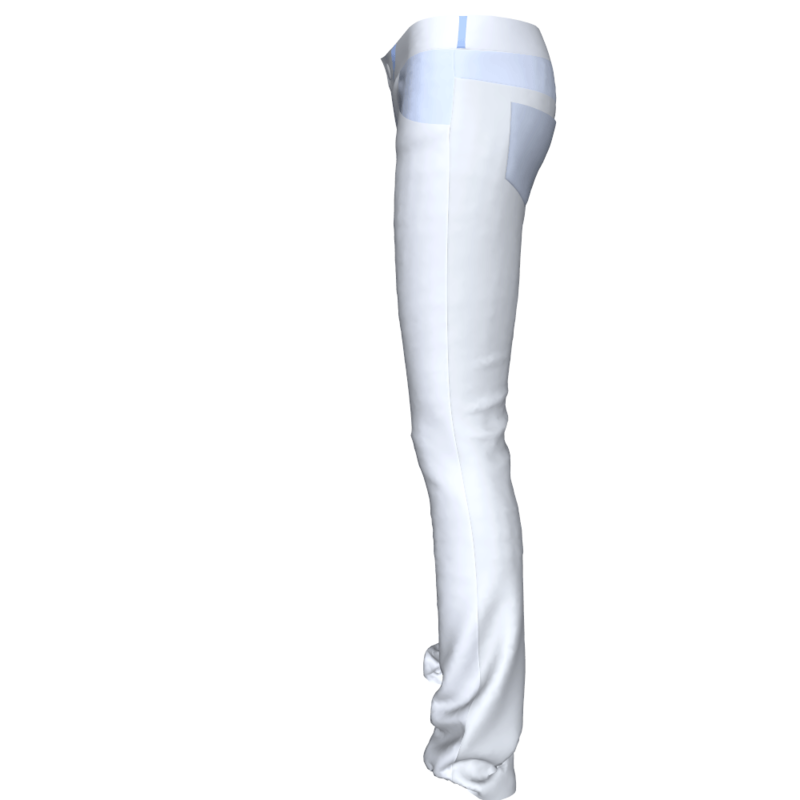 In games there are no blend shapes or fabric simulation as exist in Marvelous Designer. The wrinkles the clothes have in the A-pose are all the wrinkles they’re ever going to have for the game character. Hence, wrinkles need to be included so that in all other poses the clothing item looks plausible. 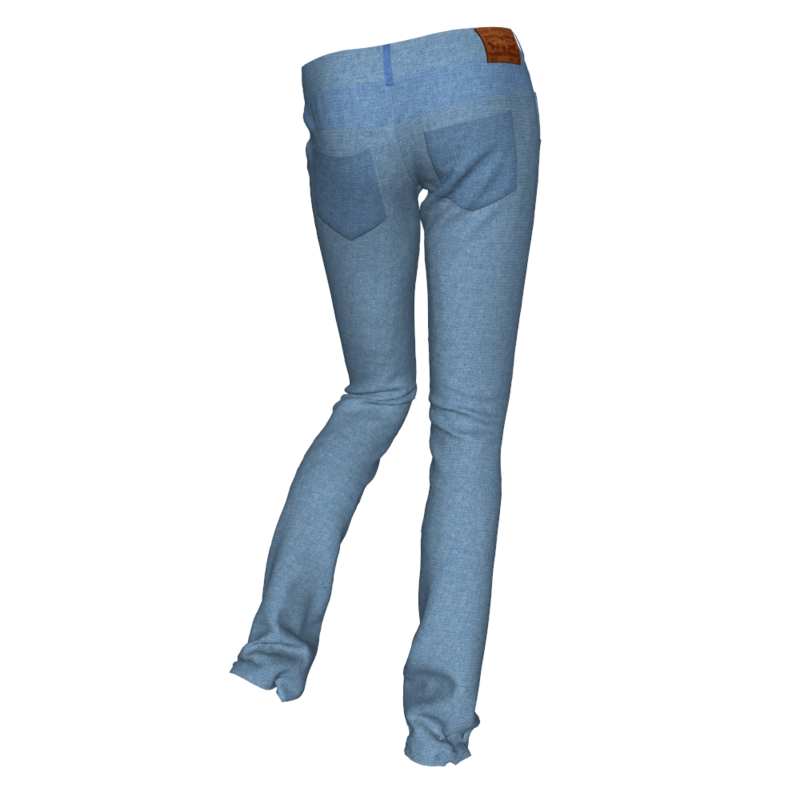 the Marvelous Designer software is a great solution for creating clothes for virtual reality 3D models and VR games where you need dynamic 3D virtual clothes for the Avatars. Marvelous Designer has been used in films like The Hobbit (2012) and The Great Gatsby (2013) which won prizes for best costume design – done in MD, and in games like Metal Gear Solid V (2014) and Madden ’25 (2013) and in commercials and now begins the era of Virtual Reality, where educational films and other VR films and games will require realistic looking dynamic 3D clothing. Additionally, Marvelous Designer or CLO3D is a great solution for a VR fashion show. Virtual Reality Ventures had produced a proof of concept demo for the Samsung Oculus Rift which they’re simply calling ‘VR Fashion’. (Alas, the page has an error with an old plugin version so you cannot watch the demo nor contact them as their contact form has an error with captcha. And their phone is dead, so probably they are dead as well, but the idea is cool). Their software enabled to create a graphic representation of the surface of any 3D object that users can interact with in a virtual world. 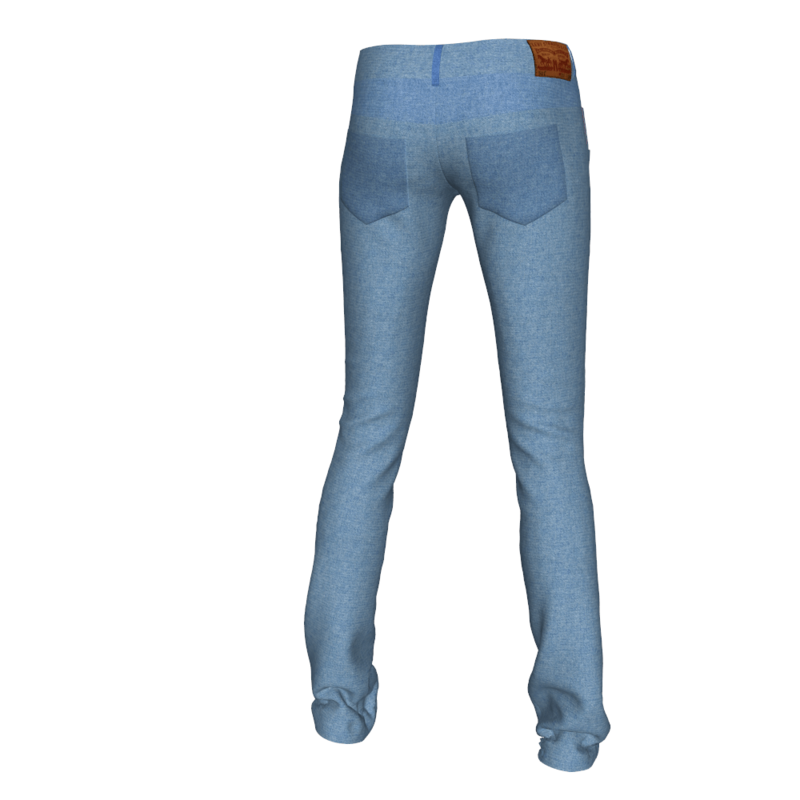 An example of this is their virtual fashion show app, where users can select to view a range of clothing items on the rendered models to see a real-world simulation of how the items fit on the model, and since models can be made to the end-user’s size and shape, it is the ultimate way to see the fit in a realistic simulation for pre-sales with heat-maps showing where garment is too tight or loose, in a variety of poses and movements. This was achieved thanks to them integrating Marvelous Designer CAD program, which allows for a pattern-based approach to creating outfits, with Unity 3D to create a pipeline so that designers can design fashion pieces and see how they drape and flow on a 3D virtual model. Basically, their software wraps patterns digitally around a 3D character, physically simulating the drapes, folds, and wrinkles of each garment. iClone is a real-time 3D animation software with digital actors, quick animation tools and powerful camera and lighting systems. CG Elves envisions that an iClone/CC integration with Marvelous Designer will greatly enhance the software and benefit all involved. Especially forward looking to VR and virtual world usage. Poser is a 3D graphics software tool for creating art and animation with 3D characters which are pre-rigged, fully-textured, posable animation-ready and with easy to use powerful lighting and rendering tools. Poser Pro is used by studios and hobbyists for creating 2d and 3D art, such as illustration, animation, comics, web, print, education, medical, games, pre-vis, storyboarding, and more. Poser is considered a better software than the free download of Daz Studio, because they have multiple tools not available in Daz Studio. For instance, the Morphing Tool, a variety of rendering engine options to make your scene and/or 3D model look like a drawing, a painting or for comic book art. 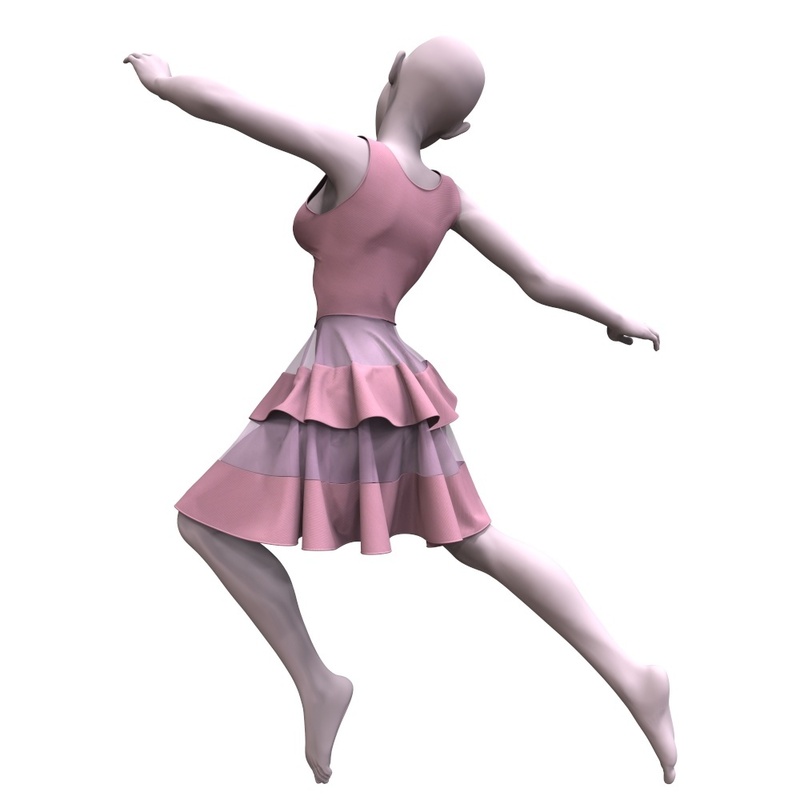 Poser also comes with a photo-realistic renderer, features for fitting 3D clothes onto different models and the ability to animate dynamic 3D garments for motion film (best for hobbyists and pre-viz). DAZ also can handle higher polygon counts, so it can manage Genesis 3 while Poser does not fair as well, though the new Poser version may change this. While DAZ 3D / DAZ Studio is free to download and use, it only comes with basic miserable assets and you’ll need to buy everything from morphs, models, hair, accessories, and clothing – per each model and then buy it all over again, if you use newer Genesis models, as they come out. Poser costs but you get 5GB of assets. 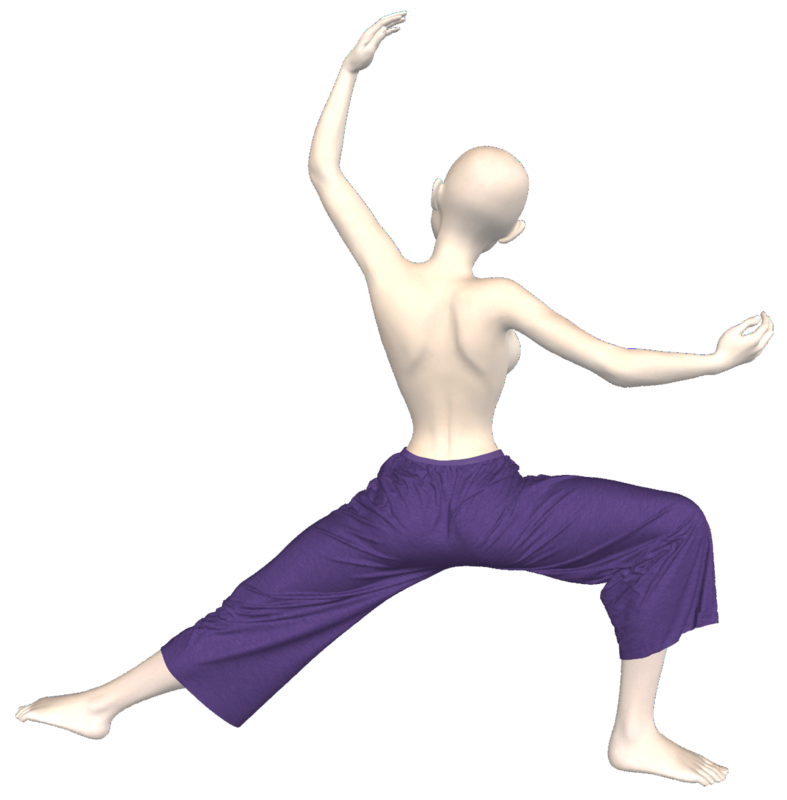 Most their Avatars are not as nice looking as the DAZ 3D ones and also Poser users end up needing to buy poses and assets for the models they use. If you are a SmithMicro Poser user, having the capacity to fashion your distinctive 3D dynamic outfits for your 3D models (whether you use the provided Poser Models or other models you bring into the Poser software) is literally going to enable you to enjoy a wider variety and of course – have the clothing you need, even if it is not available in the 3D marketplaces like DAZ and Renderosity. Any CG artist using Poser who wants persuasive lifelike creases, folds and wrinkles, will need to use Photoshop or ZBrush and SubstancePainter to sculpt and paint in all the missing detail. This involves a ton of time and talent. It is without a doubt a downright loss of your time! 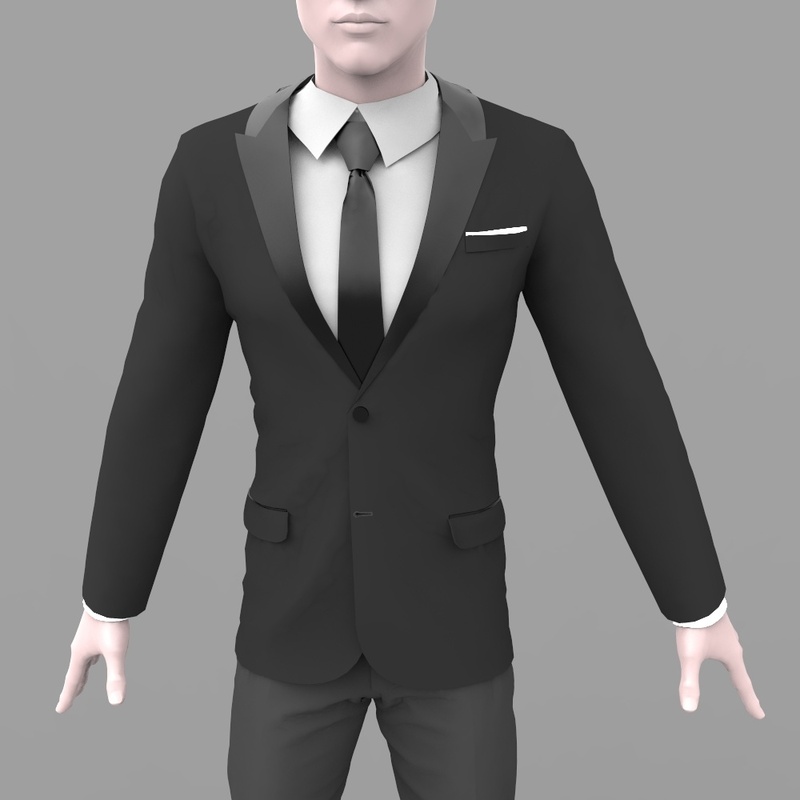 With Marvelous Designer, you can dress your posed character (which you pose and bring in from Poser 11 to MD6), drape your Marvelous Designer clothing items onto the desired Avatar’s pose and then export into Poser software application for final render or to the Marmoset Toolbag render engine for rendering. 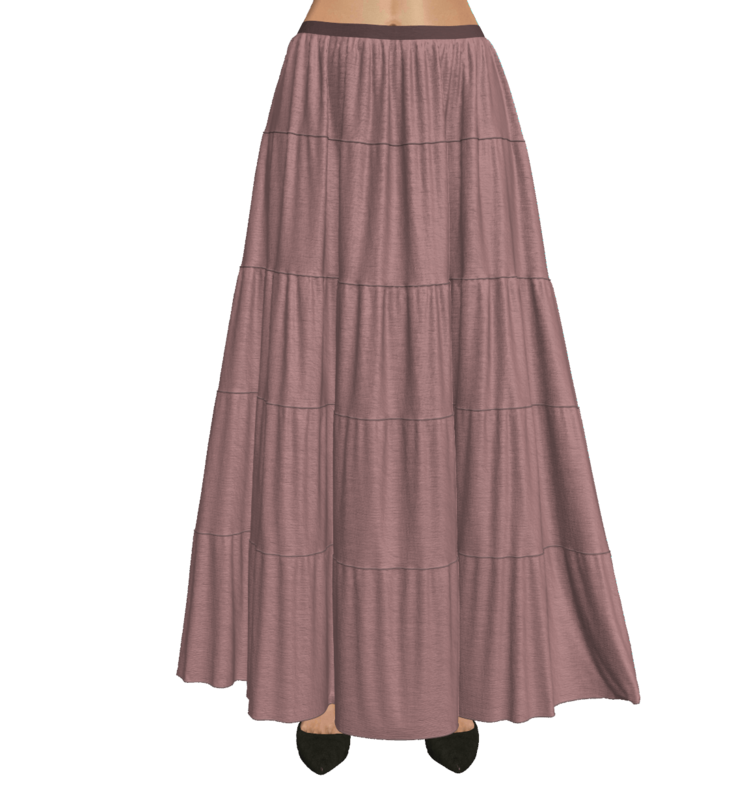 Using Marvelous Designer you’ll save lots of time otherwise wasted on hunting for clothes online and getting disappointed when a garment is available for only a certain pose or 3D model and not for what you need. 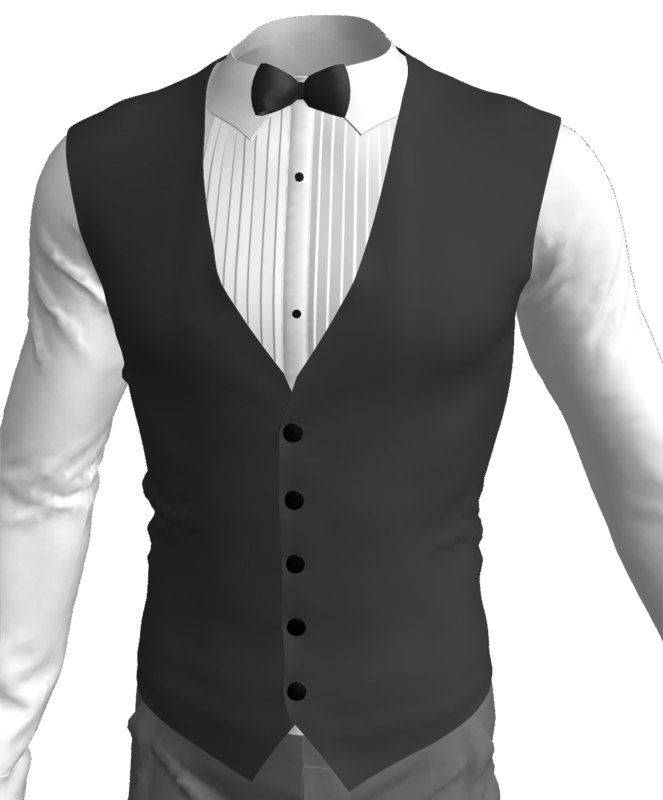 The items of Clothing for Poser models are confirming clothes, plus they are terribly lacking in capability to match to your chosen Avatar’s posture in a genuine manner. 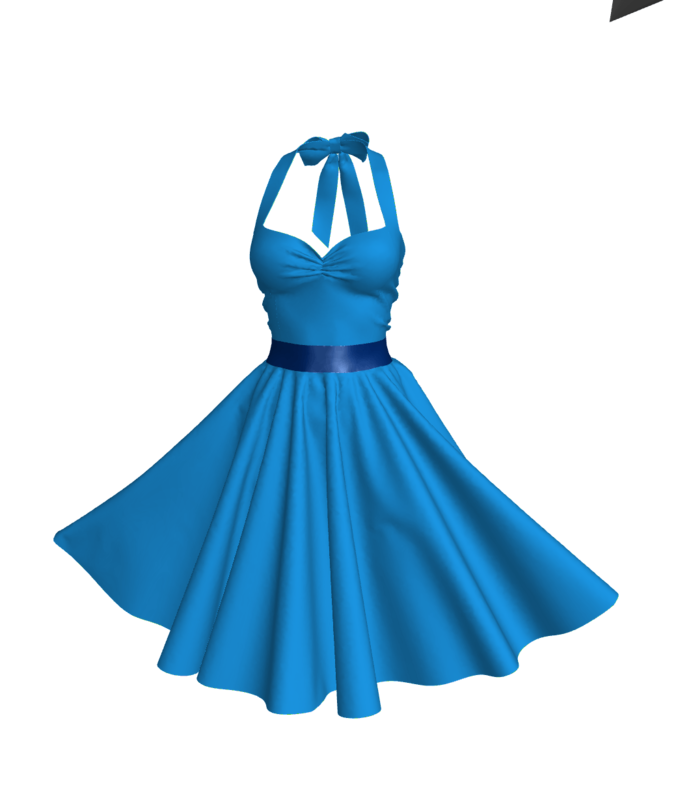 Often confirming clothes look like plastic, especially when they stretch to match a pose they were not created for with morphs. Poser Dynamic Cloth Room enables Poser users to drape dynamic Marvelous Designer clothes on models in Poser itself, but it is still far better results and faster to do so in MD6 than in Poser Pro 11. 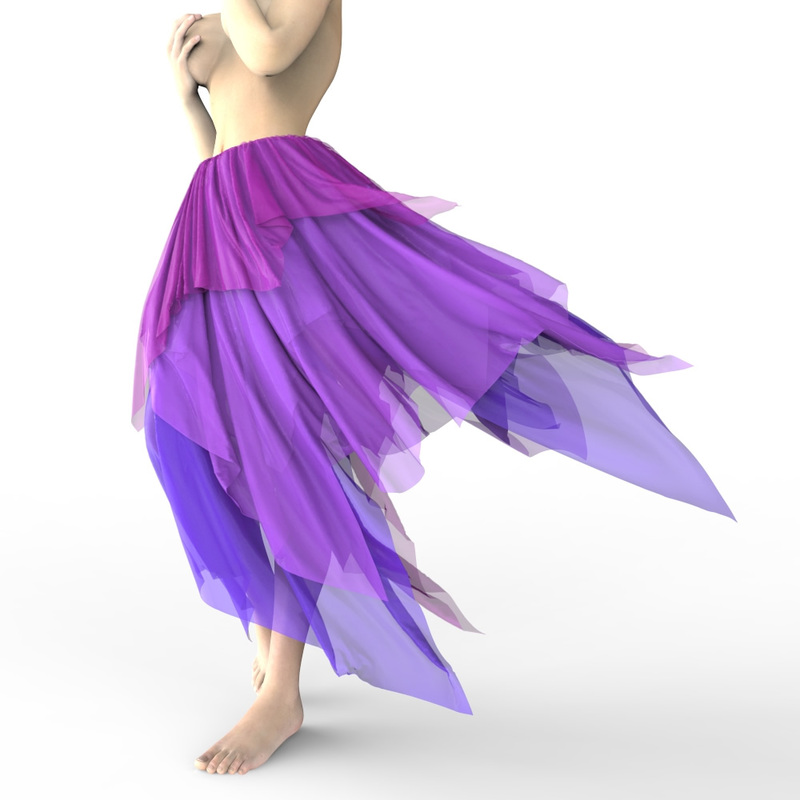 You can not add wind to blow confirming clothing and they will never drape naturally. 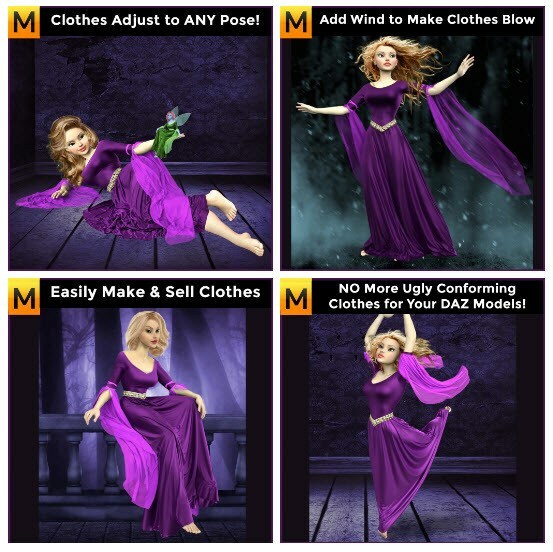 Now you can have truly Marvelous garments – just pose your Avatar in Poser, bring in the desired pose to MD6 and dress it! Marvelous Designer makes total sense for creating a clothing assets library for the CG artist using Poser to produce book covers and illustrations, comic books, graphic novels and other commercial art or hobby artwork. 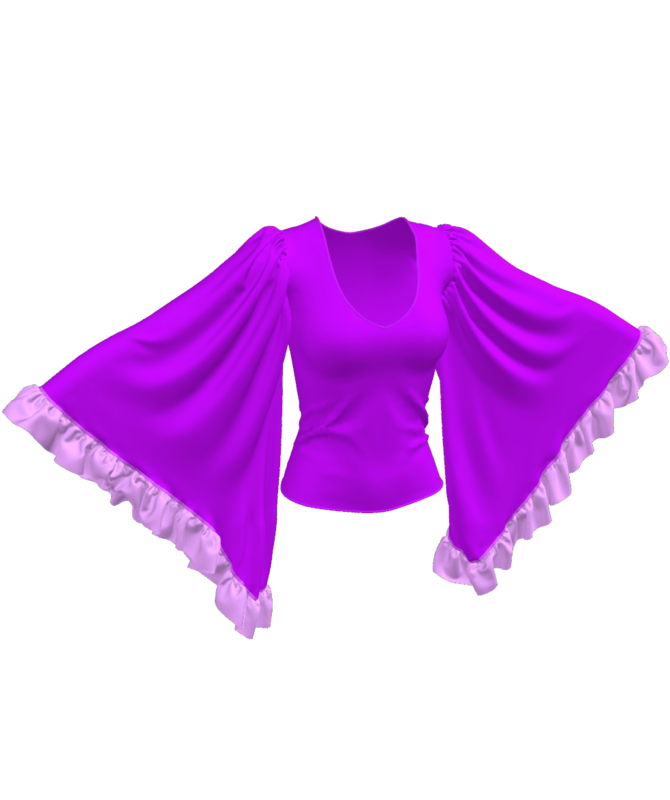 You can now make endless gorgeous garments and never pay for clothes again, and be able to use the Marvelous garments for any 3D model you have. 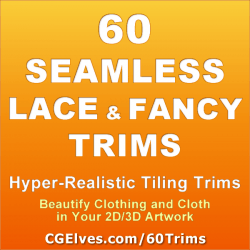 You can now make endless gorgeous garments and never pay for clothes again, and be able to use the Marvelous garments for any 3D model you have. 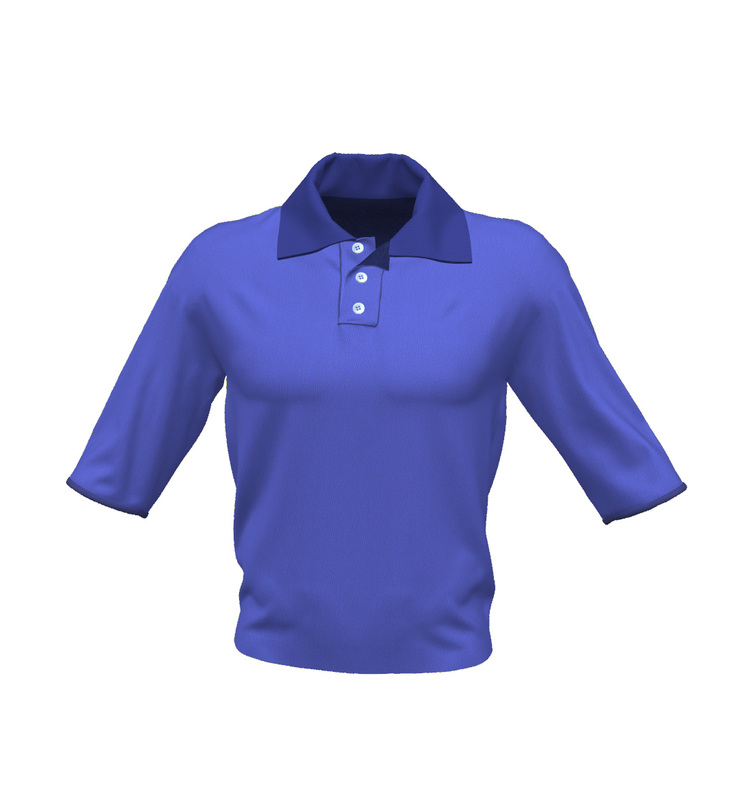 Make the exact 3d clothes you need and envision in MD6 software. Easily change the fit to re-use them on different avatars you have. 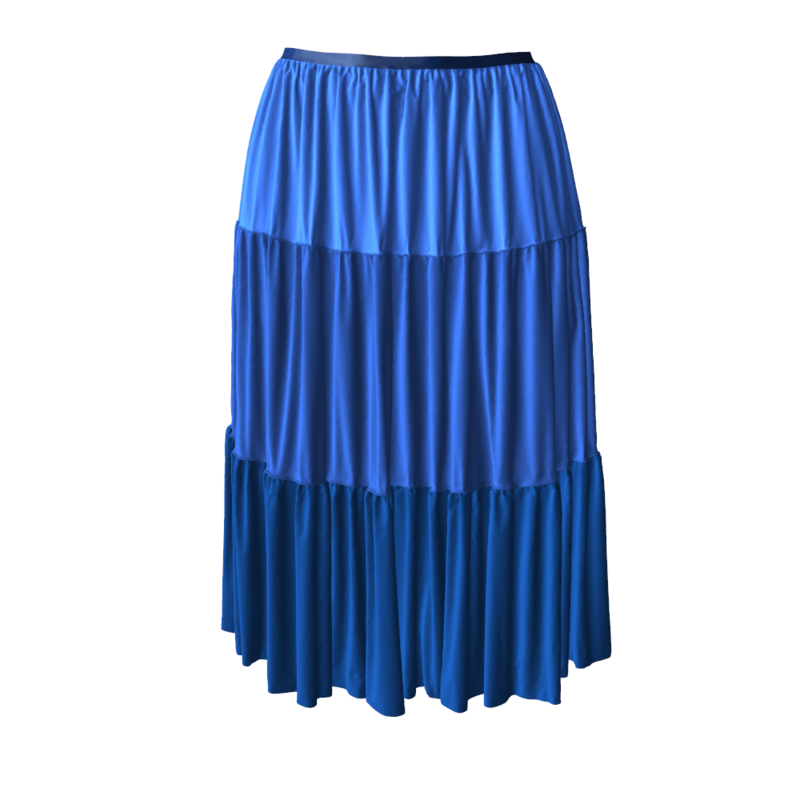 Get fabulous realistic wrinkles and folds, creases and pleats without ever needing to paint them in! 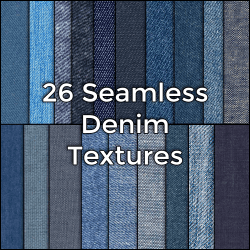 Add our gorgeous unique and hyper-realistic seamless fabric textures (or ones you already have) for endless variations and new looks to the same garment! Save lots of time and money long-term! You can even sell your garment files in a 3D marketplace to make money from Marvelous Designer and cover the costs of the software and training! 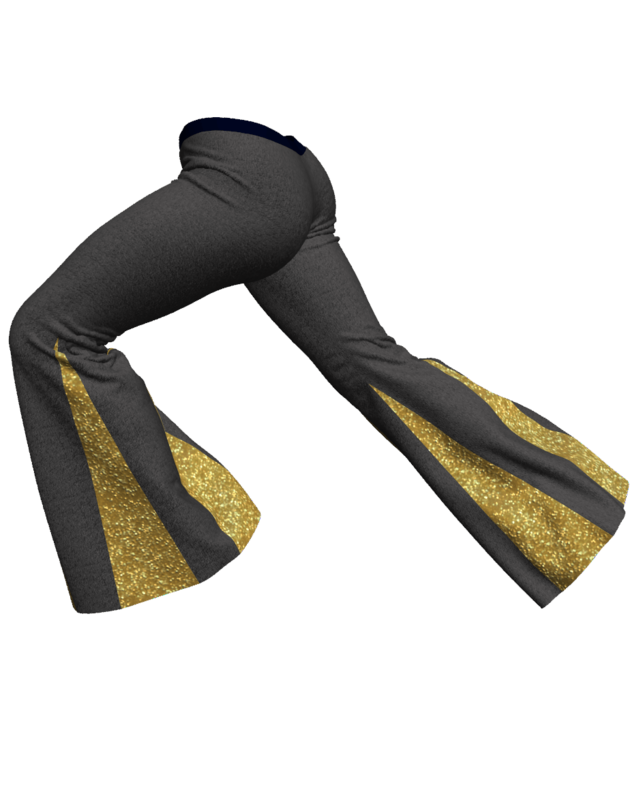 Why should you want to make clothes for your DAZ3D models? Many Daz Users complain the clothes they have in the DAZ marketplace look so fake and like plastic. 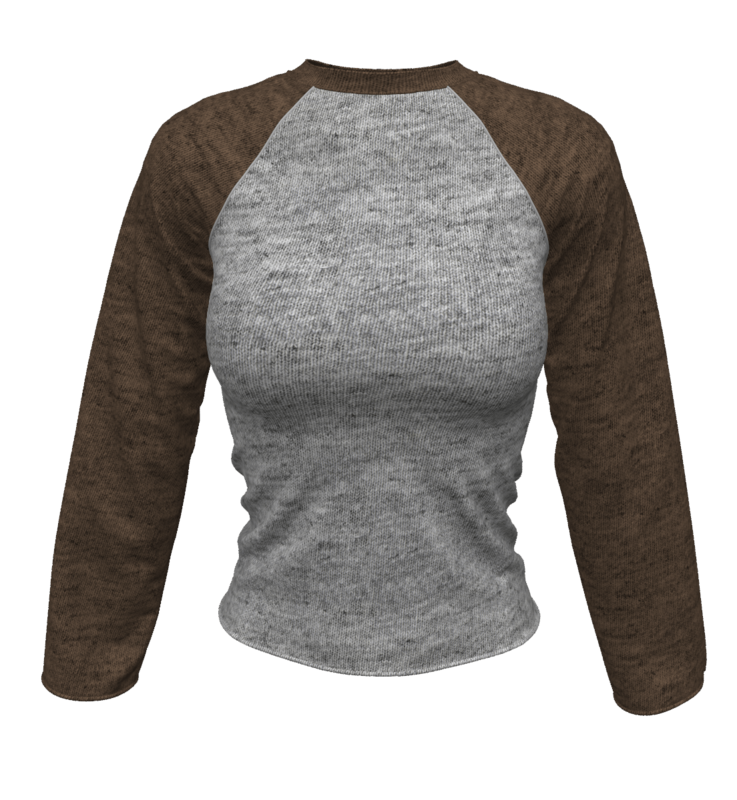 Additionally, often you will need to purchase clothes for different DAZ models and cannot buy a garment and simply use it for all DAZ 3D models. So, for example, if you have the DAZ Victoria 4, Michael 4, Hiro, Aiko, Raffaella, Mikaella of the Genesis 2 DAZ Studio series, or Genesis 3 DAZ 3D models of Michael 7, Victoria 7 or Karen 7, Lilith 7, the Girl7, Monika or Arnaldo – you’ll be happy to know Genesis 2 clothing and accessories will not work on Genesis 3. Genesis 3 models are not compatible with Poser. That means shelling out lots more money to get all new clothing and accessories for Genesis 3, or just sticking with “obsolete” Genesis 2 DAZ3D models. 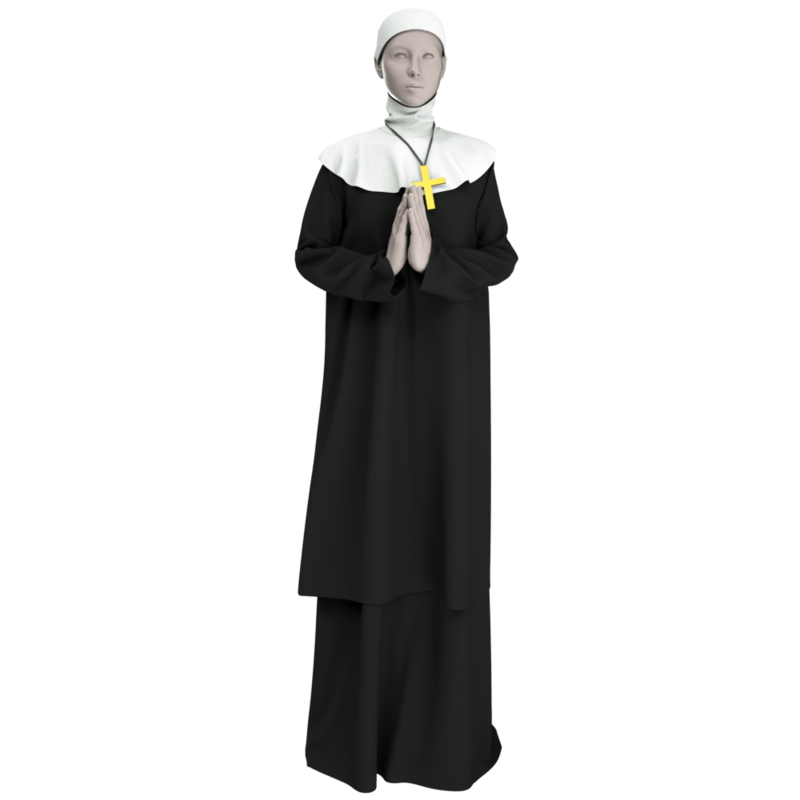 One way is to model the clothes or sculpt them in ZBrush, which takes a lot of time and skill; you need to study cloth anatomy and really get good at sculpting the clothes to make them look real. 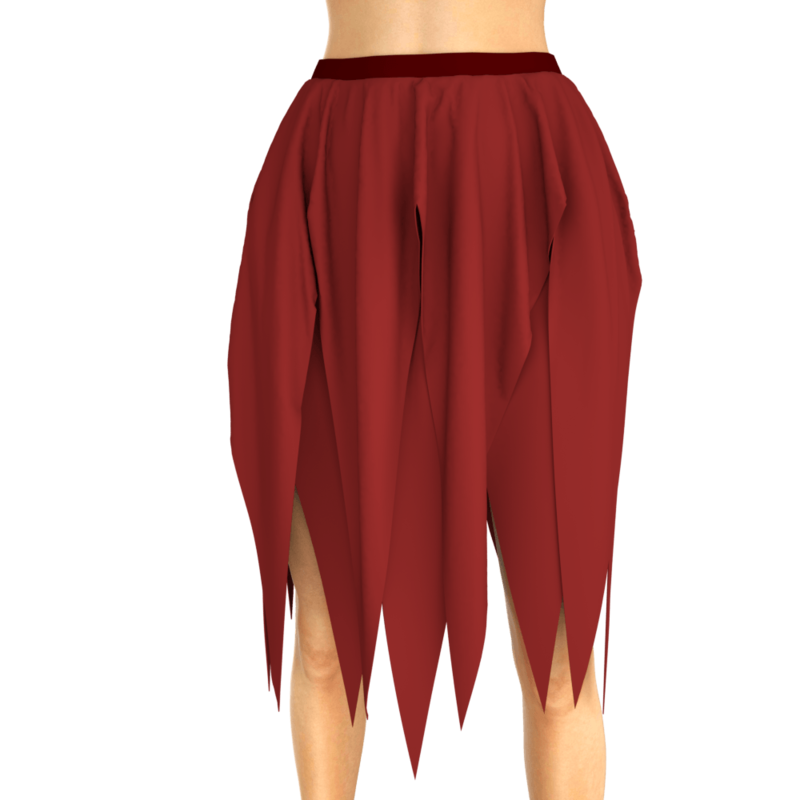 Also, the sculpted clothes are not dynamic, meaning if you want to create different poses of the clothing item you’ll need to sculpt the clothes in every pose of your 3D Avatar/ model. 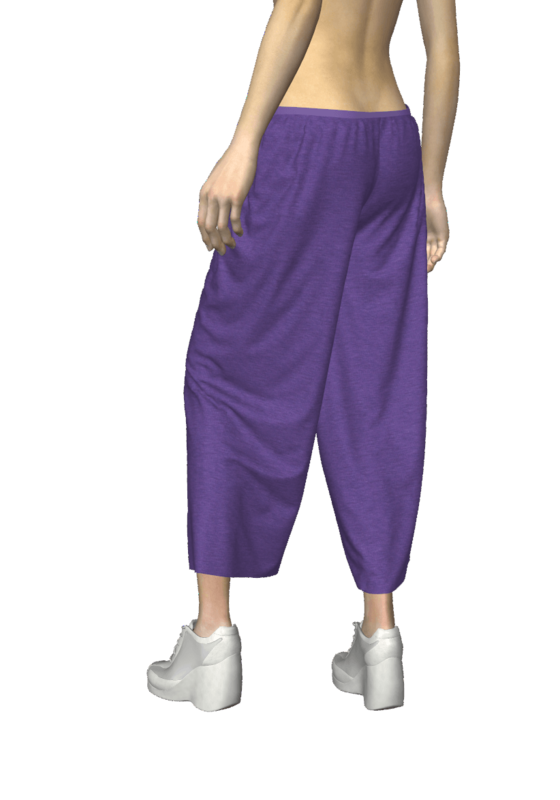 Perhaps a better way to make dynamic clothes for DAZ 3D models is to use a cloth simulation software like Marvelous Designer. 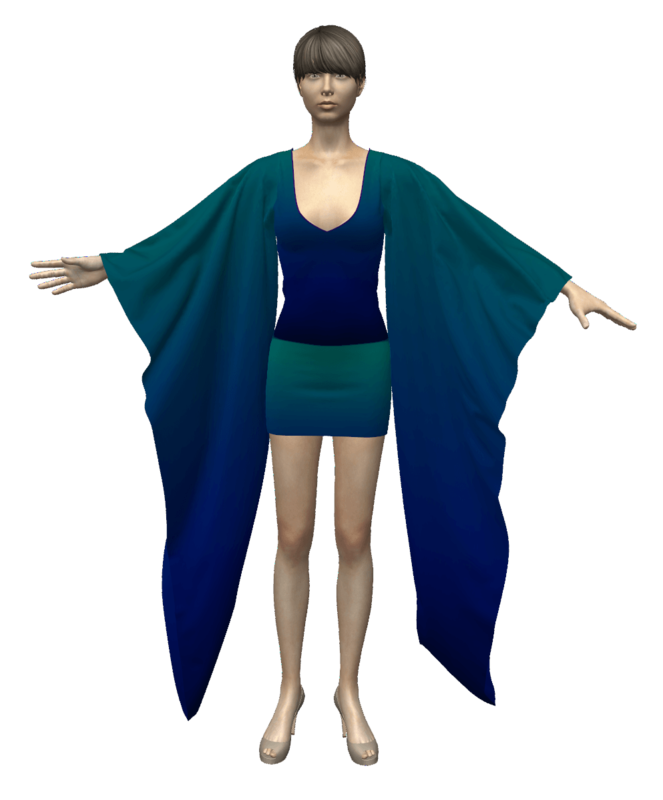 If you are a DAZ 3d or Poser user, being able to create your own 3D clothing for your DAZ 3D models is going to enable you to have far better results, as well as more variety. 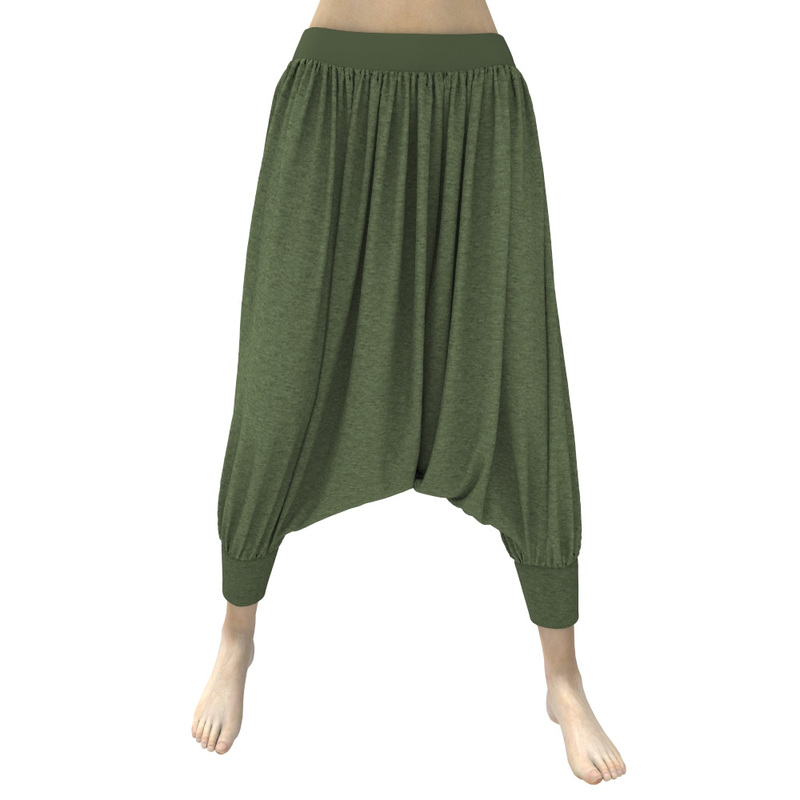 Since the clothing you need for your 3d Avatar is not always to be found in the DAZ marketplace, you can now make it yourself and save a lot of money long-term! 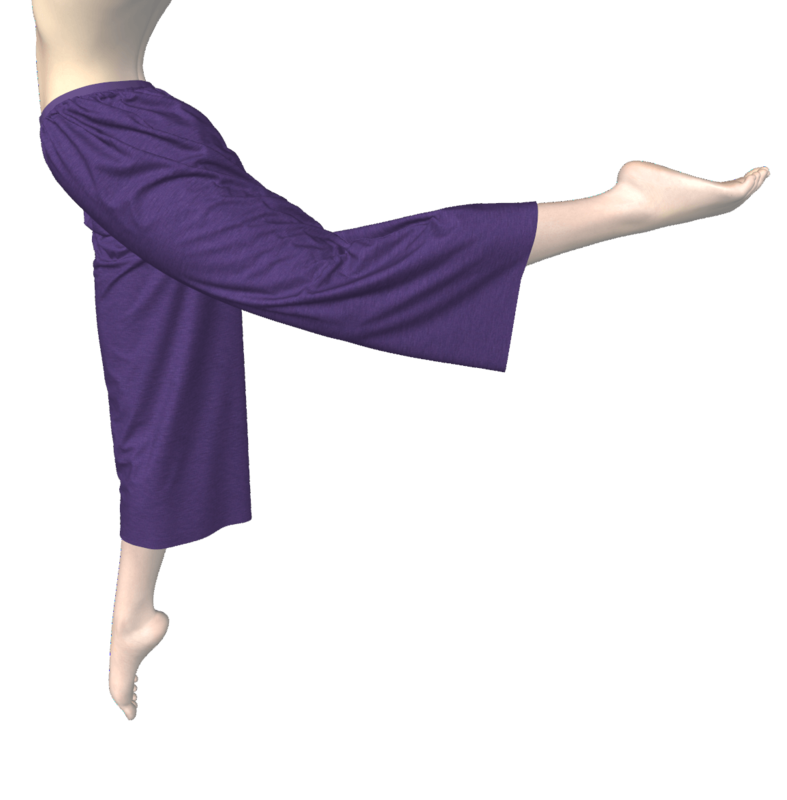 DAZ 3D clothes are confirming and are very limited in ability to adapt to your desired Avatar’s pose in a convincing manner. You cannot add wind to blow the clothes. The CG artist who uses DAZ3D and wants convincing realistic wrinkles and folds needs to use Photoshop or ZBrush to hand-paint all the creases, wrinkles, and folds. This takes a ton of time and skill. It is a total waste of your time! 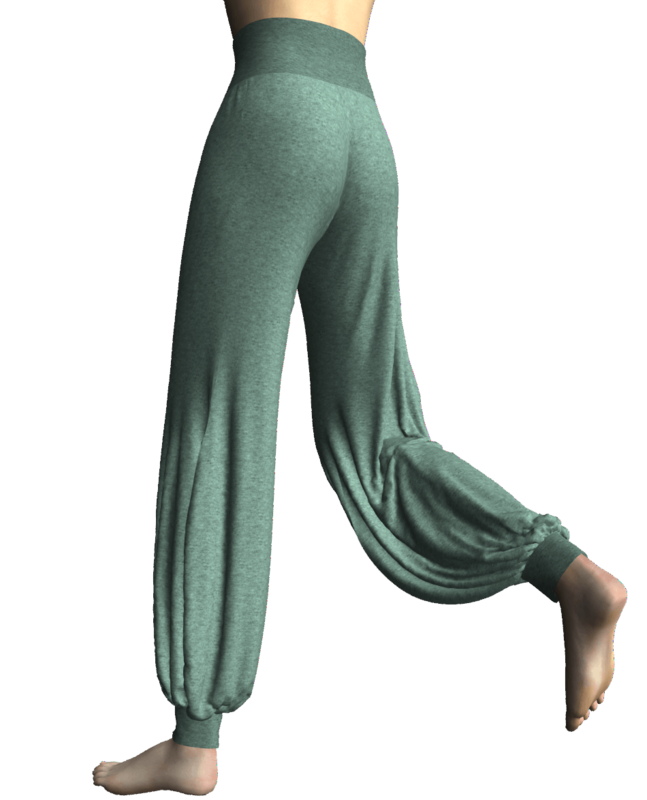 Now, with Marvelous Designer, you can dress your posed character (which you bring in from DAZ Studio or Poser), drape your clothes onto the desired pose and export it back to your desired software for rendering. Many 3D artists and DAZ artists are moving to using Marvelous Designer. 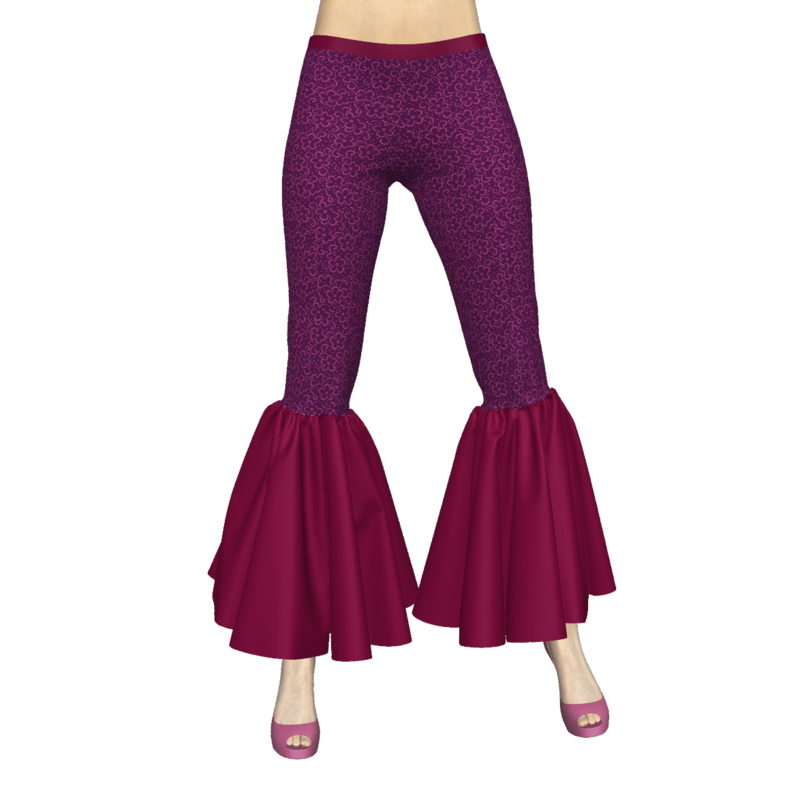 With Marvelous Designer, you can quickly create dynamic clothing for DAZ 3d models. The clothes made in Marvelous Designer are dynamic, so whenever you change the 3D model’s pose the clothes adjust to the new pose and look realistic. No need to sculpt wrinkles or study cloth anatomy for hours. 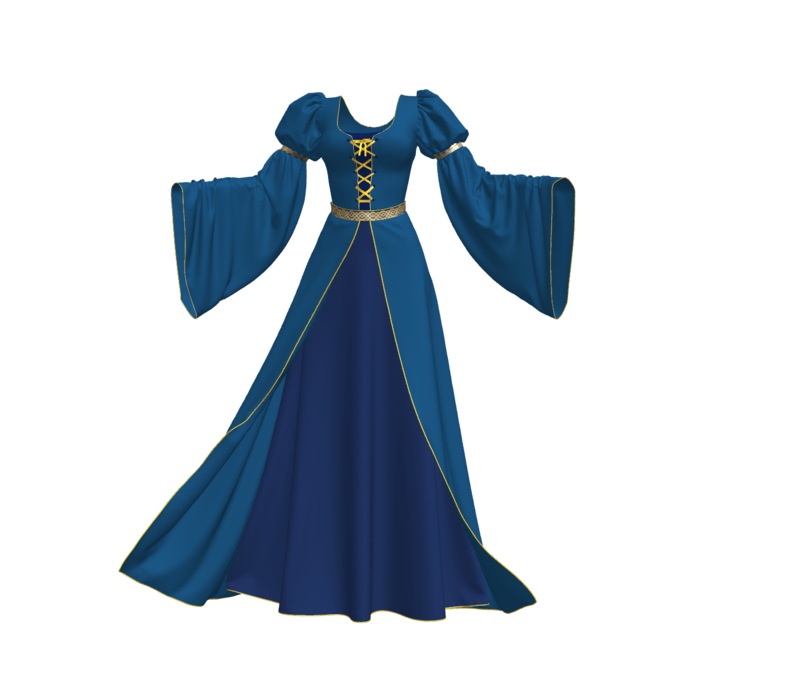 Check out this free workshop how to create a dynamic Renaissance Marvelous Designer dress for a DAZ model. Second Life is an online virtual world, developed by Linden Lab, based in San Francisco, and launched on June 23, 2003. By 2013 Second Life had approximately 1 million regular users, according to Linden Lab, which owns SecondLife. Second Life is an online world in which residents create virtual representations of themselves, called avatars, and interact with other avatars, places or objects. Some smart people became wealthy by selling real-estate and renting apartments, houses and land in this virtual world game, SecondLife. There are others who make money as vendors, selling all kinds of accessories for the homes and the Avatars used in the SL virtual world game. SecondLife was one of the very 1st such Multi Player virtual worlds and they are now getting ready for the next lead in the world of MMO gaming with their Sansar platform. Sansar is 3D and will support Virtual Reality, whereas Secondlife is 2D. 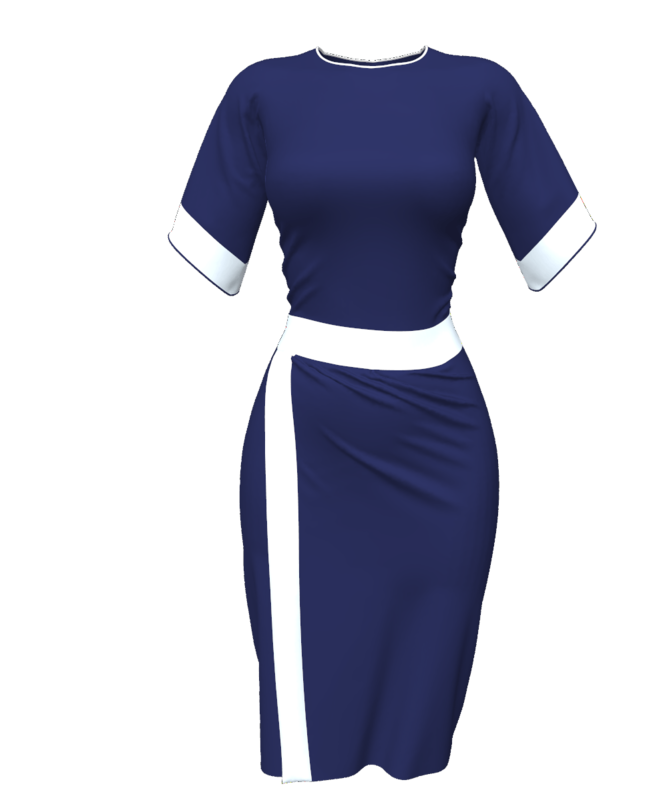 There’s never been a better time than now to make clothes for Sansar and be one of the leading vendors of Marvelous Clothes you produce in Marvelous Designer – and of course you can use our garments and patterns to create clothing that fits the Sansar models/ Avatars. SecondLife is also referred to as 2nd Life or SL for short. An MMO 3D game world is also called Massively multiplayer online role-playing games (MMORPGs for short). These are a combination of role-playing video games and massively multiplayer online games in which a very large number of players interact with one another within a virtual world. As in all RPGs, the player assumes the role of a character (often in a fantasy world or science-fiction world) and takes control over many of that character’s actions. MMORPGs are distinguished from single-player or small multi-player online RPGs by the number of players able to interact together, and by the game’s persistent world (usually hosted by the game’s publisher), which continues to exist and evolve while the player is offline and away from the game. Examples of popular virtual worlds are SecondLife, kaneva.com, Sansar. With Marvelous Designer, we managed to create character’s clothes quickly and they looked totally realistic. Even though i had no knowledge on fashion, it wasn’t challenge for me at all as it’s easy to use. Marvelous Designer allowed us to work faster and bring us better quality of 3D clothes, yet also put more and more details and love into our characters with a lot of flexibility. Marvelous Designer was used in creation of objects for Monster and Background in PC and NPC. 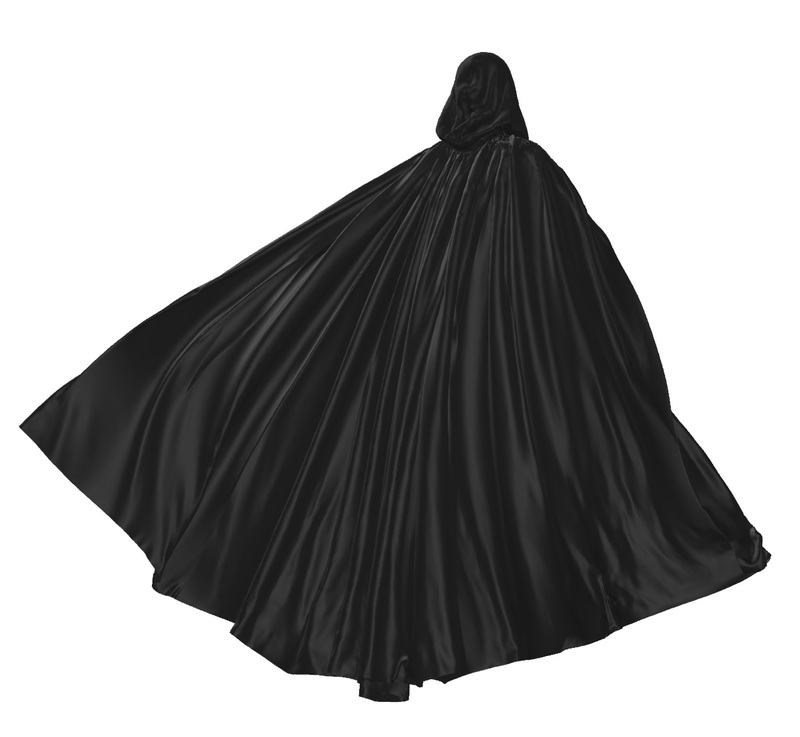 When we first started our project ‘Black Desert’, I have started using Marvelous Designer to design capes, skirts and hoodies for this project. 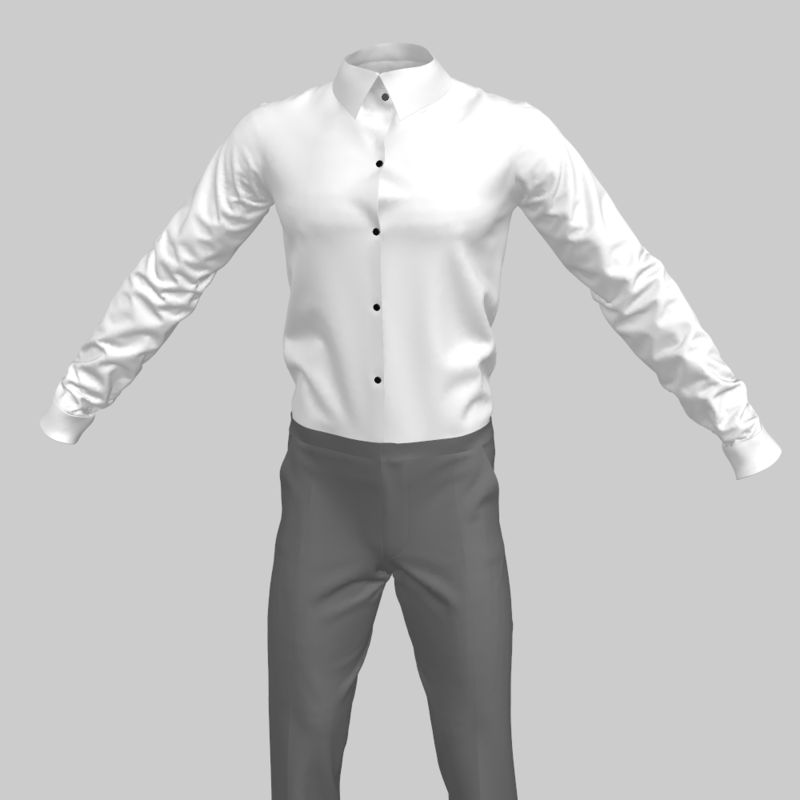 I became a big fan of Marvelous Designer as it allowed us to generate 3D clothes quickly from scratch. I have found myself using Marvelous Designer a lot more for concept work over the last couple of years, mainly because of its newer features such as Symmetric Editing. Architects use Marvelous Designer cloth modeling & simulation software for creating and draping cloth for interior design scenes and to enhance their interior designed rooms. Typically the architectural use would be for curtains, table clothes, sofa drapes, bed clothes and bedding, quilts and pillows, carpets and for hanging clothes in closets and wardrobes. Especially if you seek a somewhat rumpled lived-in look for your interior scene, Marvelous makes this easy. Especially if you seek a somewhat rumpled lived-in look for your interior scene, Marvelous makes this easy with the ability to tug, pluck and rearrange the cloth as well as by using the Wind Tool in Marvelous Designer. Here are some free hanging clothes 3D models we made, which you can download for free and use in your 3D projects. You can use these digital clothes for your architectural renders, interior design work, virtual 3D worlds, digital bedrooms, DAZ scenes etc. Or learn to make these clothes yourself for a bigger variety for yourself. 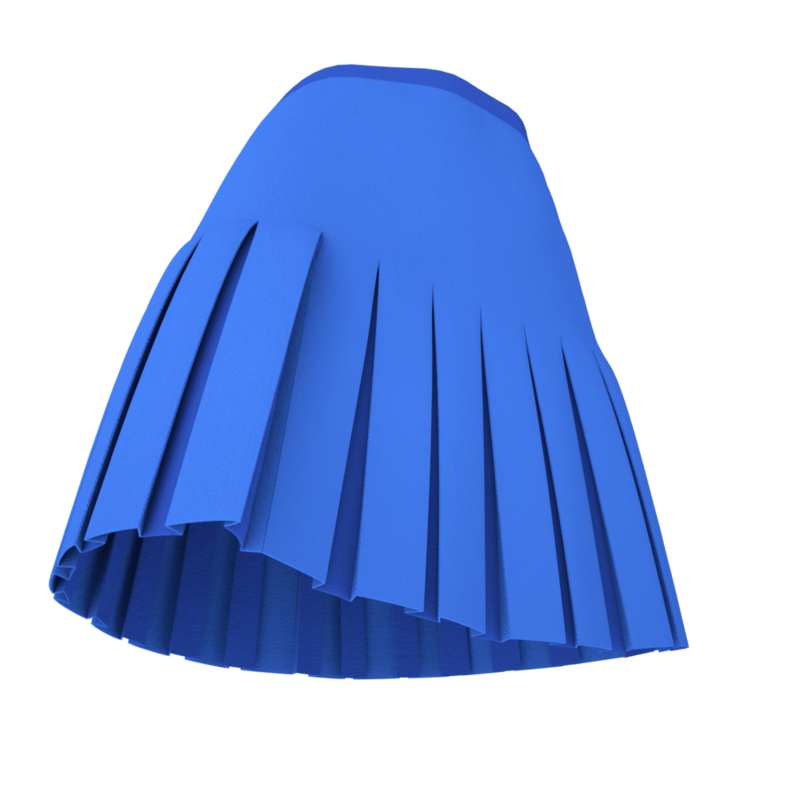 The 3D model of 3d hanging skirt was made from this Handkerchief Skirts Marvelous Designer workshop. 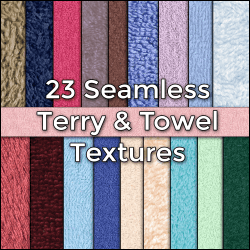 We suggest you get our fantastic library of realistic seamless fabric textures to enhance all your interior cloth with endless new looks. Here are some Examples and tutorials for using Marvelous Designer for Architecture and atmospheric interiors. 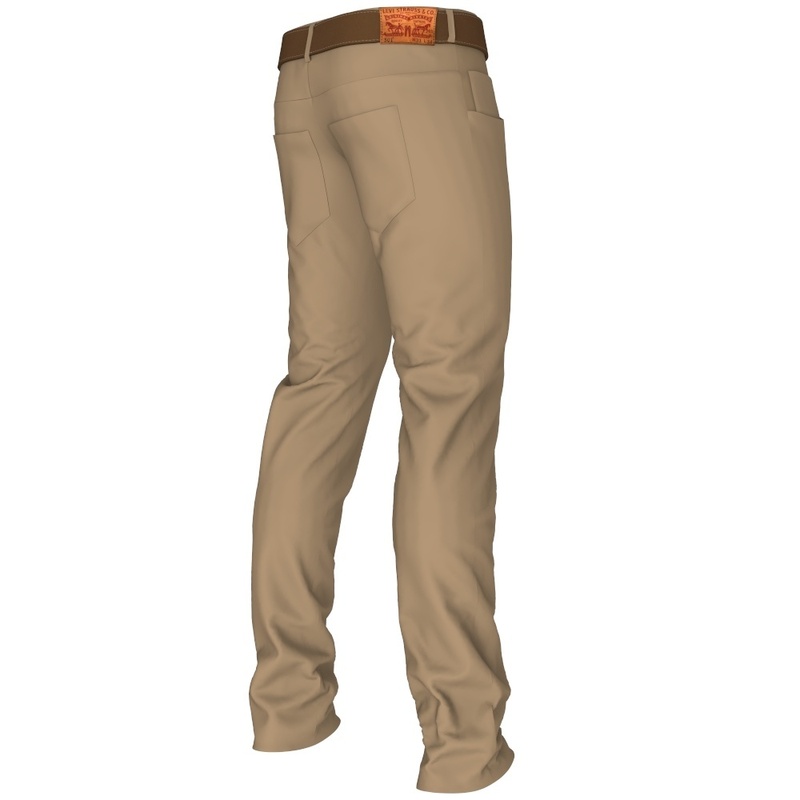 Find here free OBJ clothes and 3D models you can use free in your projects. Frozen OBJ models are also called 3D models. 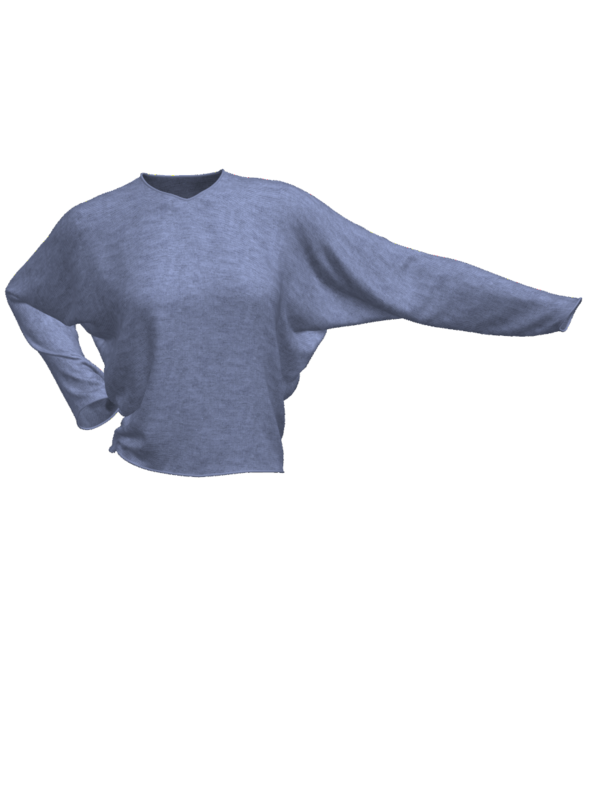 The free OBJ clothing for download available on our website is not dynamic clothing but frozen poses/ hanging clothes useful for 3D interiors. Need best Marvelous Designer course for beginners? Now you can Master Marvelous Designer! Learn how to quickly make realistic dynamic 3D Clothes in Marvelous Designer with the CG Elves MD Training. The 6 and a half hour Marvelous Designer Beginners Course covers in-depth all the buttons and tools in MD, all the does and dont’s, what every tool is and how best to use it. In this Marvelous Designer tutorial for beginners you’ll learn the basics of how to change colors and textures of your marvelous clothes, how to scale textures, use fabrics with transparency and add detail with normal maps. 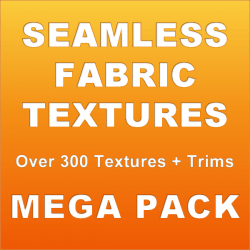 Get the most beautiful library of seamless fabric textures. Learn in this Marvelous Designer beginners video how to create Marvelous Designer stitches for your 3D clothes with this free Marvelous Designer tutorial for beginners. Download free Marvelous Designer stitches effect textures here. How to Make Dynamic Digital 3D Clothes? 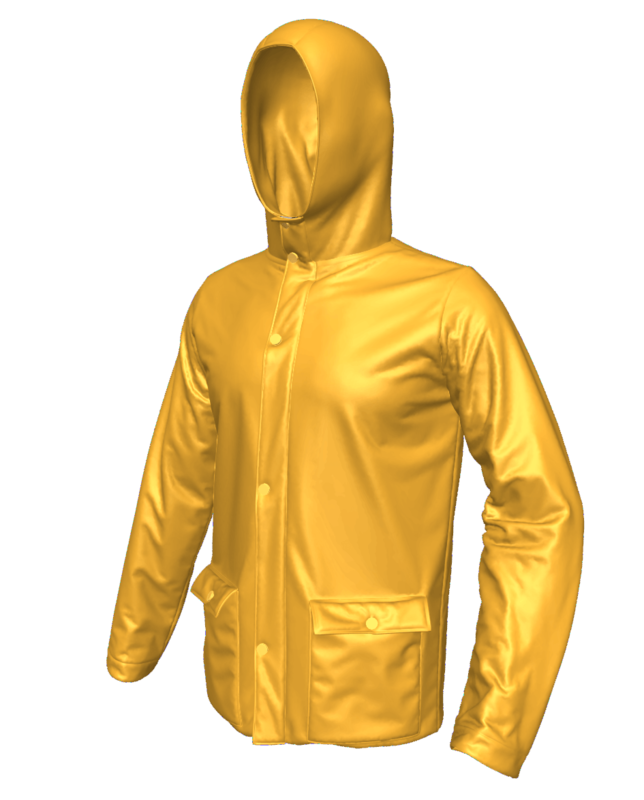 You create the dynamic 3D clothing you require in Marvelous Designer software. MD’s clever sewing tools allow you to define sewing directions and ranges accurately, in addition to freely editing sewing lines at any time in future. This feature is not fully supported in other 3D CAD software. Marvelous Designer 6 has simple and smart sewing tools that make life easier for 3D and CG artists. 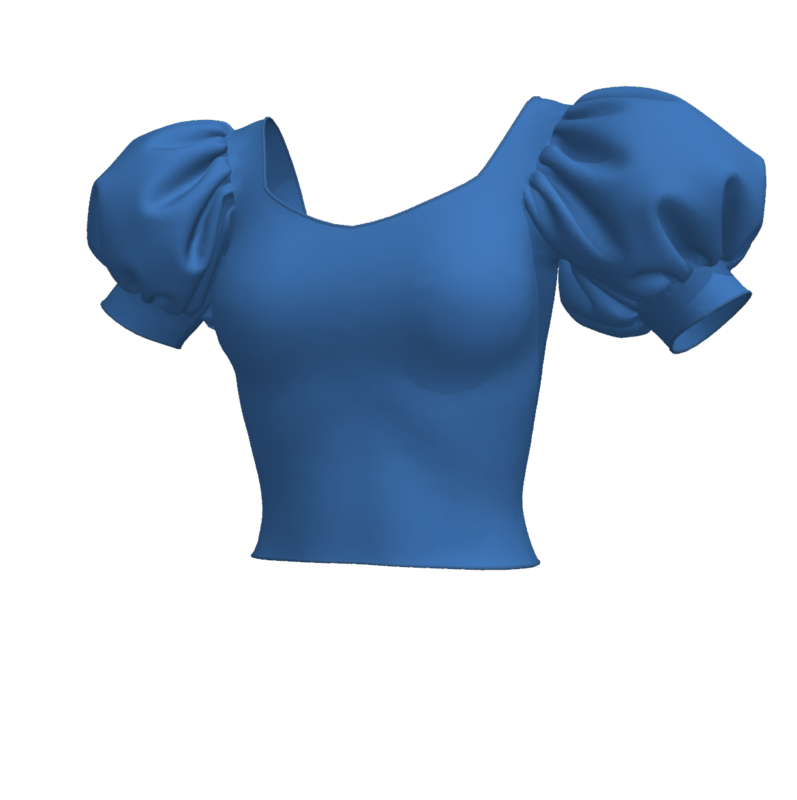 (1) Learn to make your own 3D garments with the Marvelous Designer software, so you need not buy clothing assets and thus save a lot of money long term, as well as have the flexibility to create exactly the virtual clothing items you need. Let us save you the tough learning curve! Marvelous Expert & Instructor Camille spent 10 months (full time) and summarized it all into 52.5h. 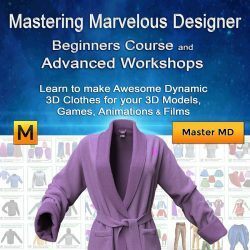 By taking our “Mastering Marvelous Designer – Beginners Course & Advanced Workshops” you’ll in no time find you become a confident and capable sought-after 3D virtual clothing artist pro! 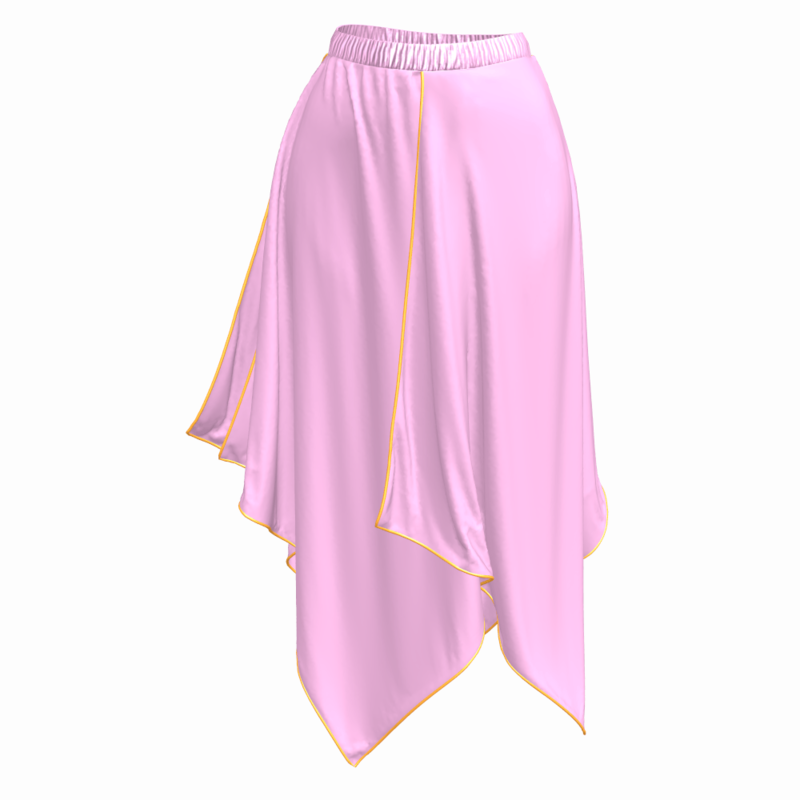 (2) Purchase the Marvelous garment files or the clothing templates along with the library of the invaluable Marvelous Designer fabric presets we offer in our shop, to have an easy and fast way to kickstart your garment creation. 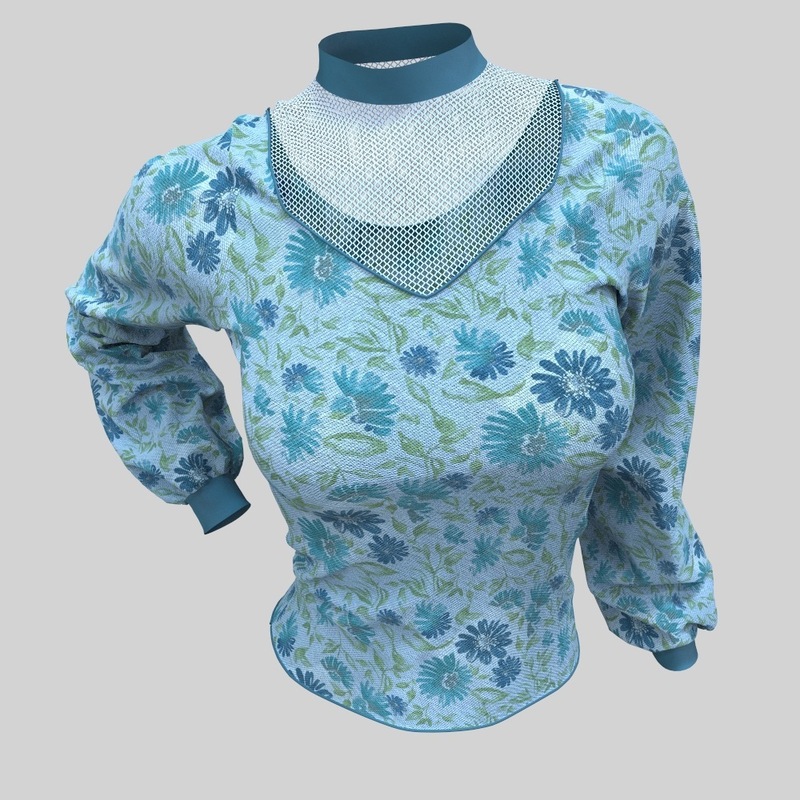 Thus you can simply load in our convenient Marvelous Designer clothing pattern templates and use these as fast cheats for making a wide variety of sleeves, shirts, skirts, dresses, trousers, suites, uniforms – all which you can use, Royalty Free, in your projects and either use them as-is and texture them or alter them to your needs fast and easy. 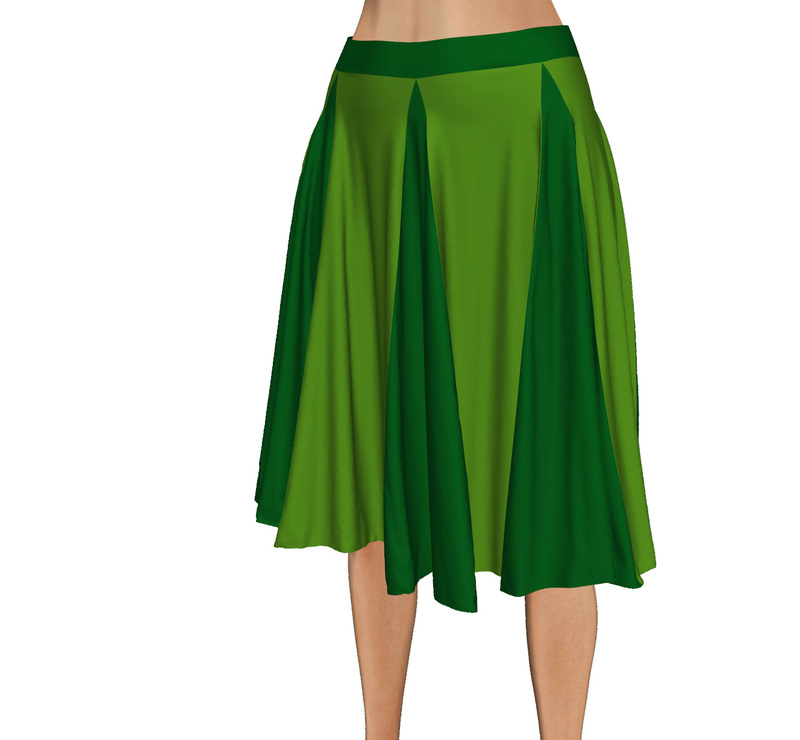 It is super easy to edit our Marvelous garment patterns and make it fit your various Avatars as needed. Tip: We recommend you always save copies of our original garment files. Save any modifications as a new garment file. And if you mess things up- load in the original file once again! 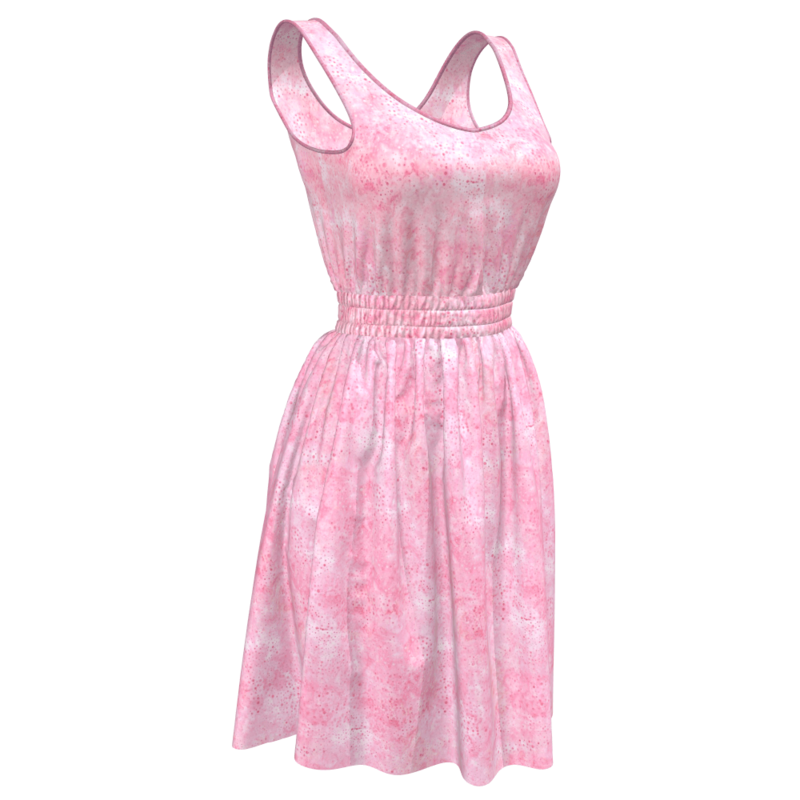 You can thus quickly expand your 3D character’s wardrobe with clothes for every occasion. Each garment can be modified and reused in many ways over and over, especially when you apply to it our seamless textures. 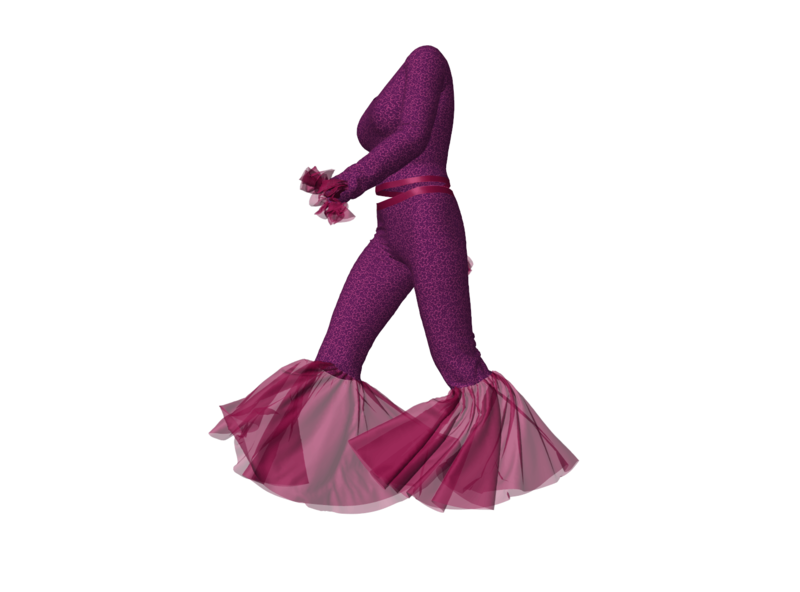 Every dynamic virtual 3D garment item you create or purchase can be transformed in endless ways to look unique. 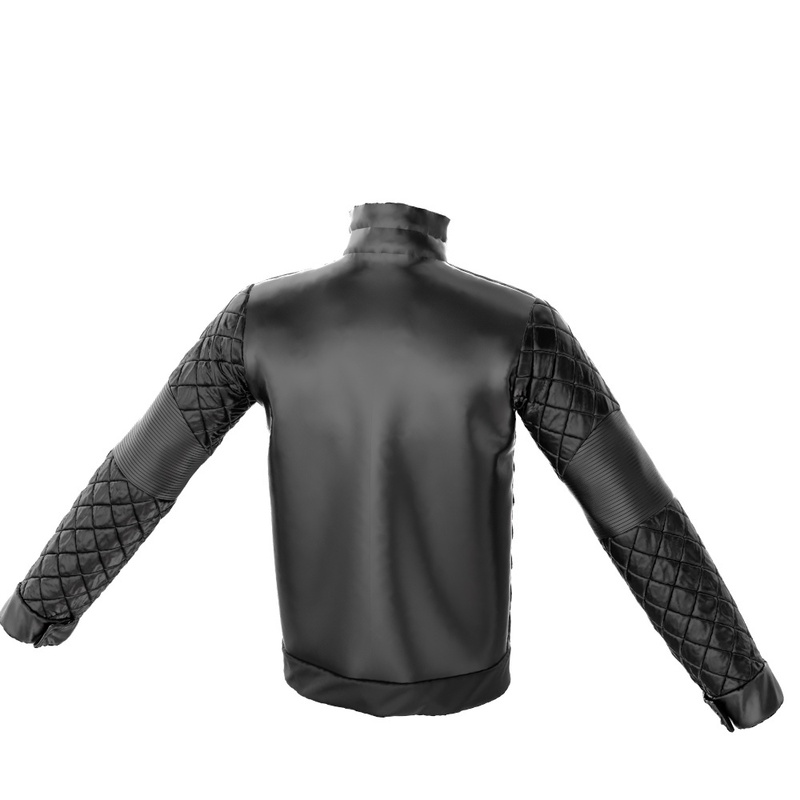 Since the Marvelous Designer garments have UVs right from the start, which is basically the pattern which you built your garment with, you can easily apply intricate patterns and various fabric details onto your MD garments. 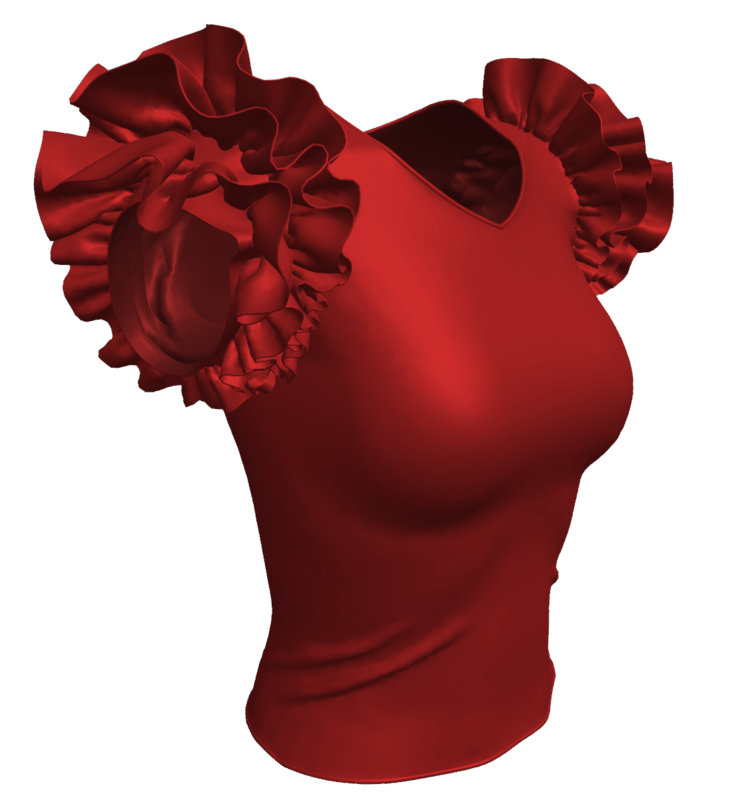 These enhancing decorative details you can make in Zbrush (or elsewhere) and add them to the garment or even paint decor like stitching, lace, holes, patches etc in Photoshop or SubstancePainter and then apply them to the 3d cloth item as a map. A Marvelous Designer free trial is available as a free Marvelous Designer download after you register with an email address on their website marvelous designer.com – see other FAQ we have on this. Note that Marvelous Designer 6 is NOT a free software. Beware that if you get it free online aside from the official website it will not be legal, not have updates to bugs and probably have a backdoor that will compromise your computer to governments and criminals seeking to control data and do DDOS attacks. On CG Elves we have some cool Marvelous Designer freebies which we list in next FAQ section. 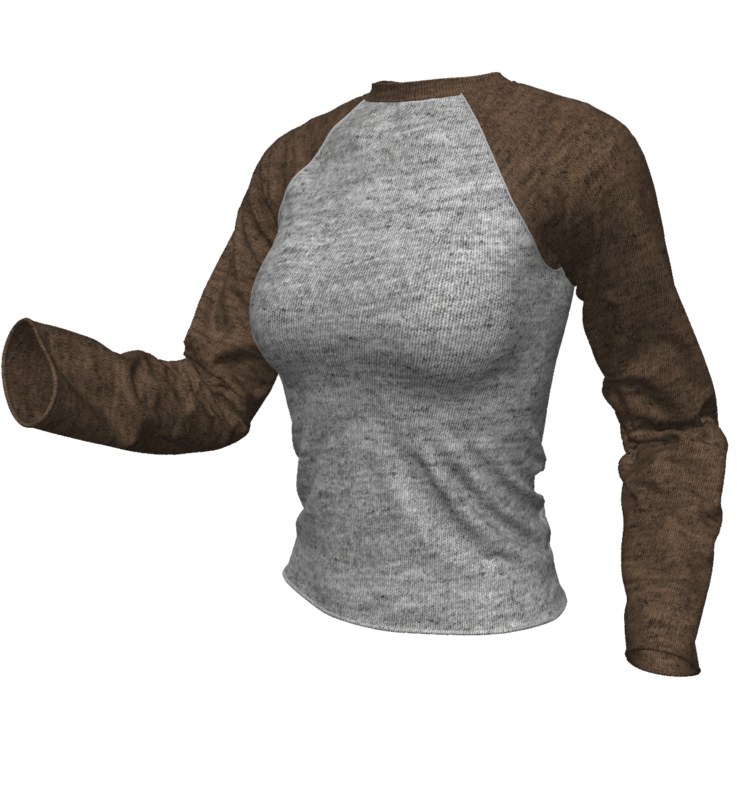 How to make shirts in Marvelous Designer? 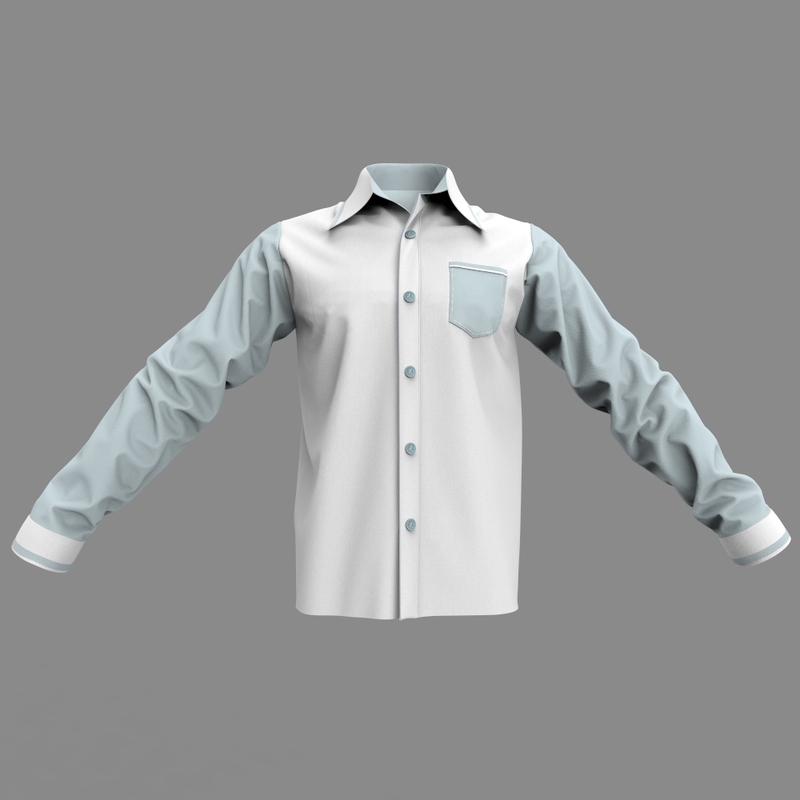 The basics of shirts in Marvelous Designer where you learn how to make Marvelous Designer shirts, buttons and cuffs. How to make a Marvelous Designer hoodie? 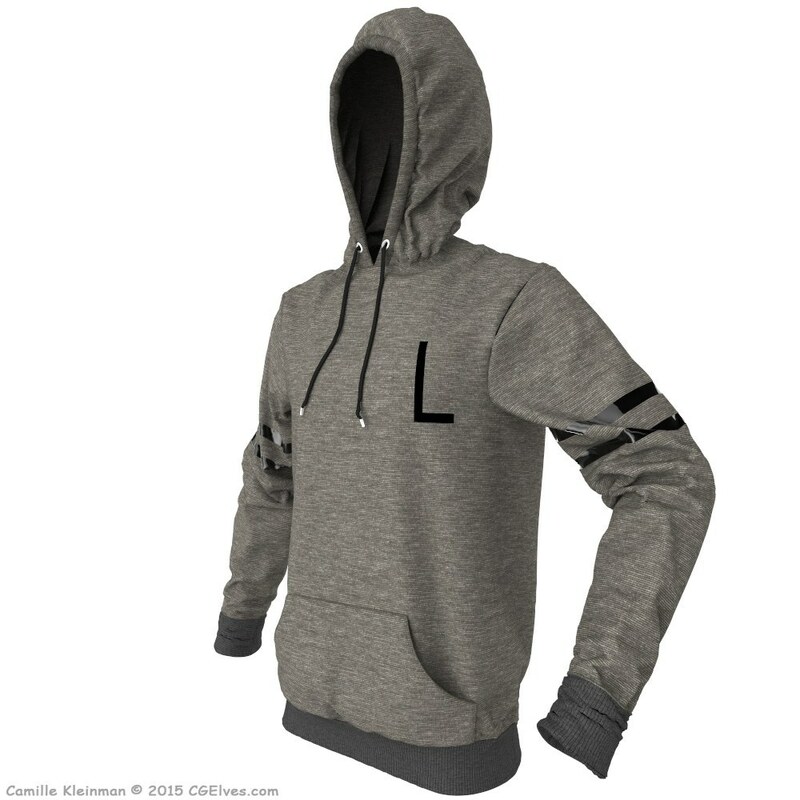 Want to make a Marvelous Designer Hoodie? 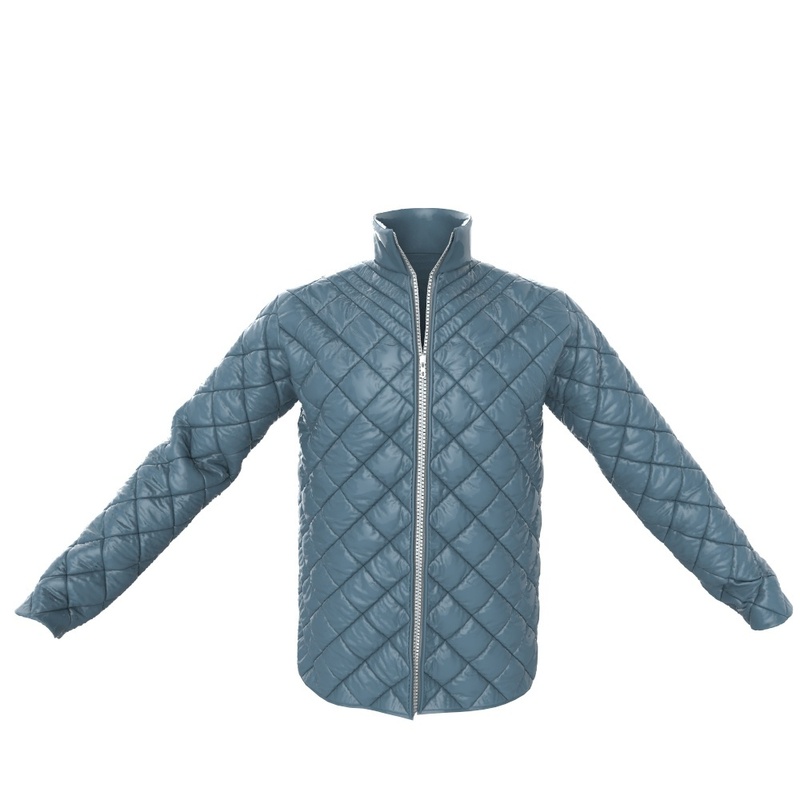 Need video tutorials how to make jackets in Marvelous Designer? Learn how to make a 3D duffle coat, Marvelous Designer winter jacket workshop, dynamic 3D windbreaker sports jacket tutorial, leather bomber jacket or 3D bikers leather jacket, make a Marvelous Designer rain jacket, create a 3D jacket with quilting, make in Marvelous Designer a dynamic 3D down sweater jacket or a make woman’s casual elegant jacket for a 3D model. 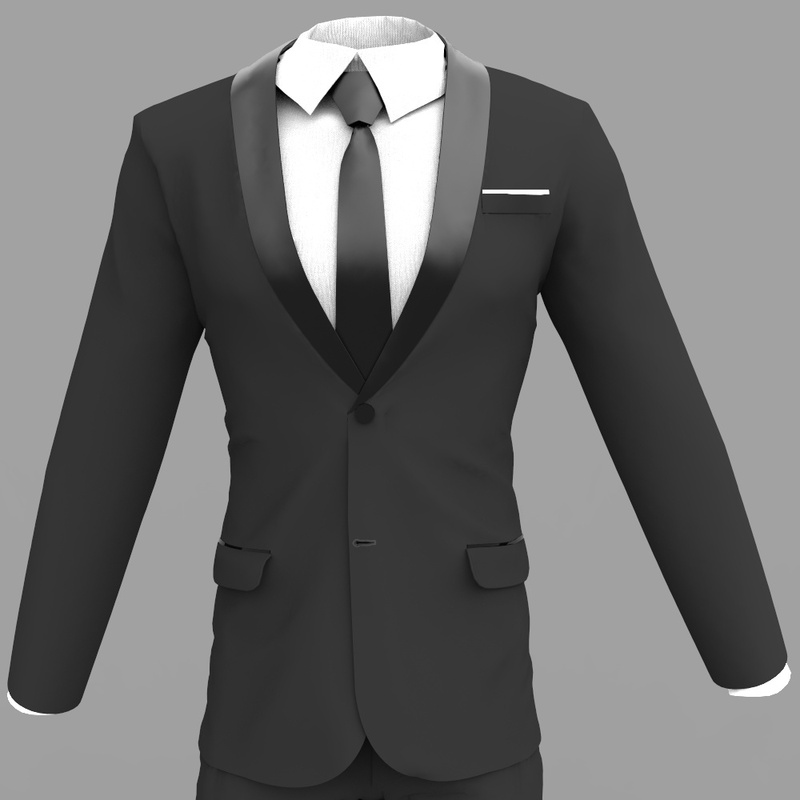 If you are looking for a tutorial on making a 3D Tuxedo suit for men using Marvelous Designer software, check out the CG Elves workshop on making 3D dynamic 3-piece Tuxedo suits, including Marvelous Designer pants, shirts and suit coat with different collars. 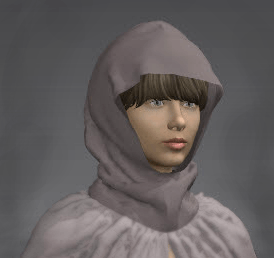 How to make a cape in Marvelous Designer software? 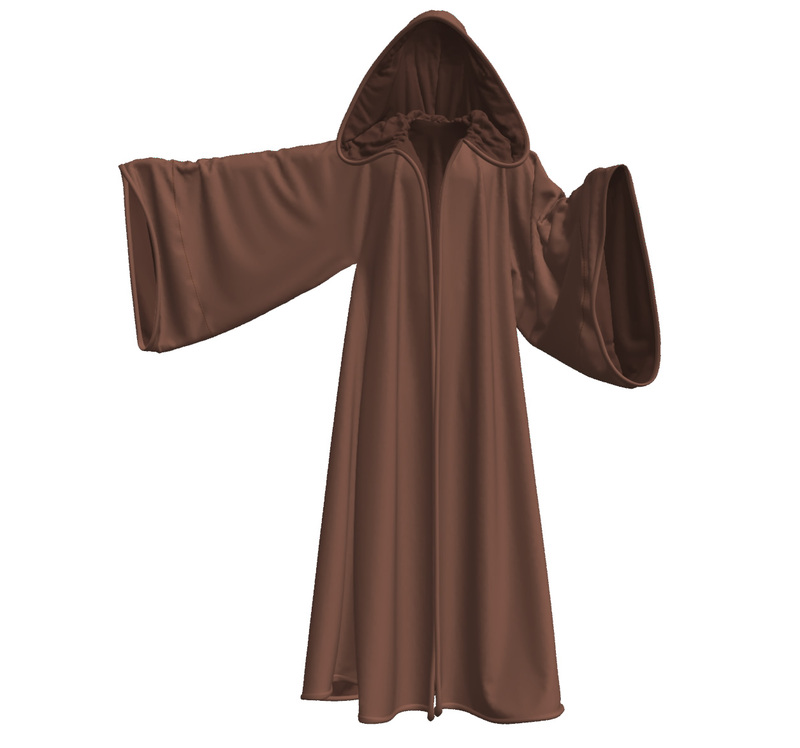 Additionally, here’s a workshop for Marvelous Designer capes and cloaks where you’ll learn to make a clone of the Jedi Cloak, Pixie cape and in general, capes and cloaks you can use for priests, wizards and galaxy fighters. 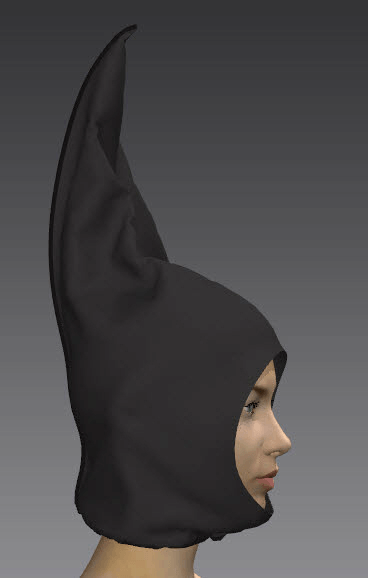 Check out our Marvelous Designer hoods workshop, if you need to equip your fighters, robbers, and dwarves with 3D hoods and hooded tops. 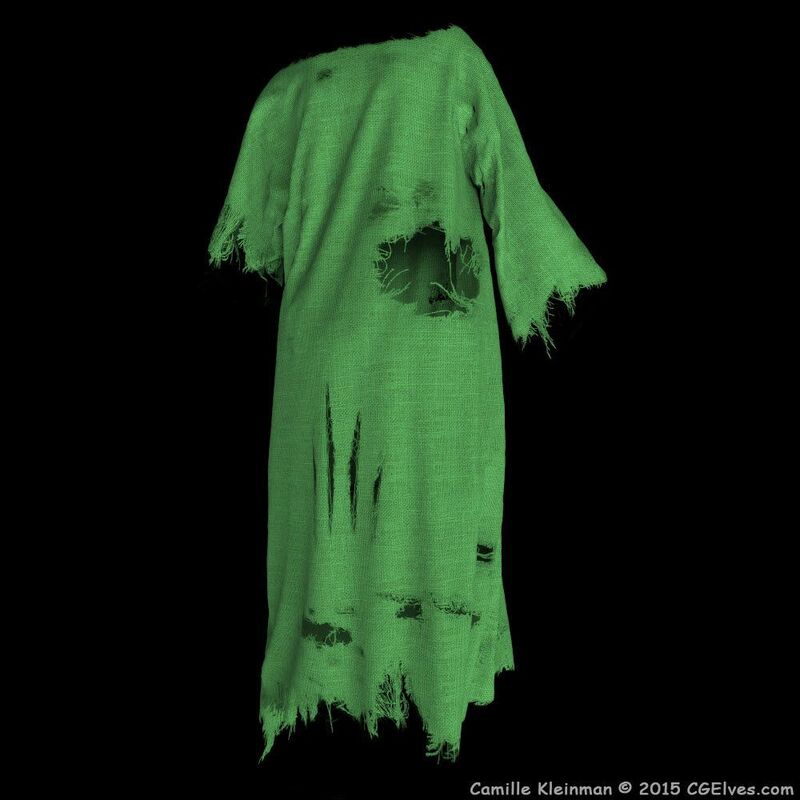 If you make costumes for your zombies, skelletons, walking dead, and witches or simply need torn capes we have a cool Marvelous torn cape tutorial here, where we show different techniques how to tear and rip cloth in Marvelous Designer. 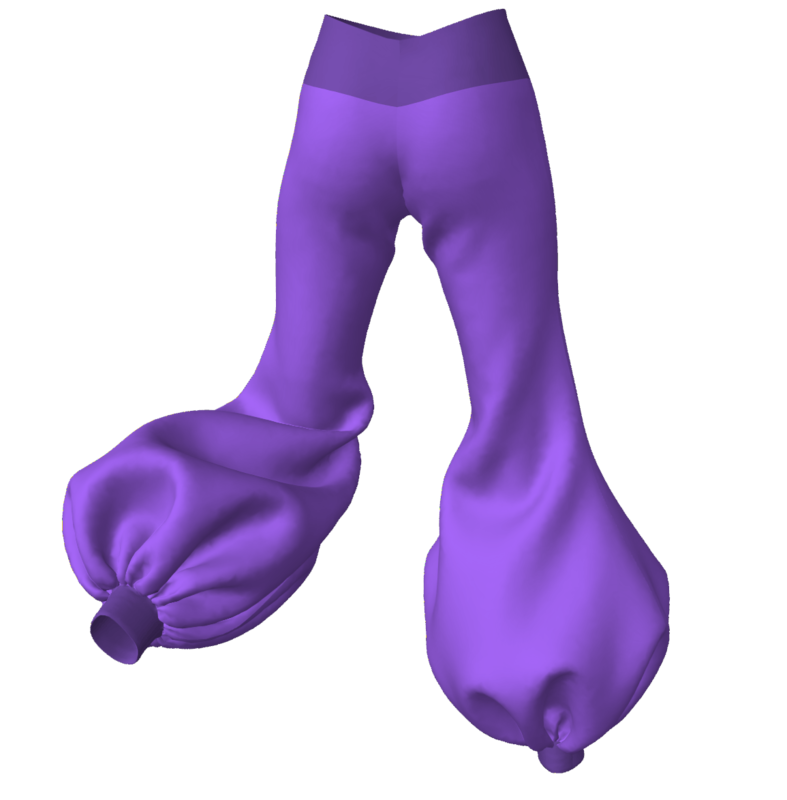 Basics of creating Marvelous Designer pants: Leggings and stockings with holes, soft comfy pants and Yoga Pants of all sorts. Marvelous Designer 5-pocket pants tutorial with the belt and buckle made in MD. 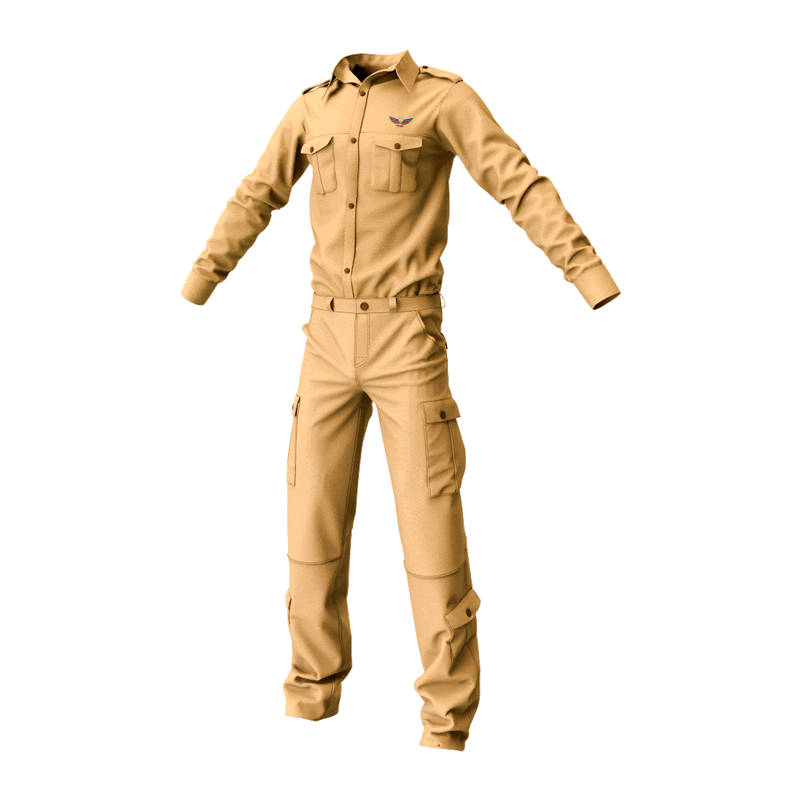 CG Elves has a pack of ready-made Marvelous Designer Military Garments. 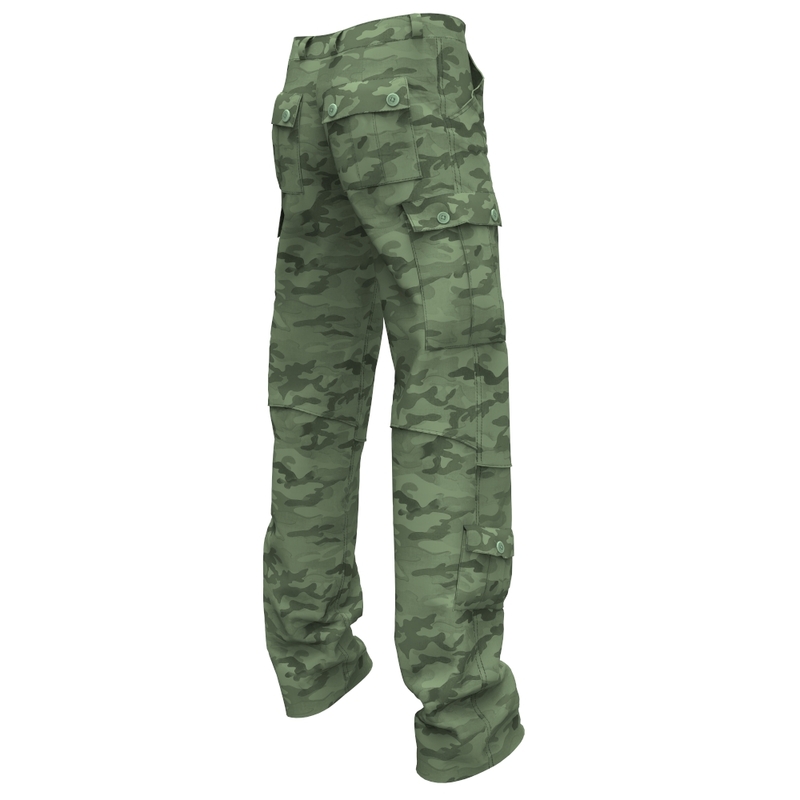 These are ready to use army clothing items for animation, film or for game characters in Marvelous Designer. 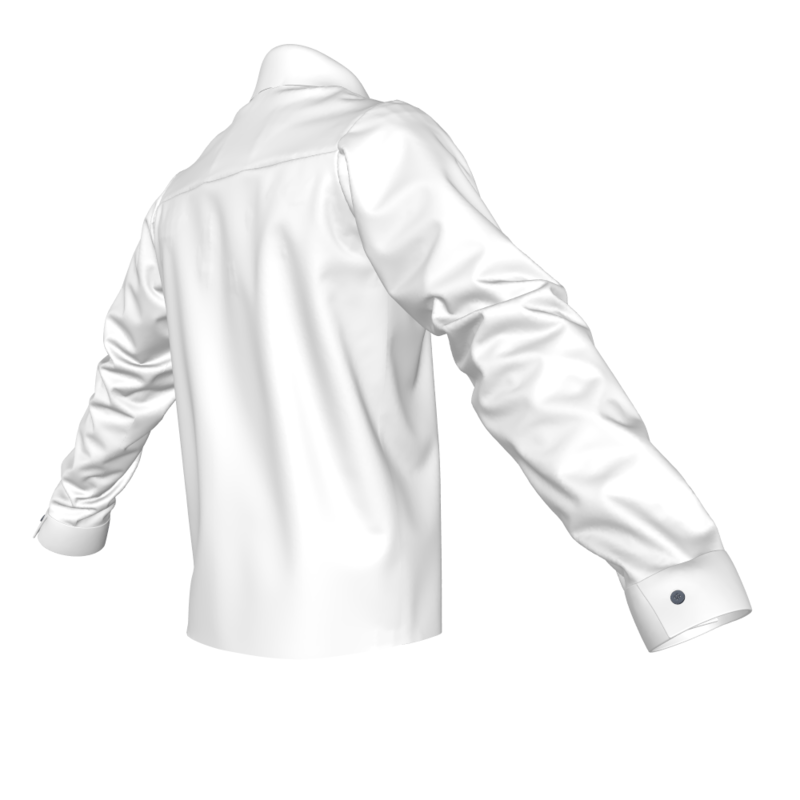 And Marvelous Designer Officers Shirt workshop. 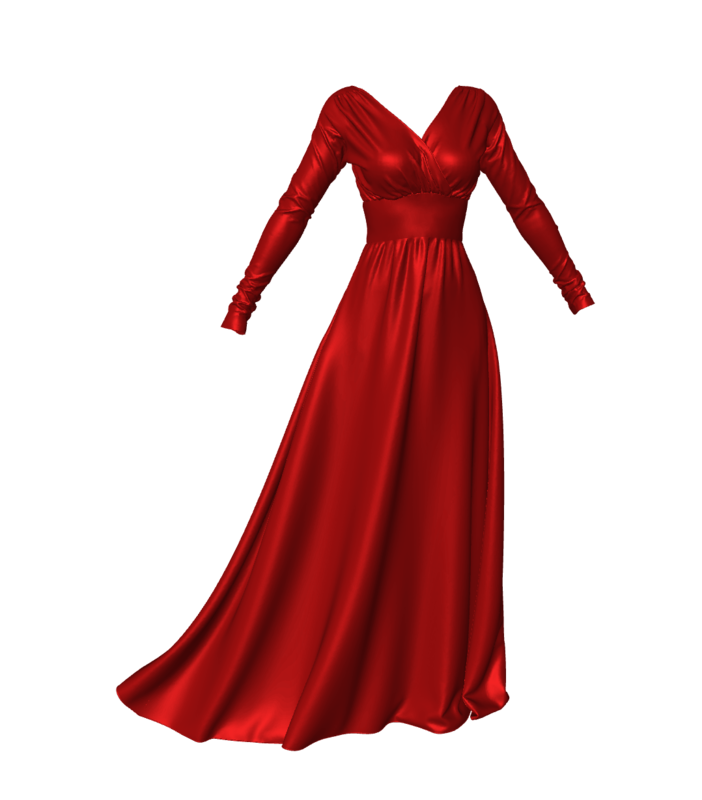 FREE Marvelous Designer Dress tutorials, as featured in 3D World magazine. 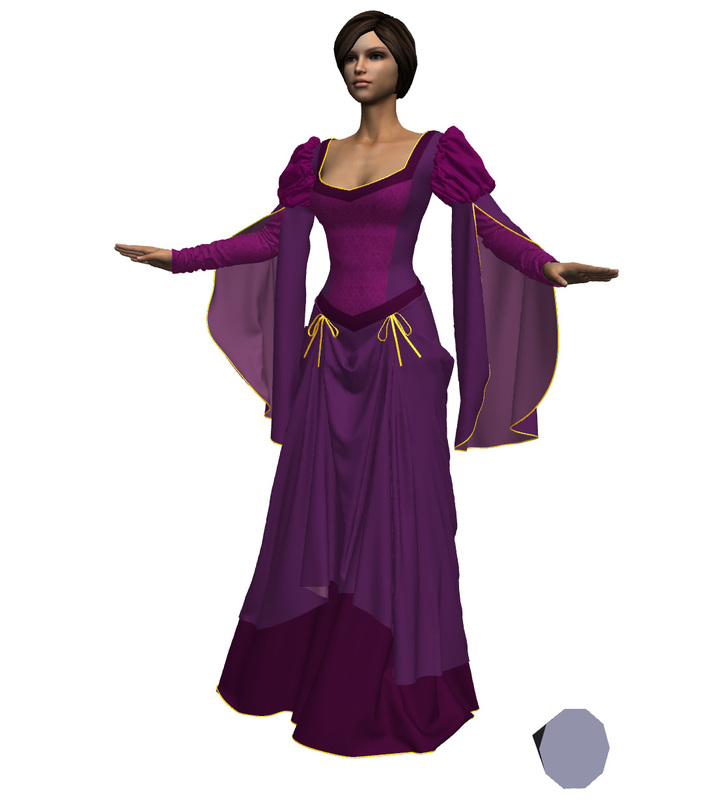 Learn How to Make a Renaissance Dress in Marvelous Designer with our FREE Video Tutorials. Learn how to use the new Intersect Internal Lines feature in our Marvelous Designer 5.5 free video tutorial. FREE Review of Marvelous Designer 5.5 New Features -Learn How to Use All the New Features to Make 3D Clothes FASTER! CG Elves reviews all new features in Marvelous Designer 6 – the good, the bad and interesting ways to use the new features even the MD6 makers didn’t think of. Watch our free Marvelous Designer 6 video tutorials of using new features and review of them here. Watch and read Marvelous Designer Expert Camille’s in-depth video reviews of all new features in Marvelous Designer 7. Learn about MD v.7 updates – what’s good and what doesn’t work, how to use Marvelous 7 new features in the best possible way. Watch our free Marvelous Designer 7 video tutorials of using new features and review of them here.